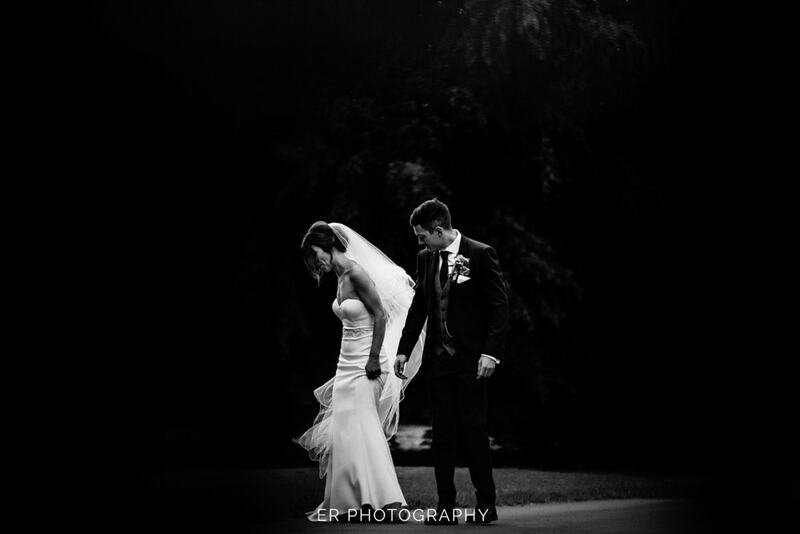 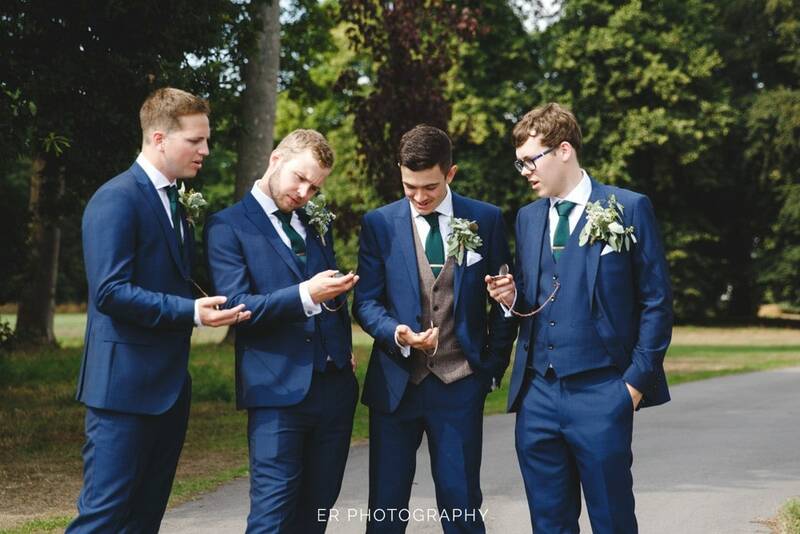 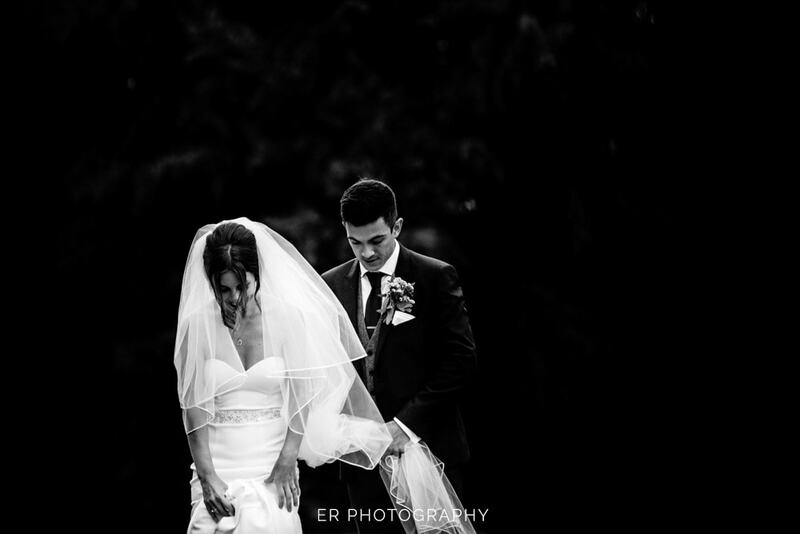 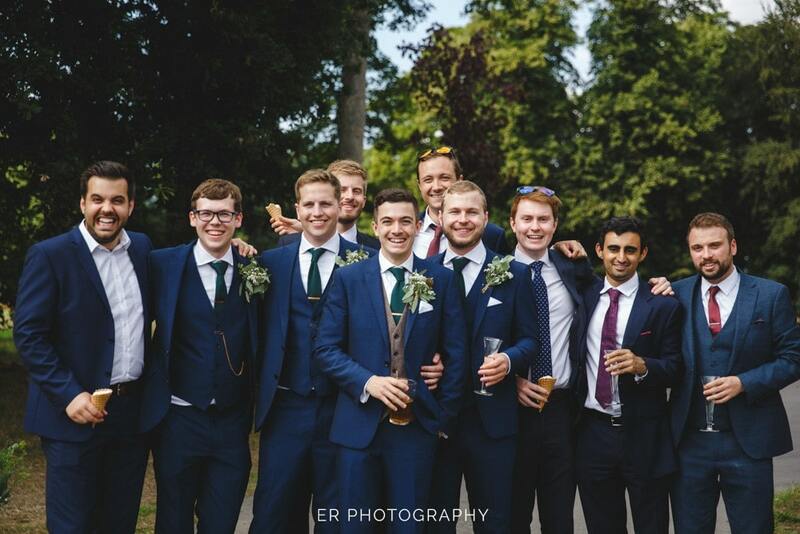 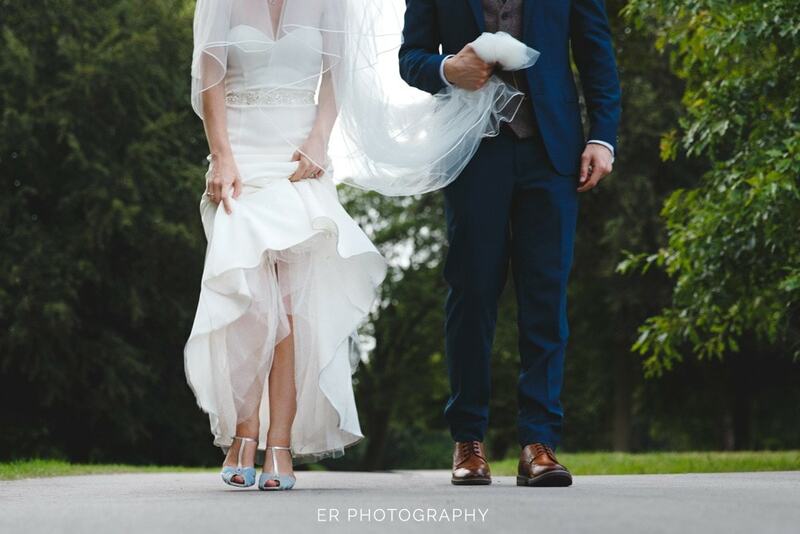 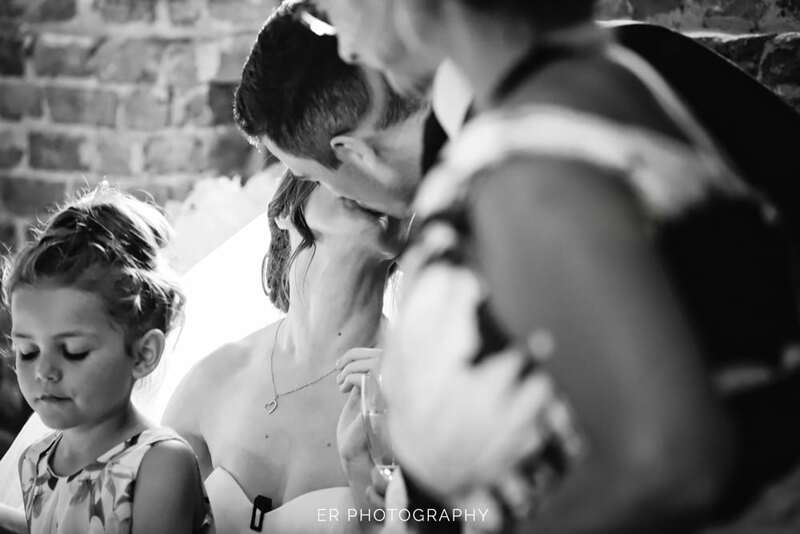 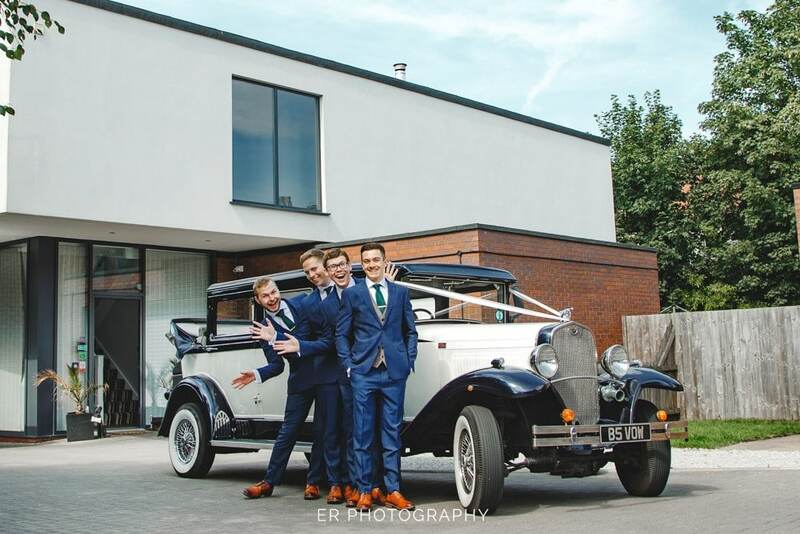 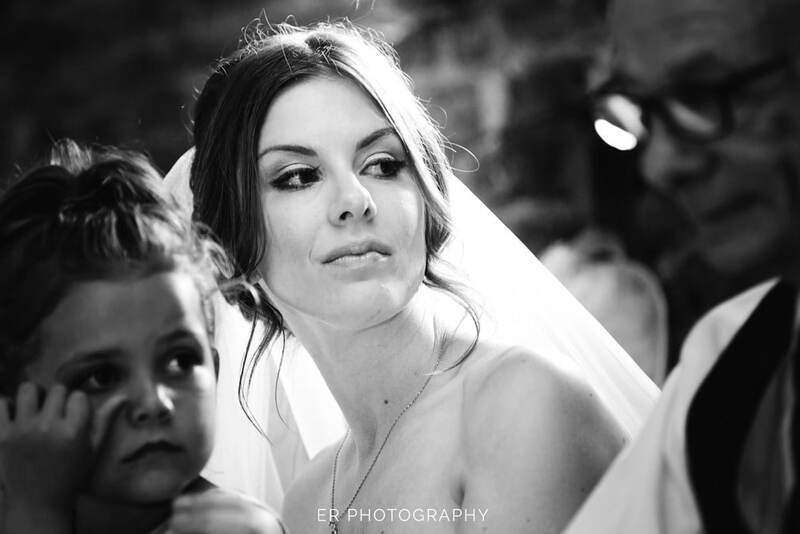 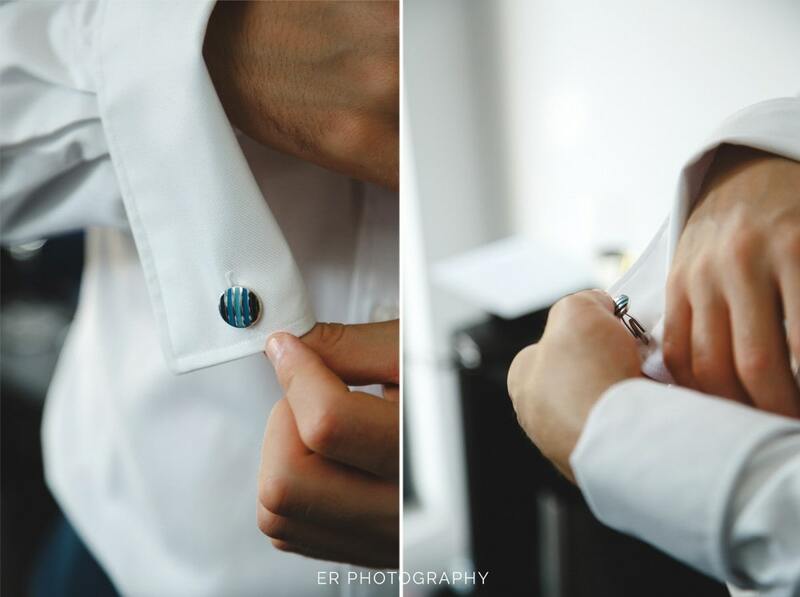 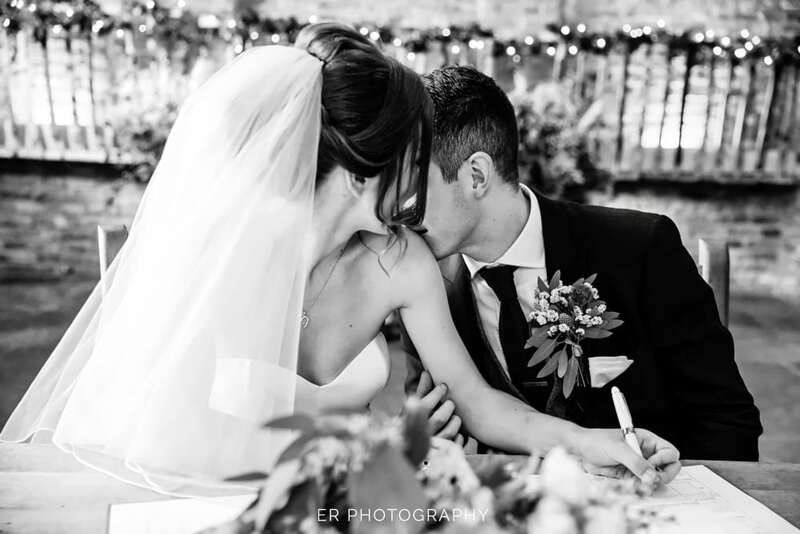 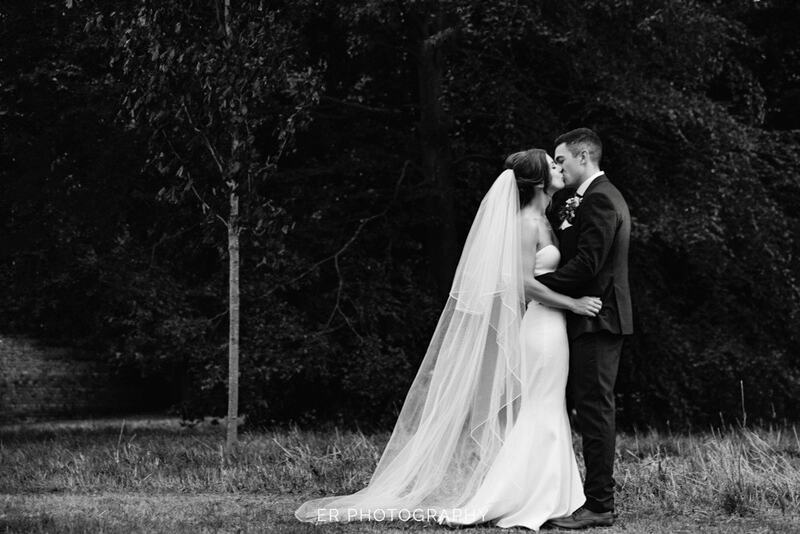 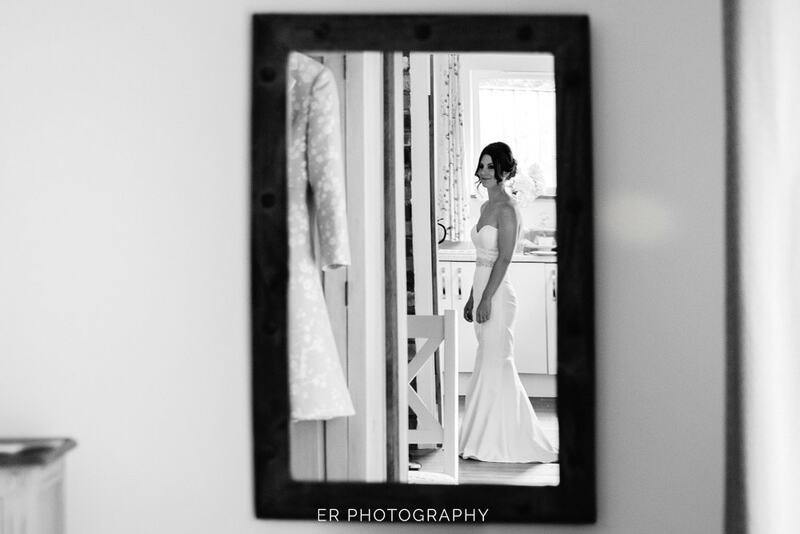 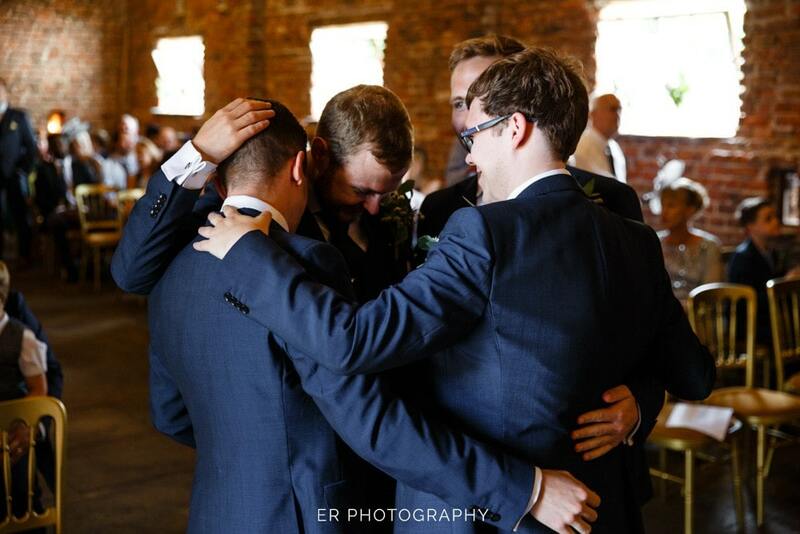 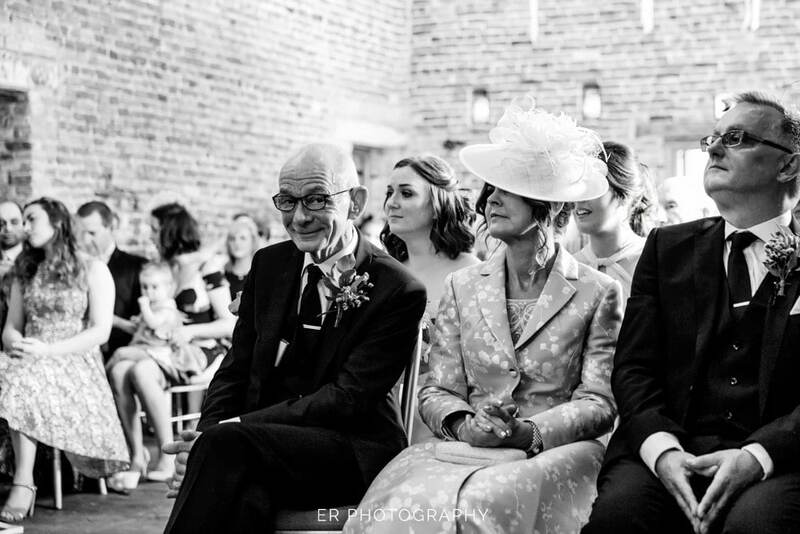 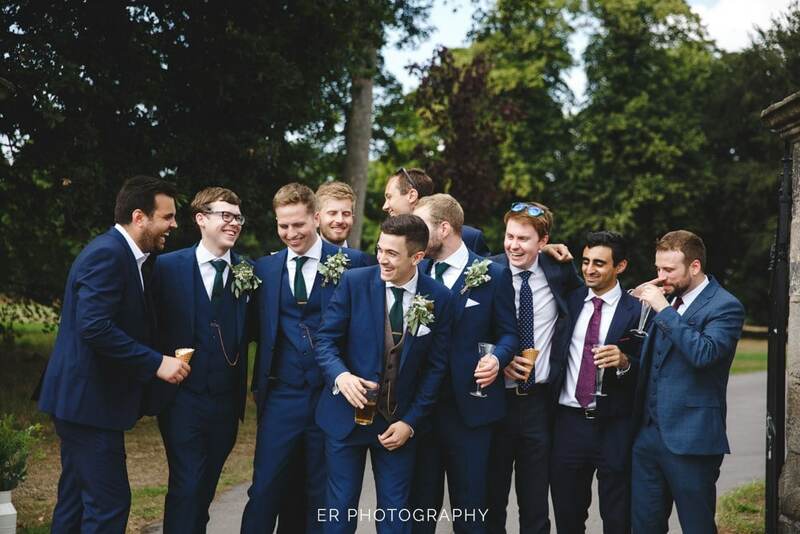 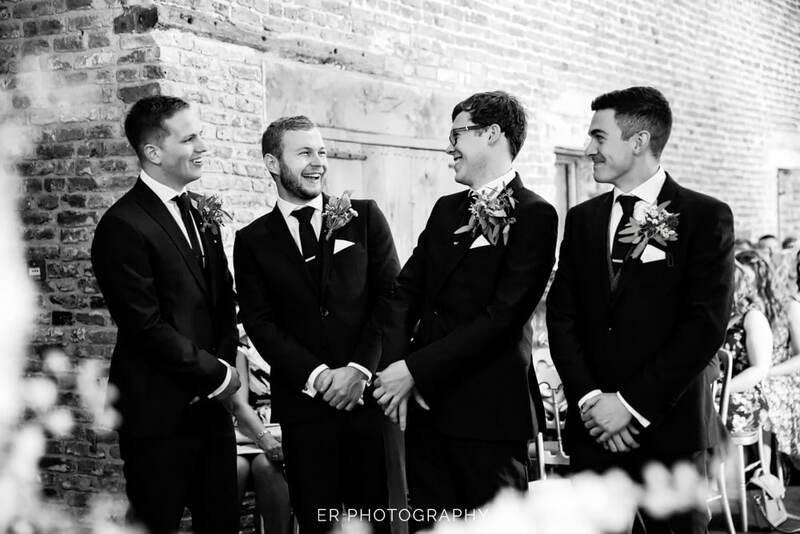 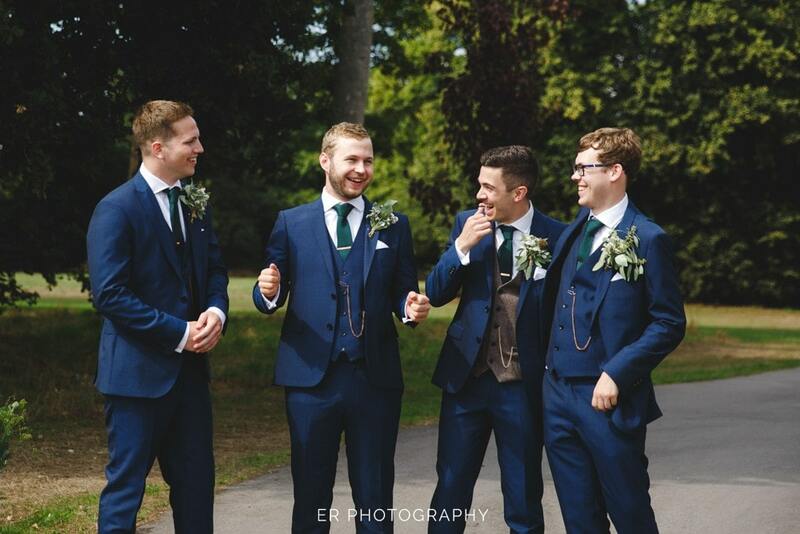 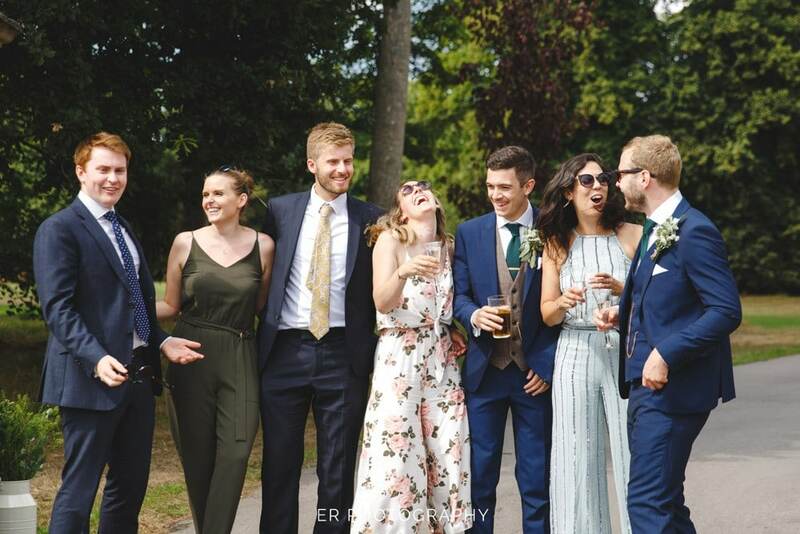 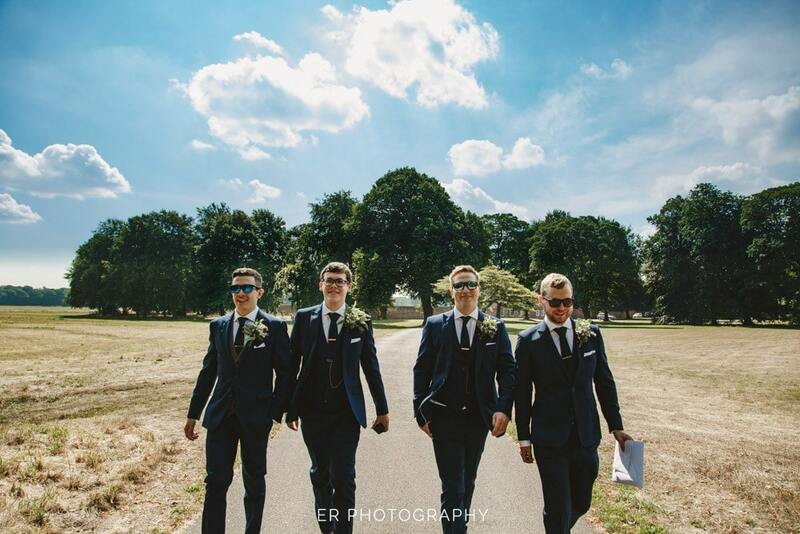 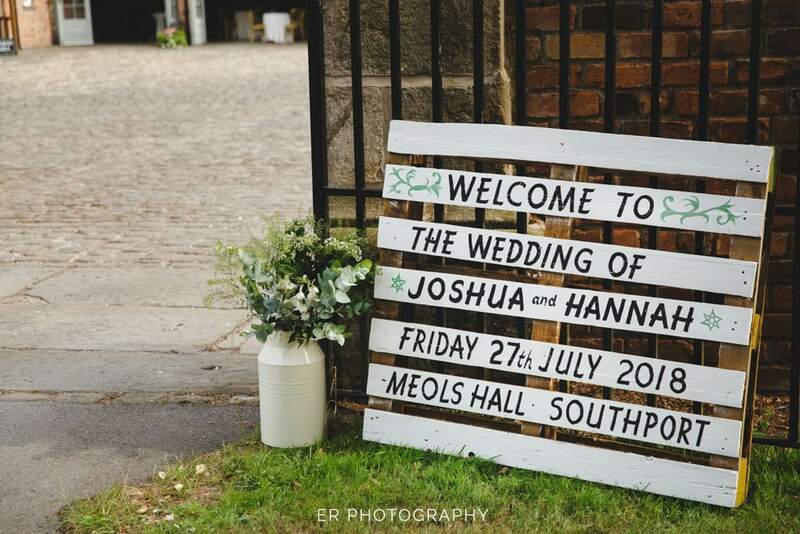 What an amazing day on Friday at Hannah + Josh’s epic Meols Hall Tithe Barn Wedding in sunny Southport. 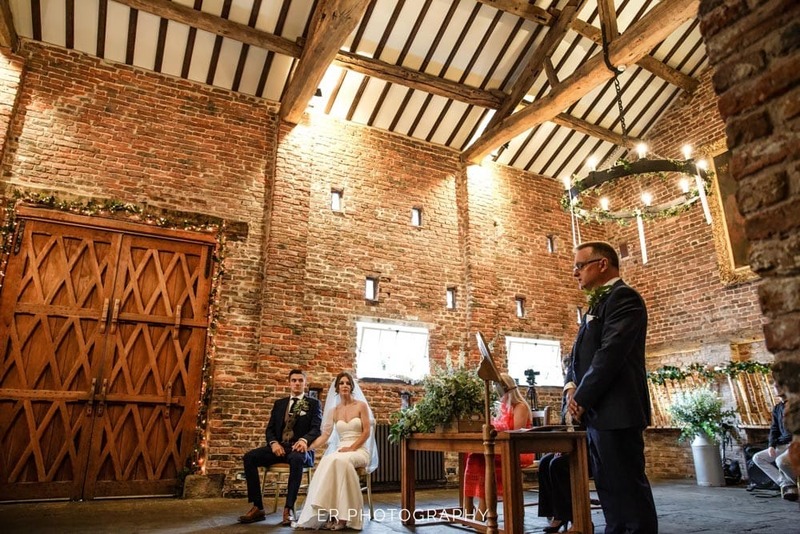 What an amazing space the Tithe Barn is for a wedding, it’s warm tones and romantic setting is perfect for a wedding ceremony. 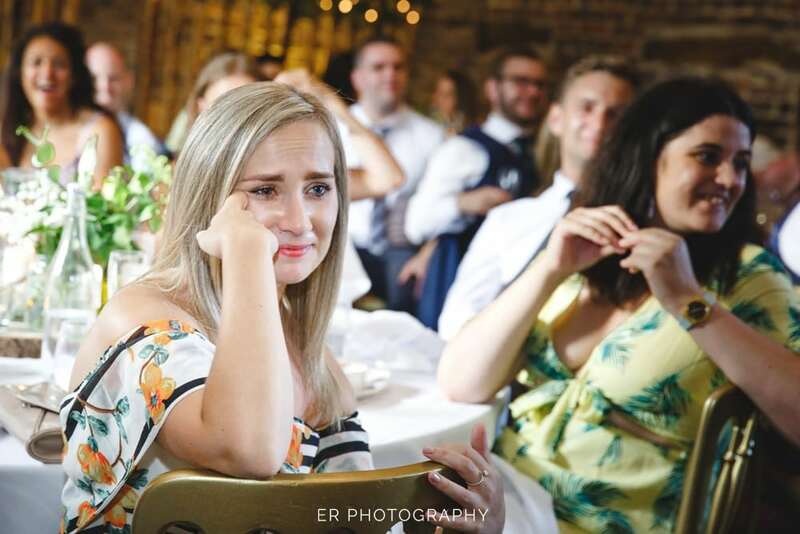 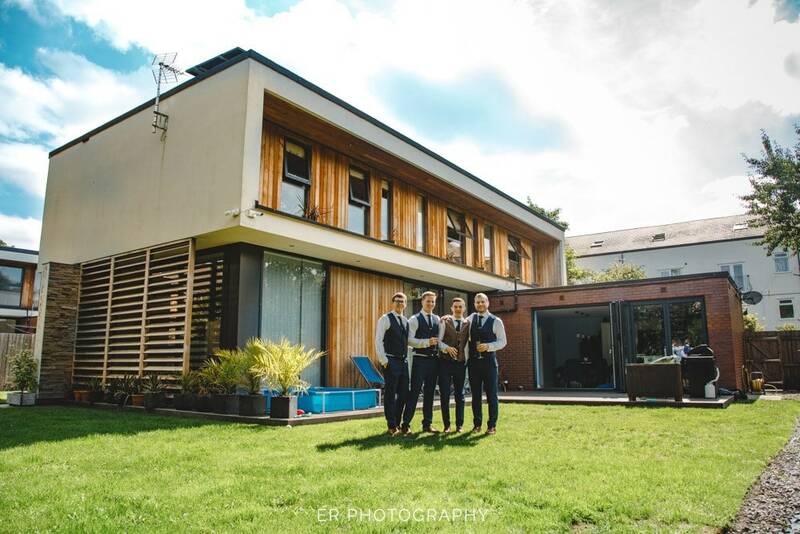 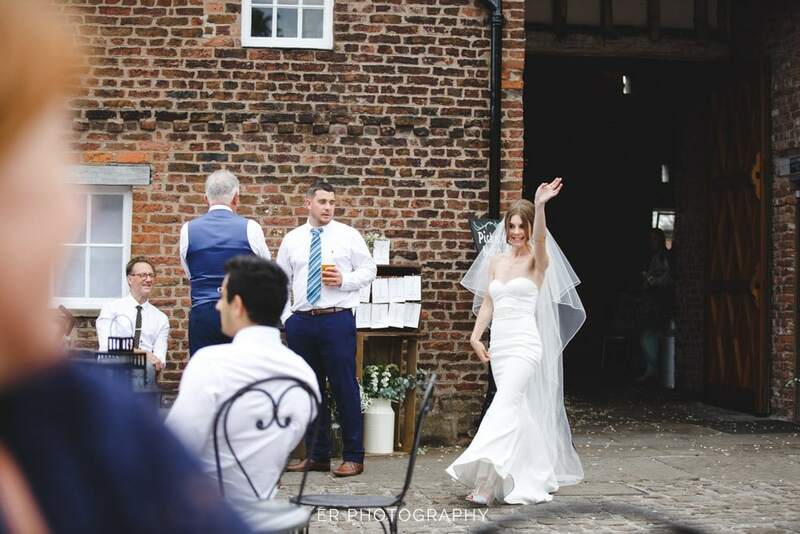 This wedding venue has a space dedicated for the sometimes windy weather of Southport in a cute little out building with a bar. 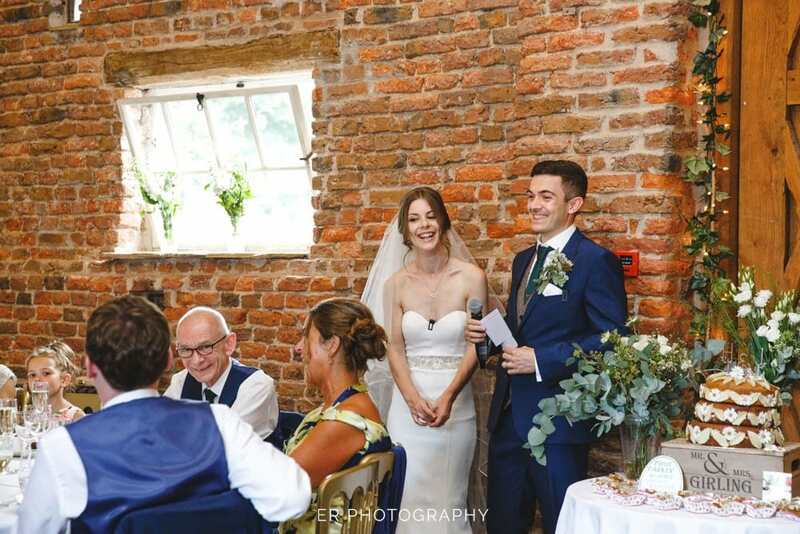 It’s an ideal space to shelter but as it was a warm sunny summers day for Hannah & Josh’s wedding the space was hardly used. 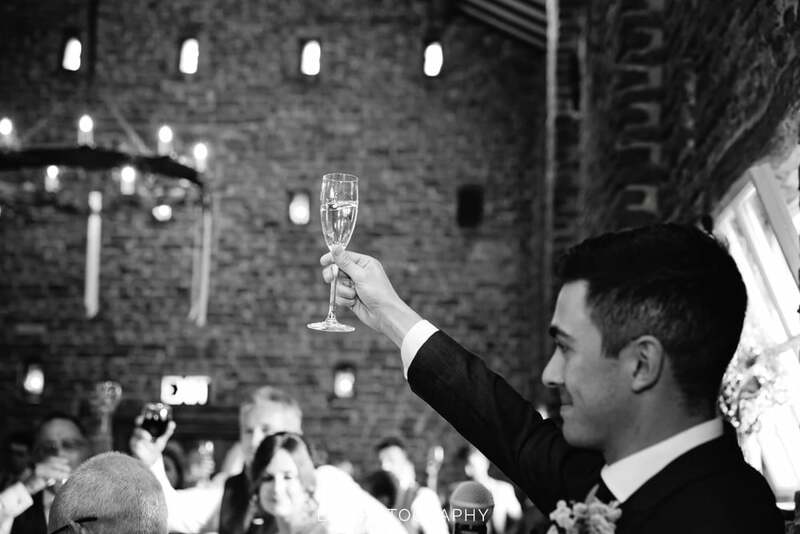 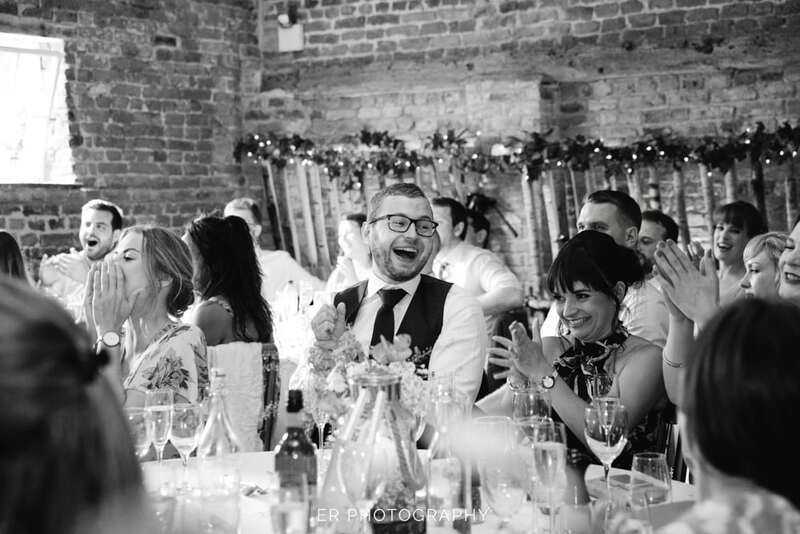 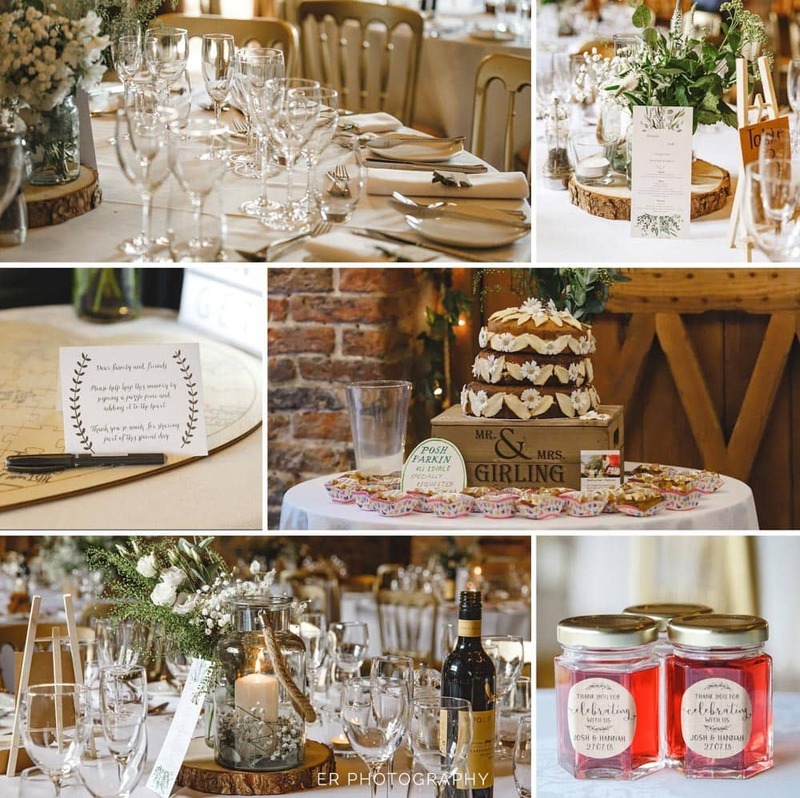 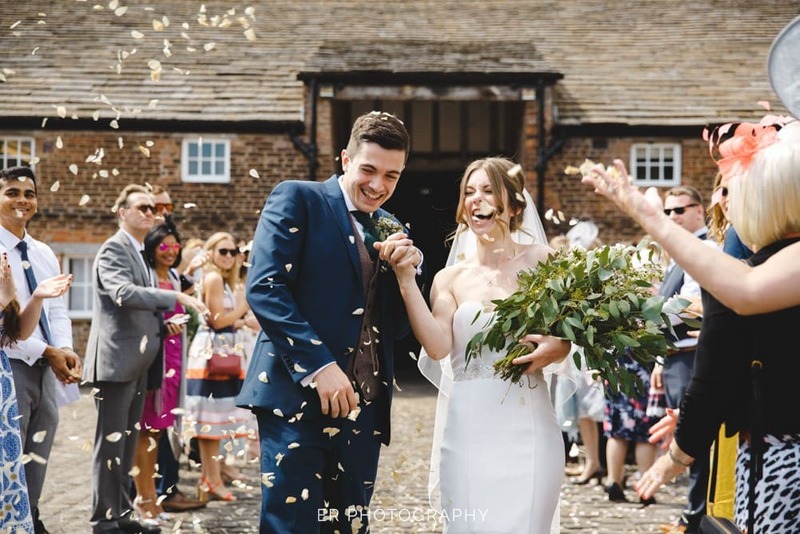 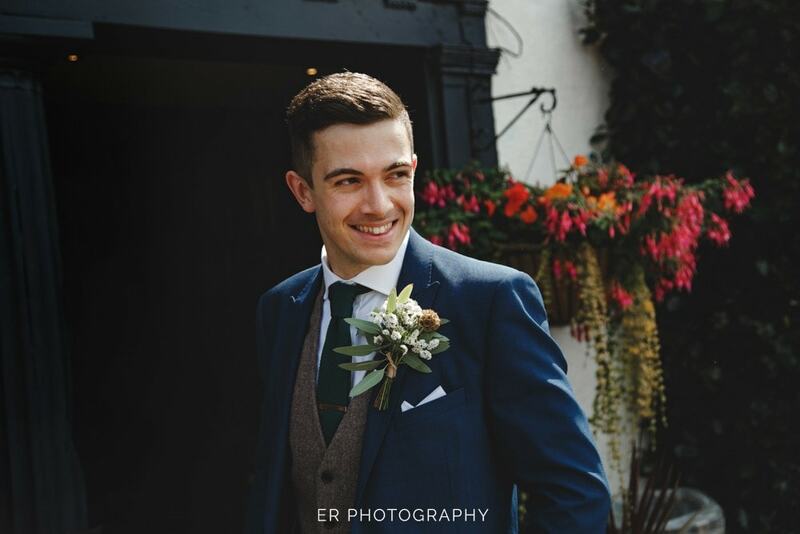 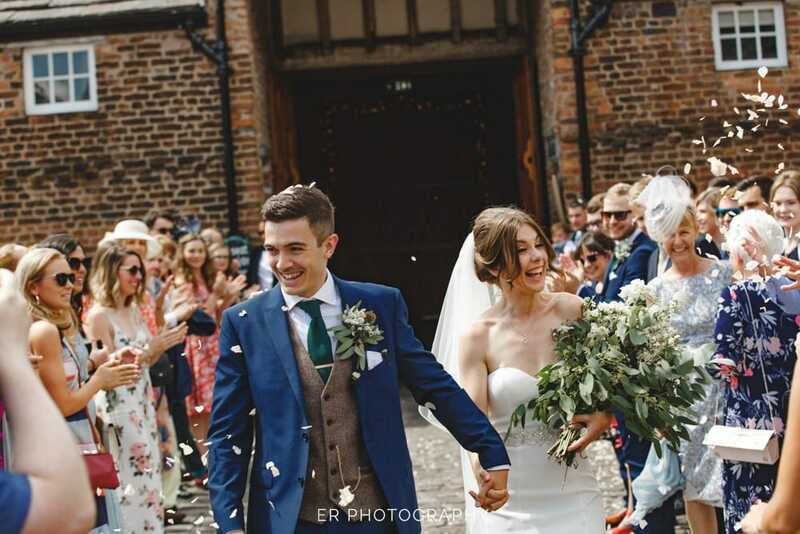 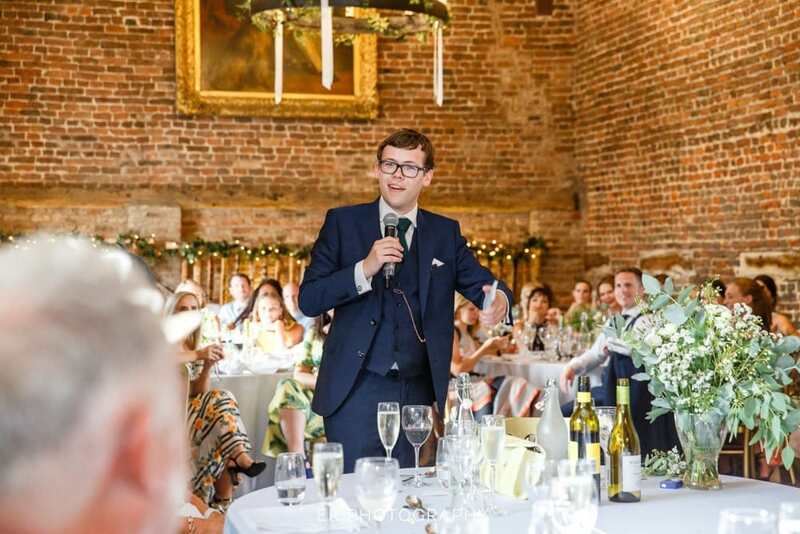 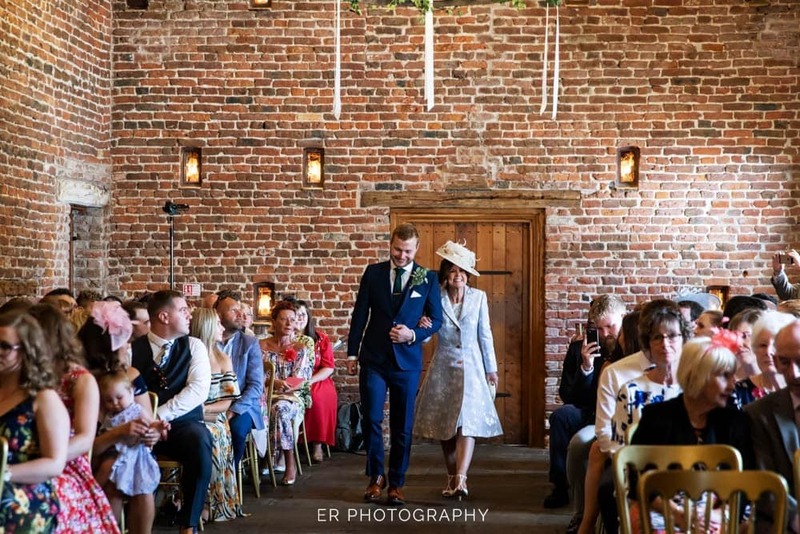 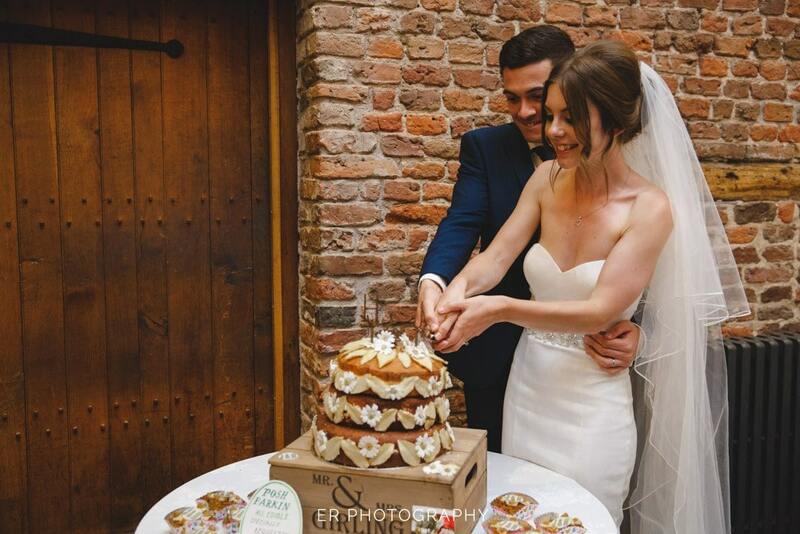 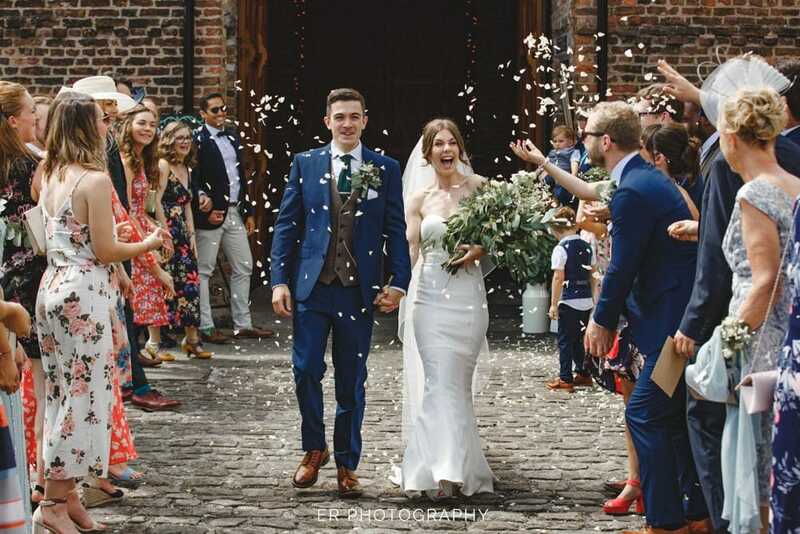 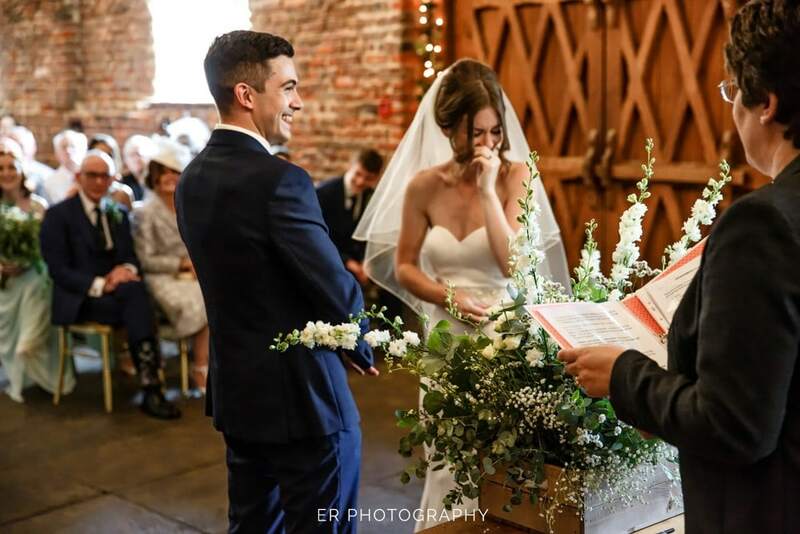 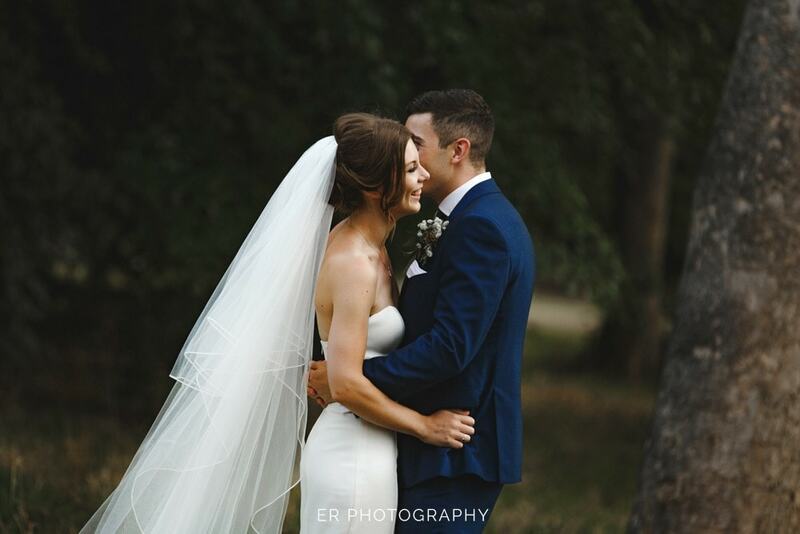 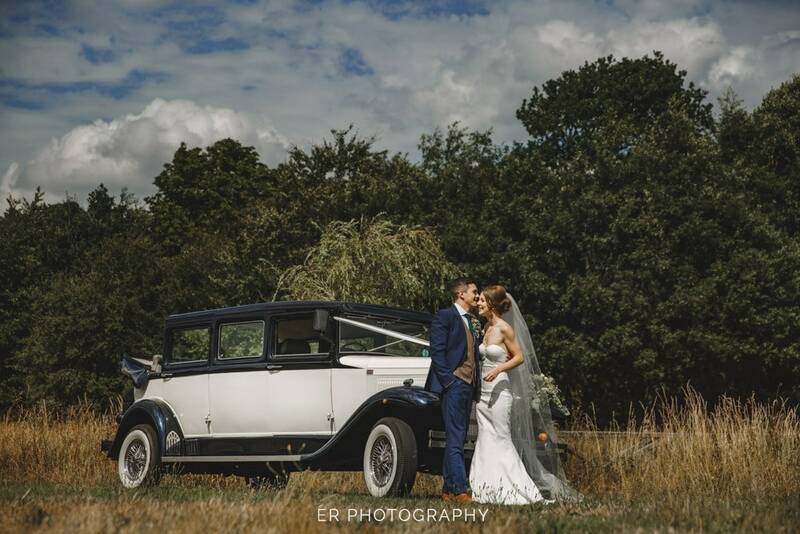 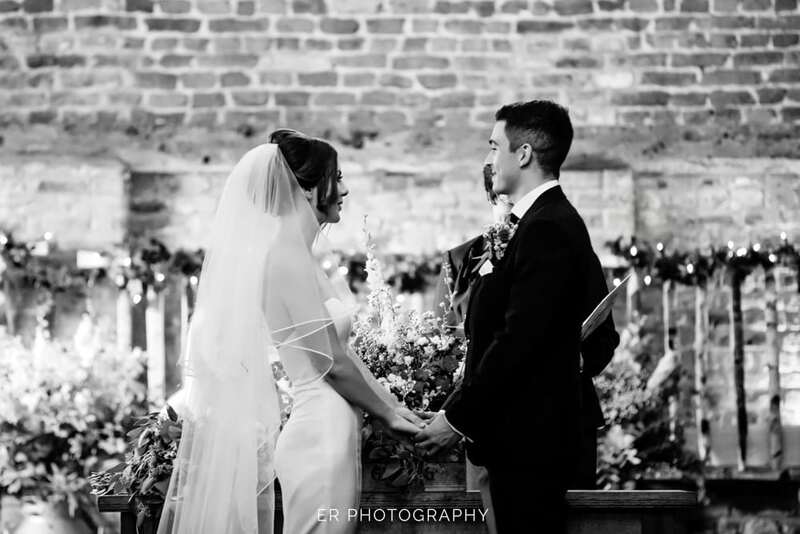 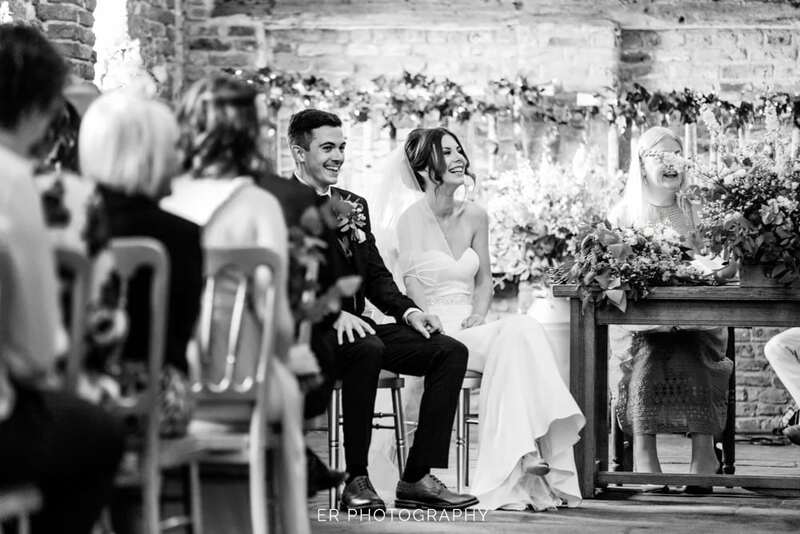 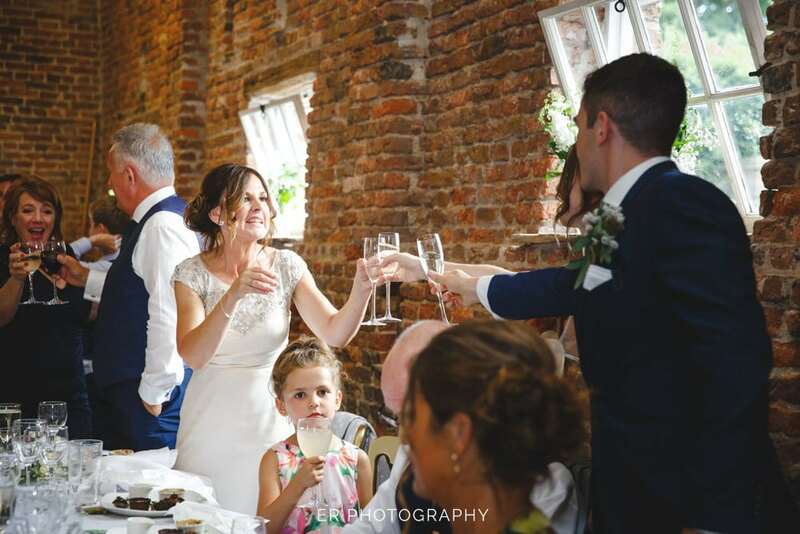 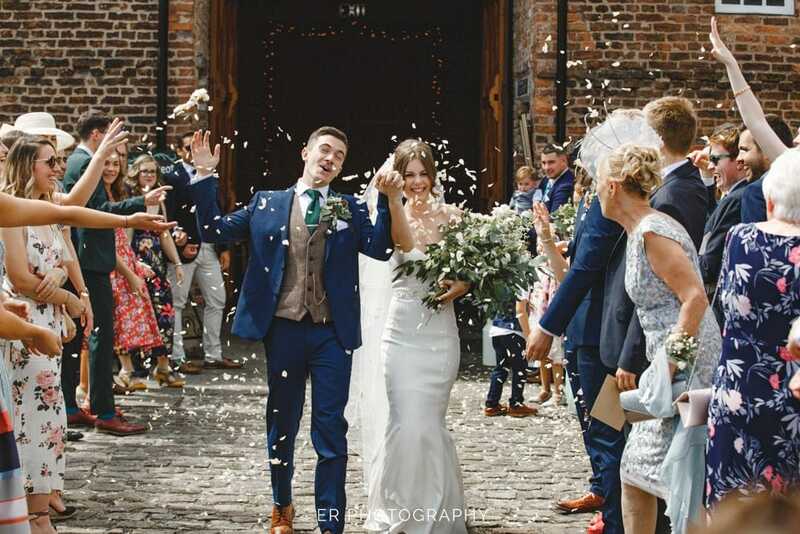 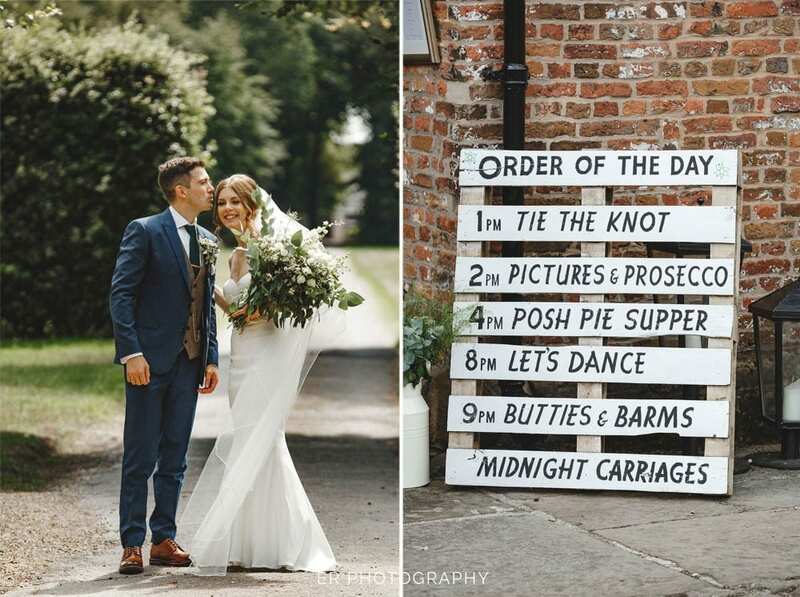 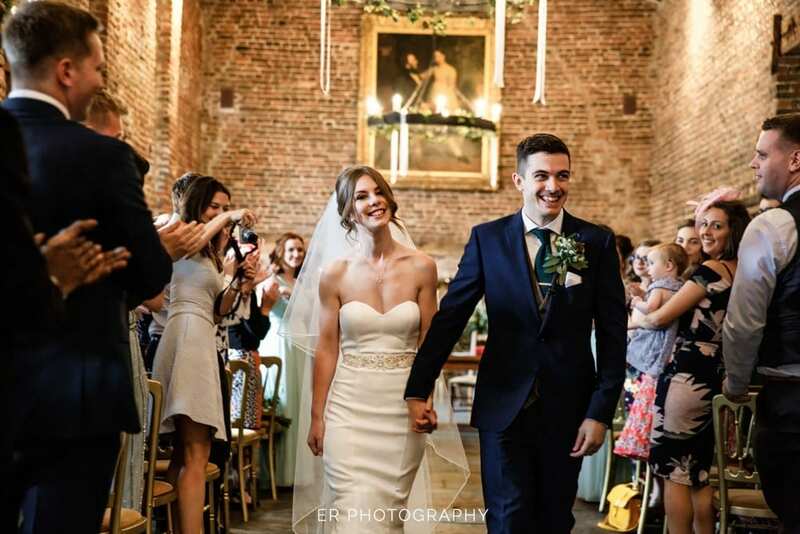 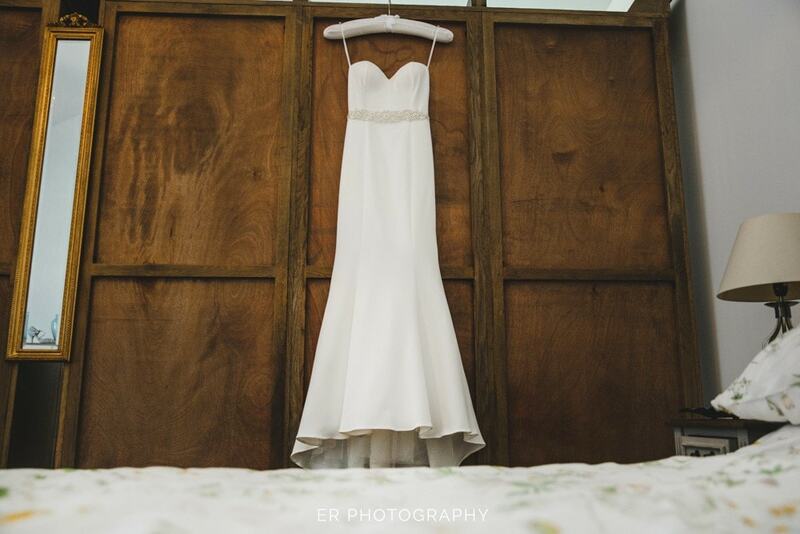 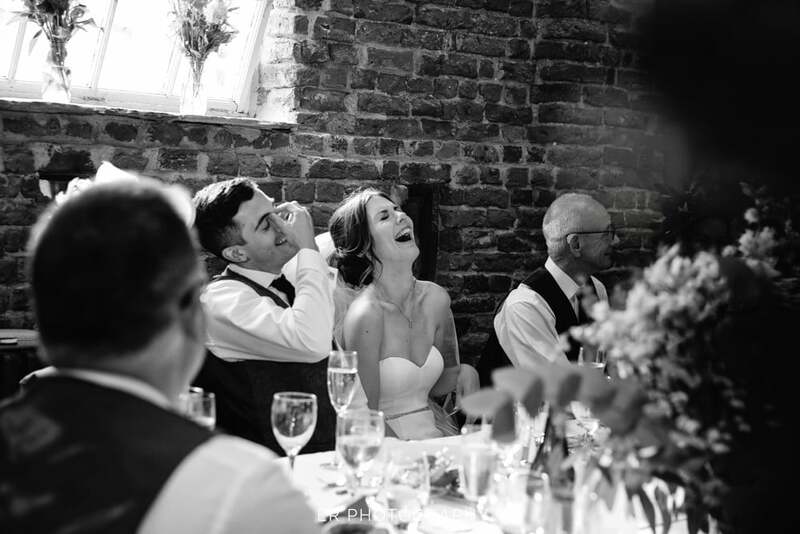 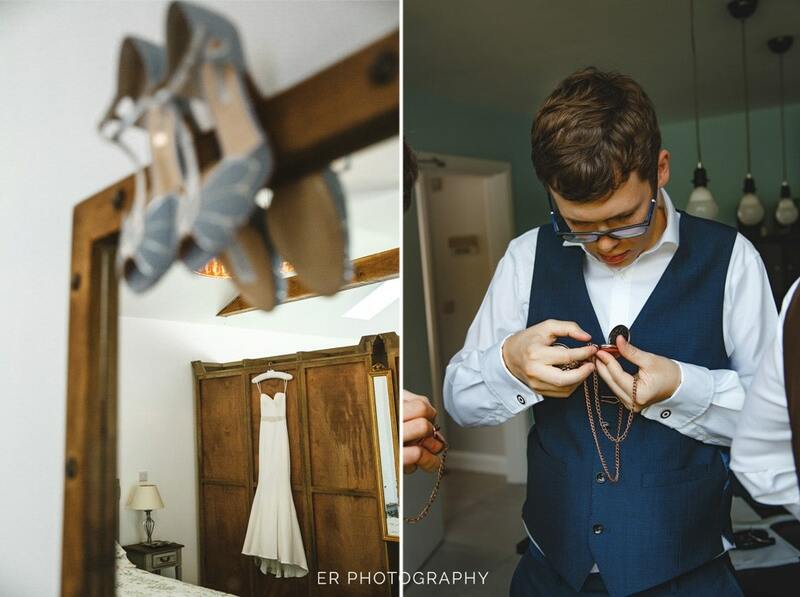 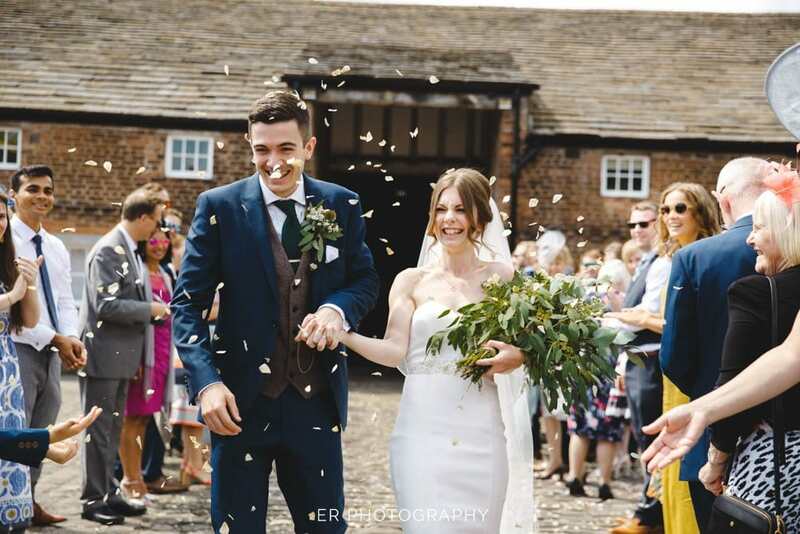 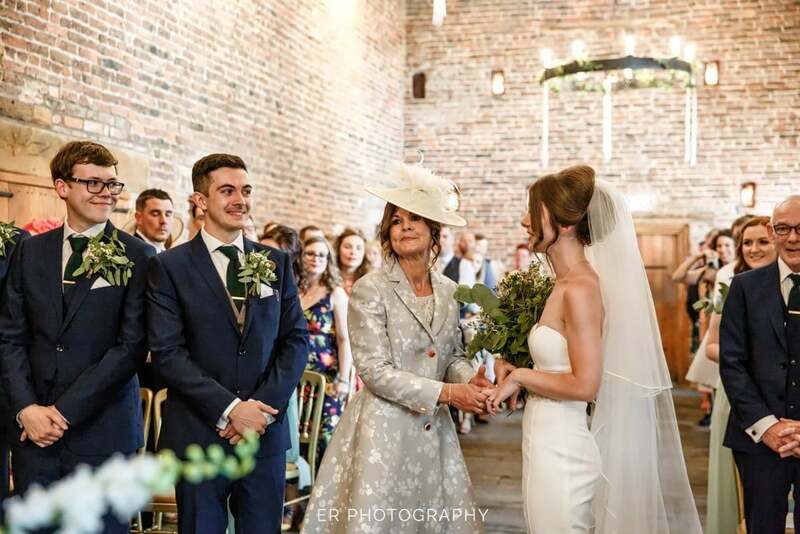 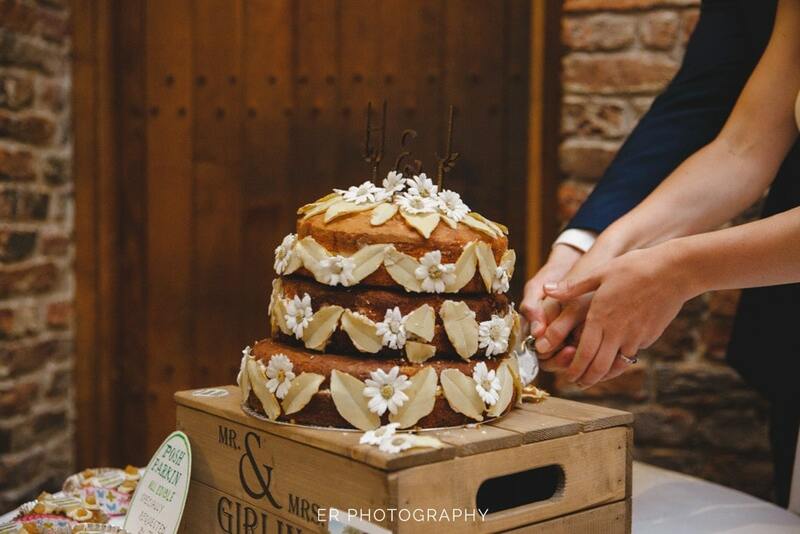 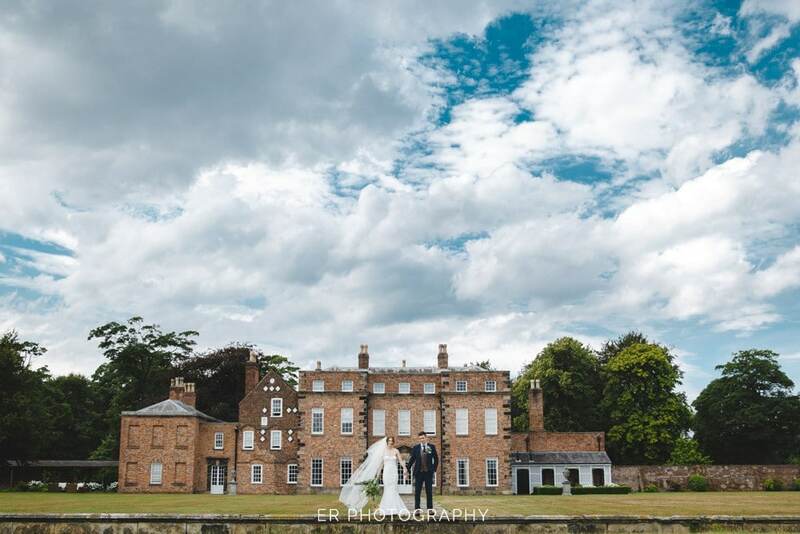 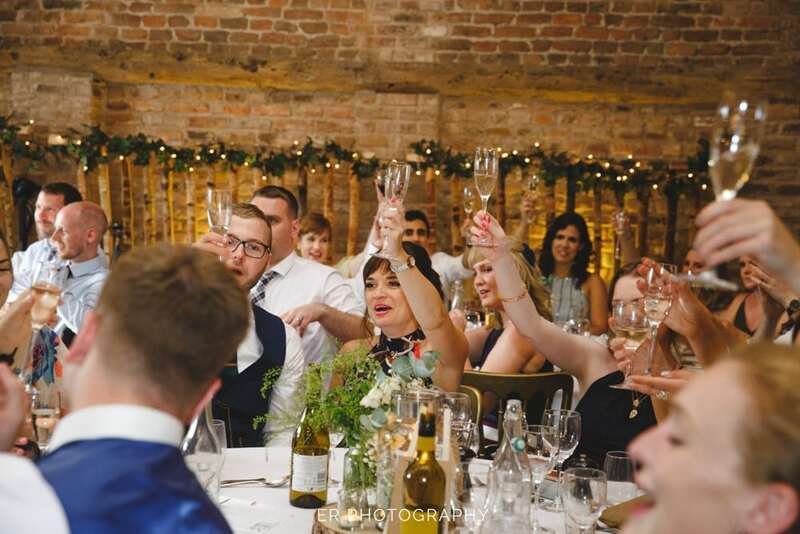 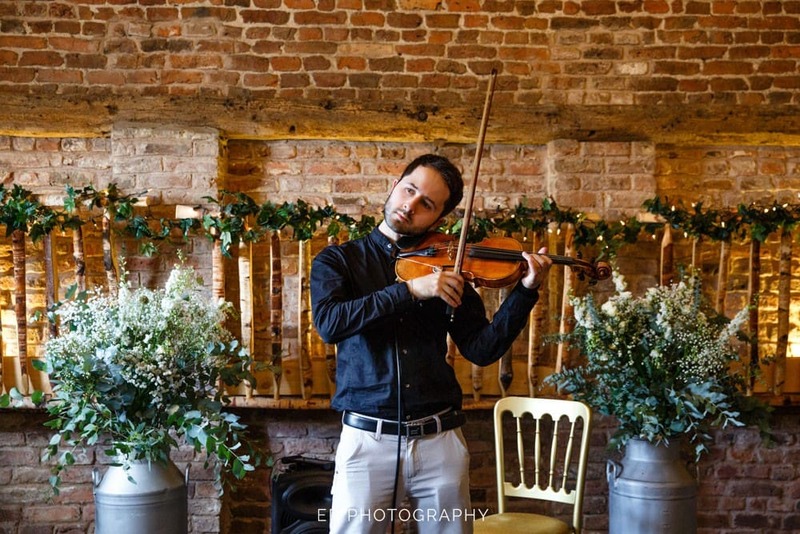 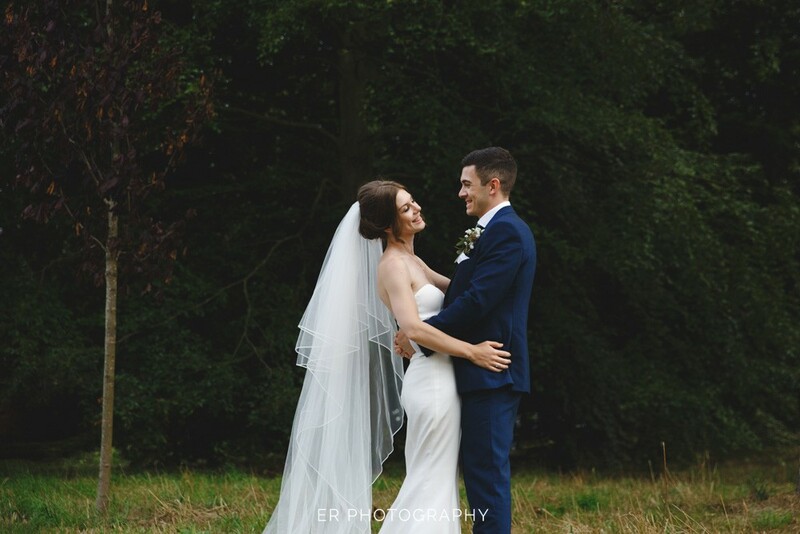 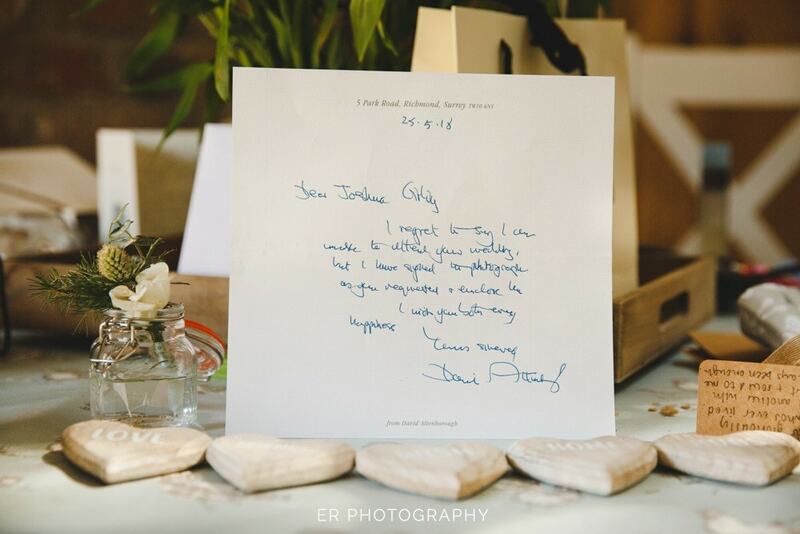 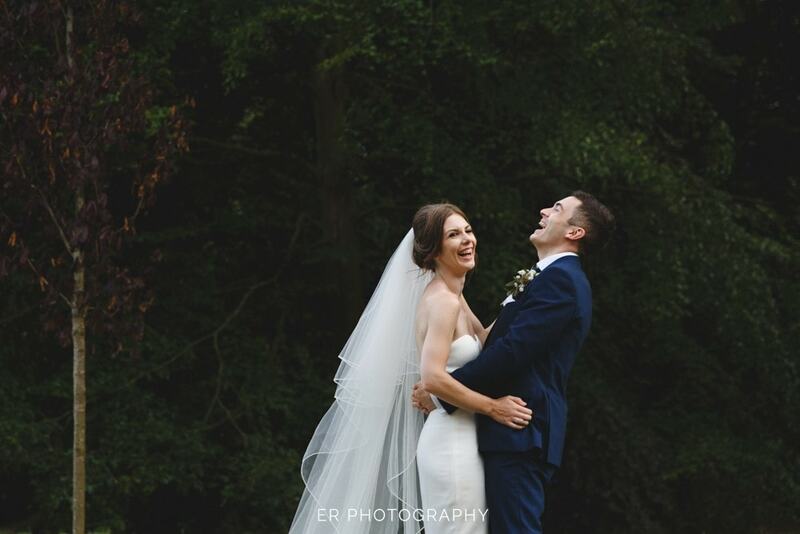 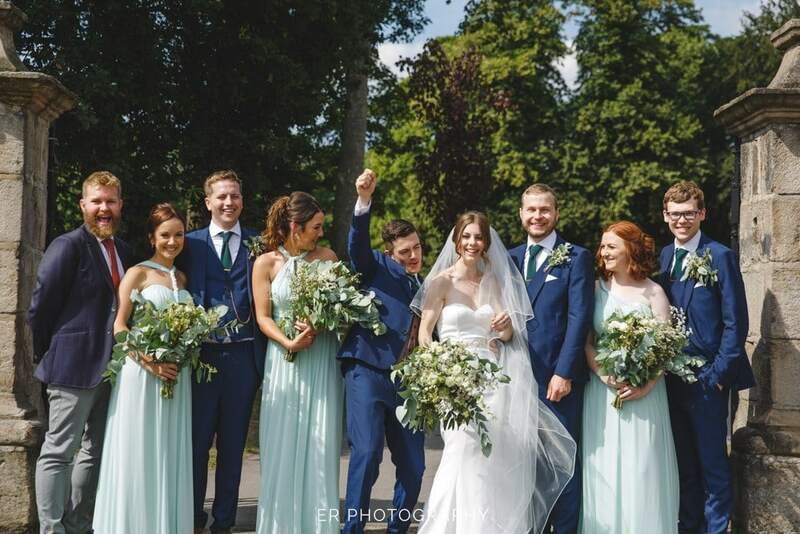 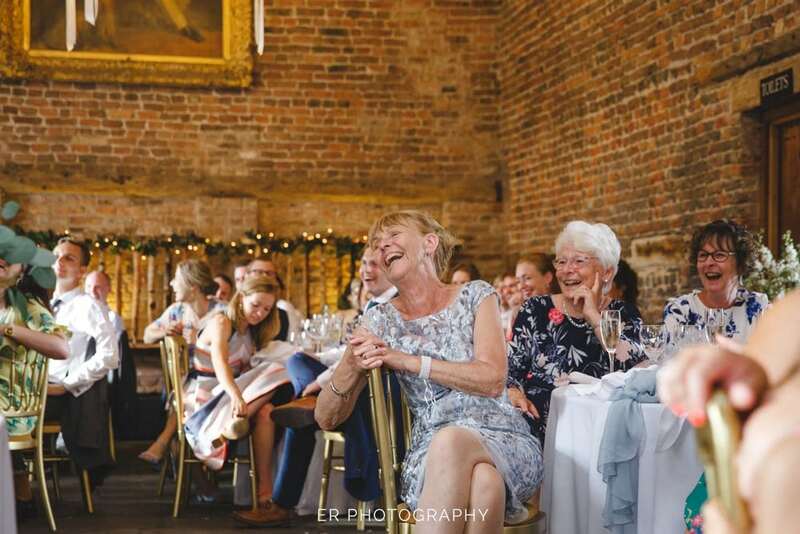 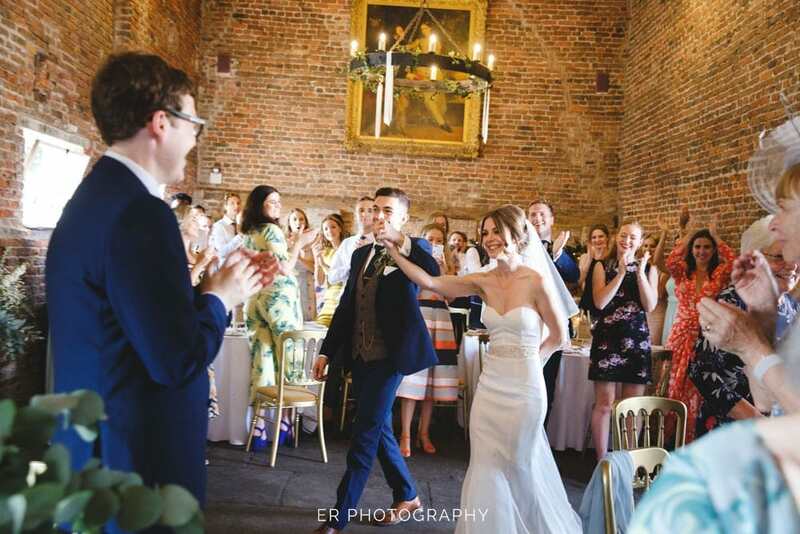 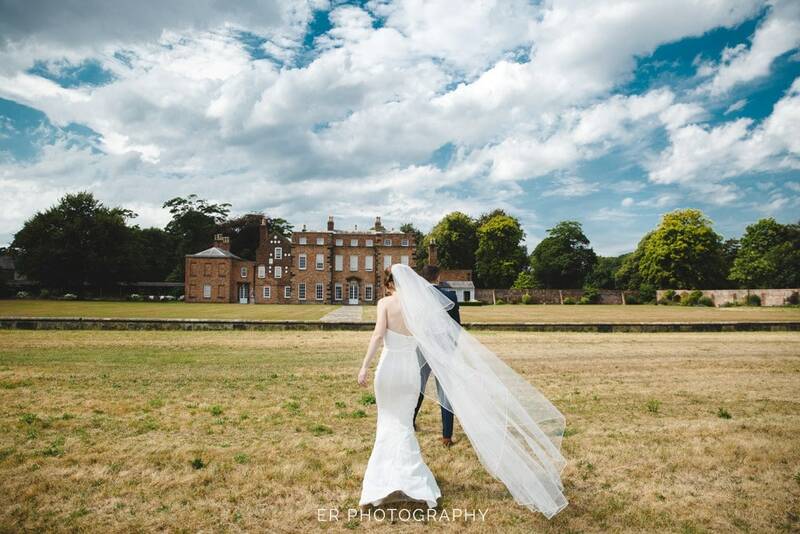 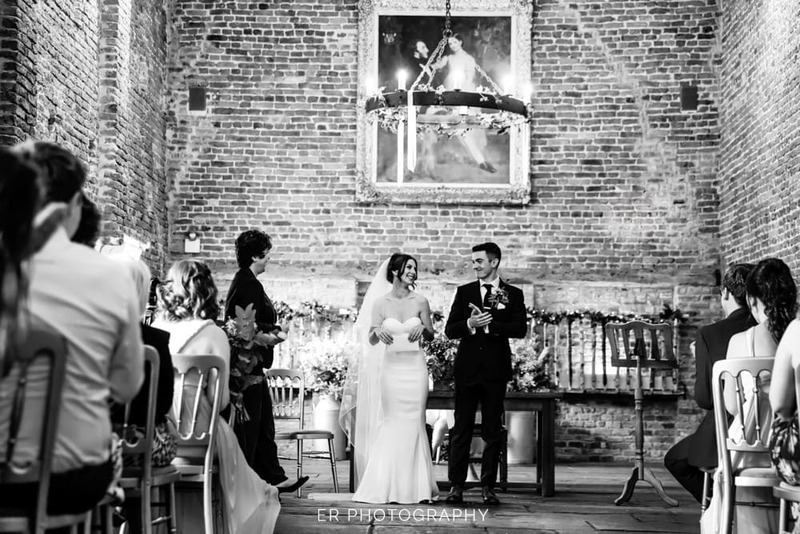 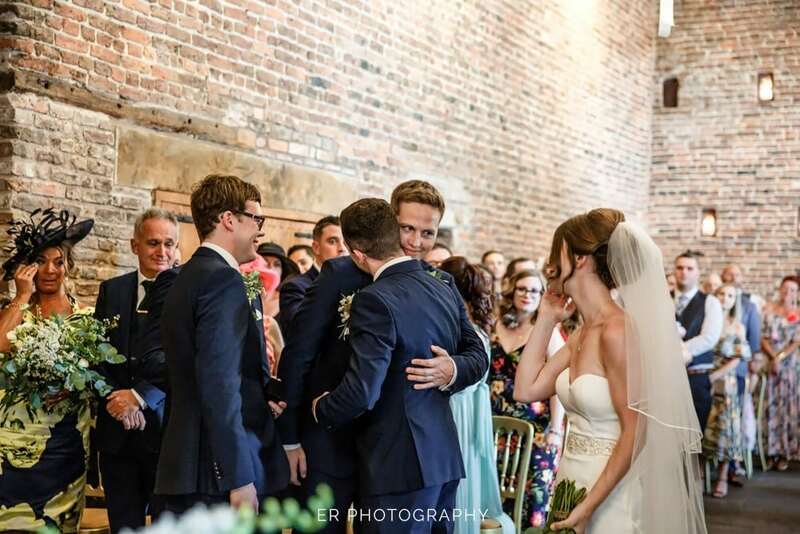 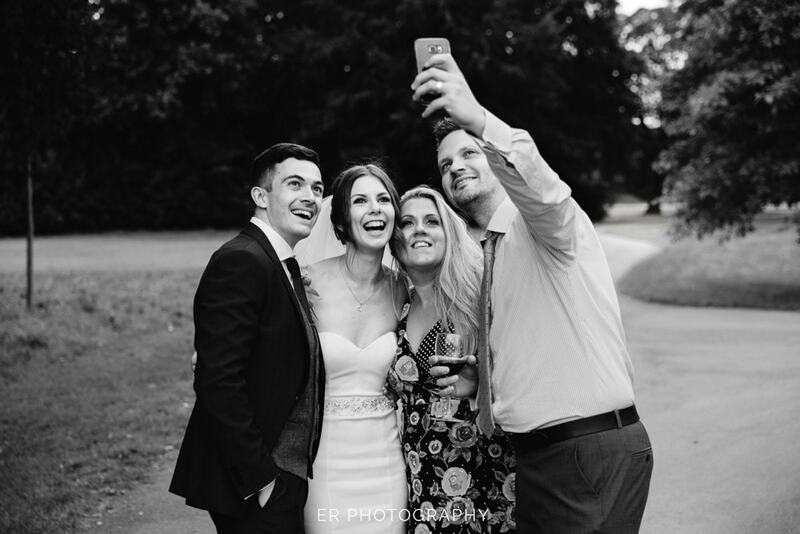 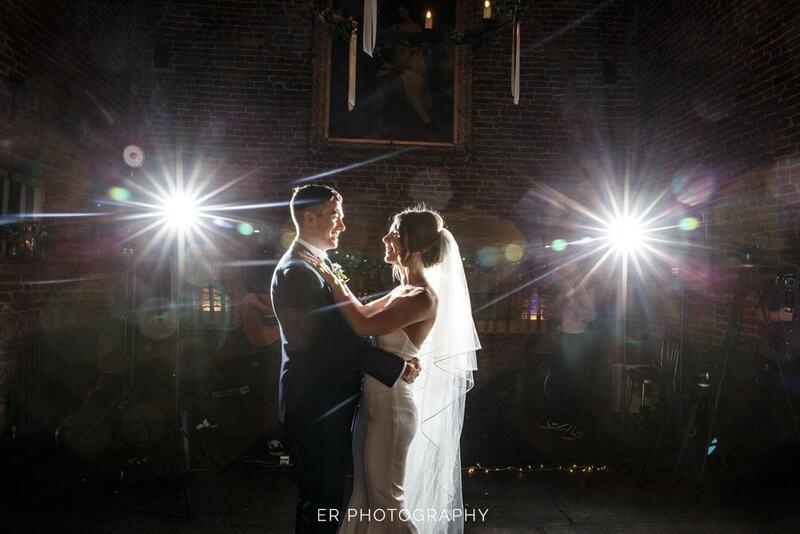 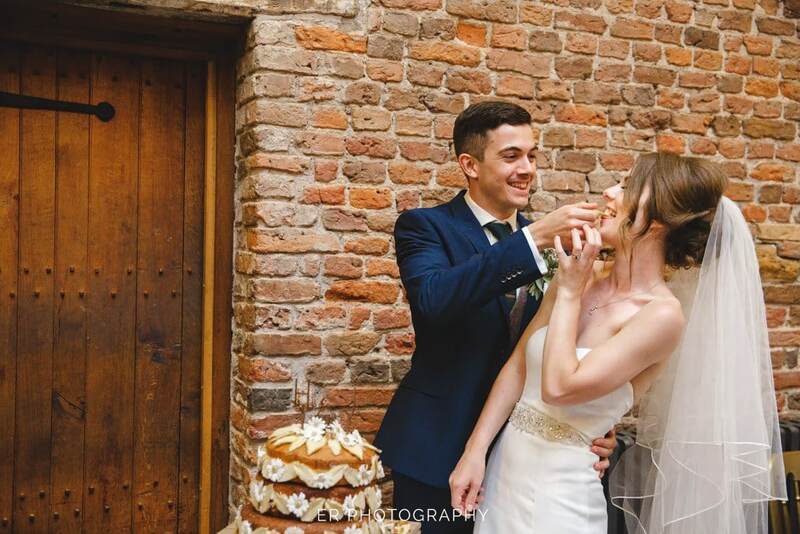 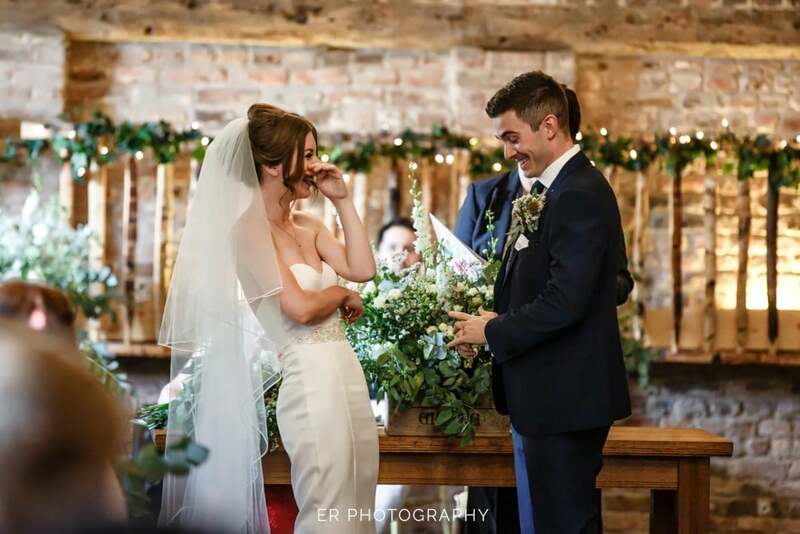 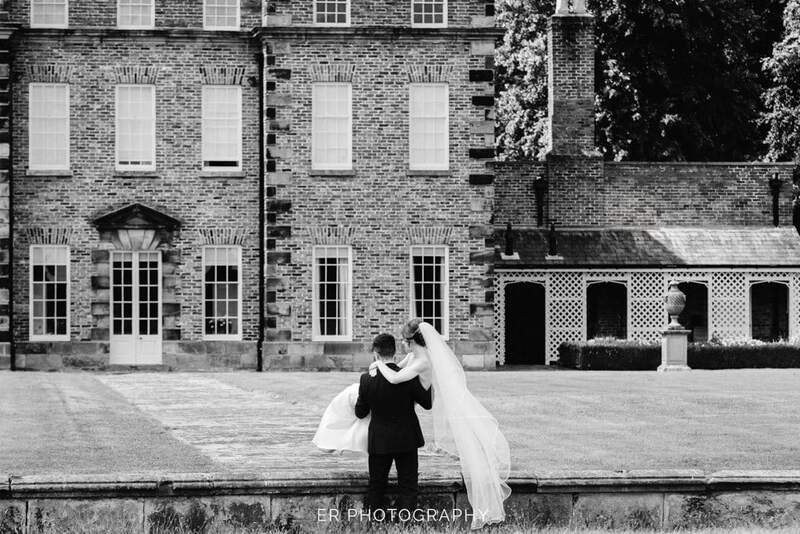 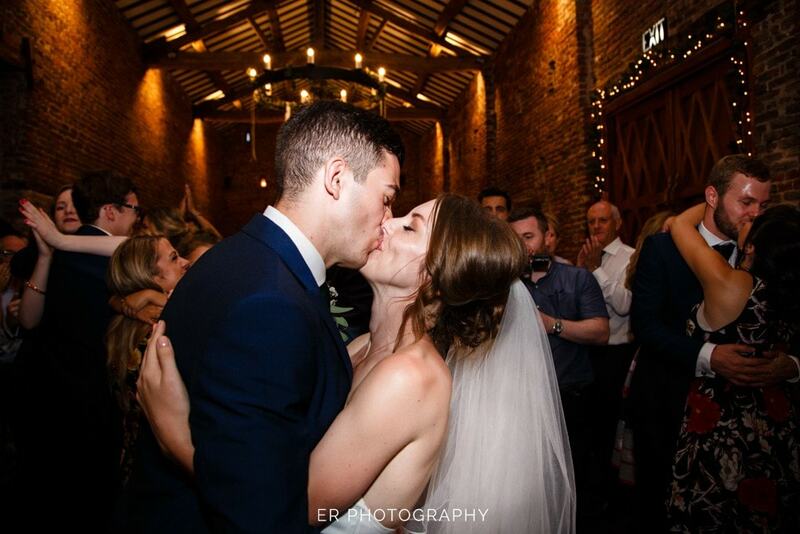 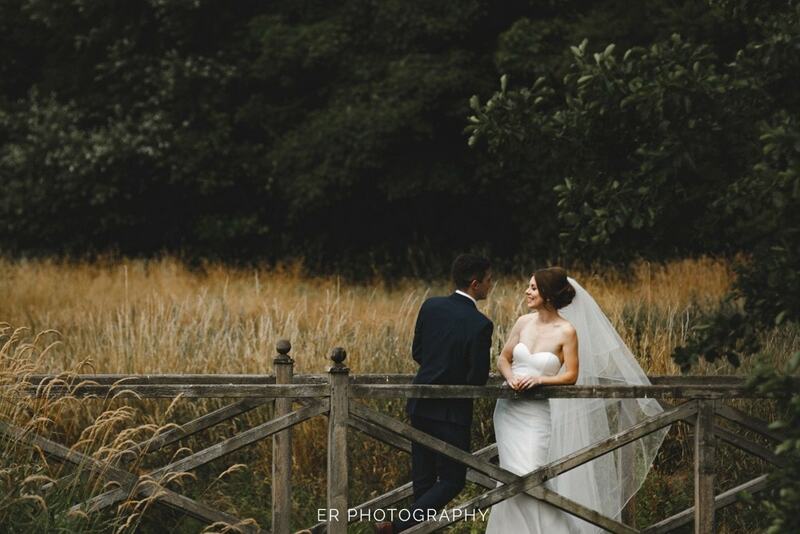 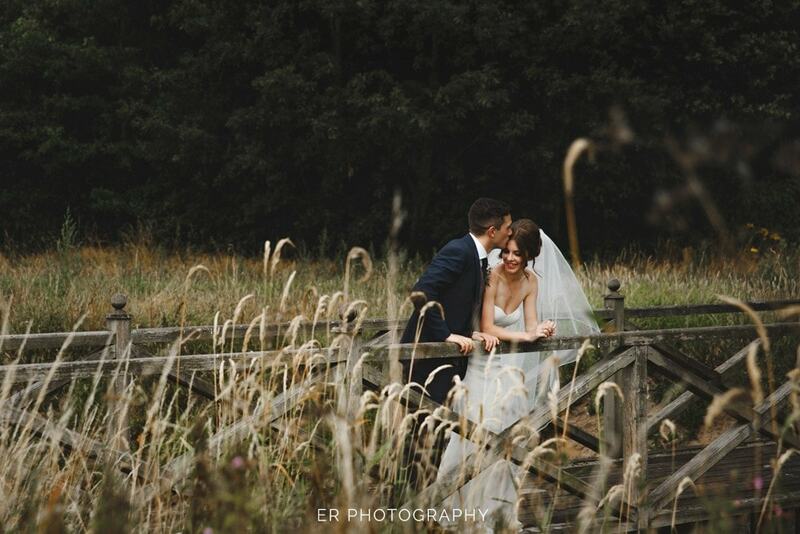 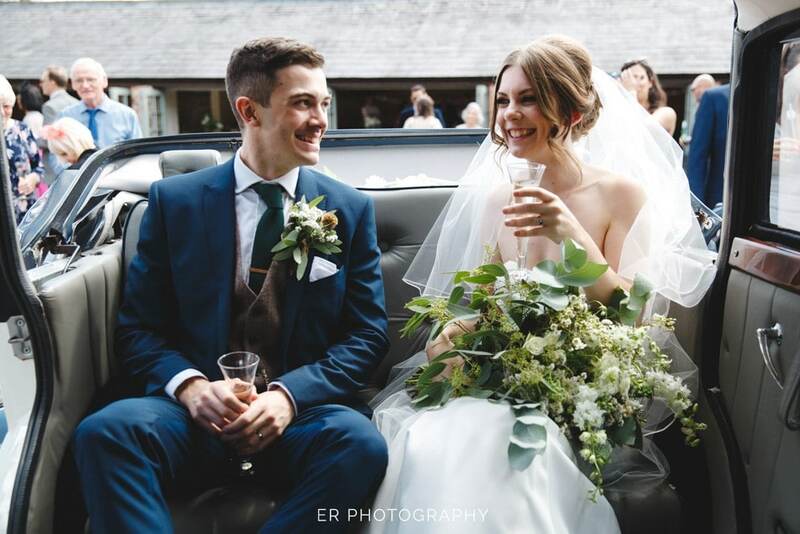 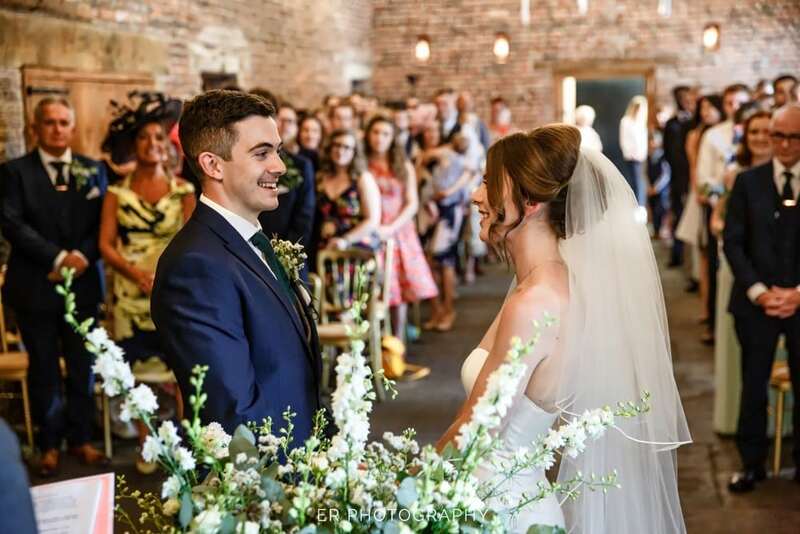 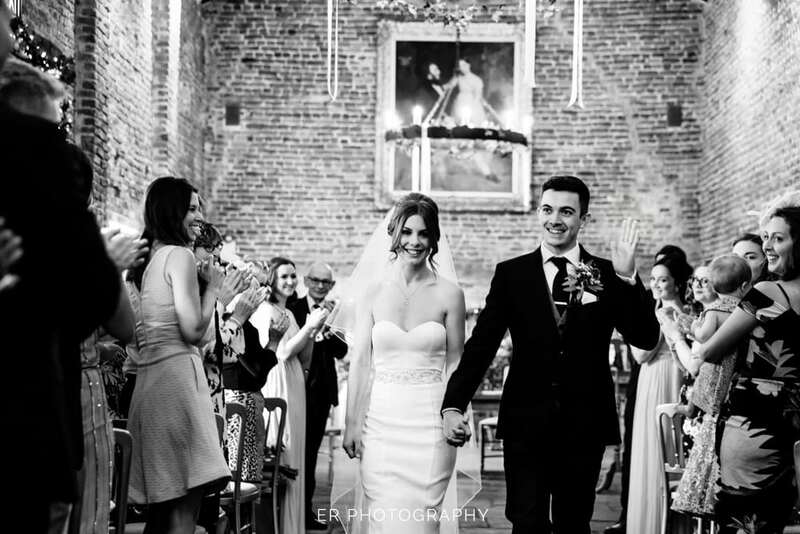 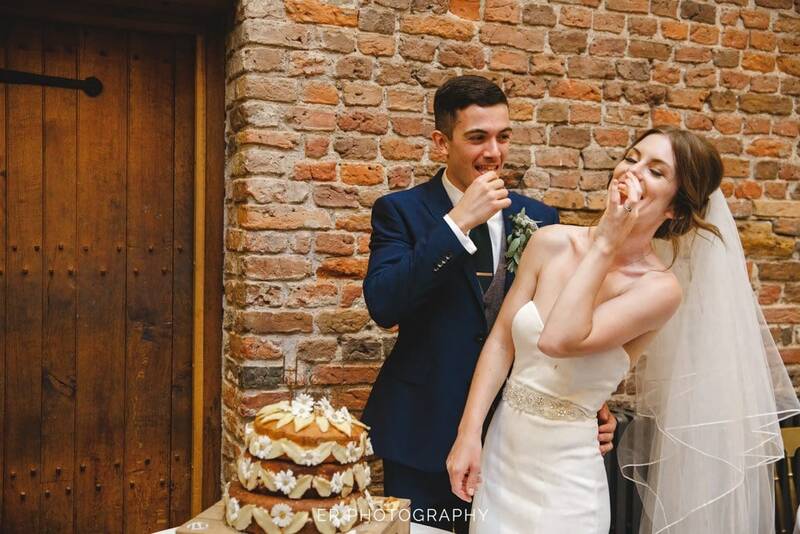 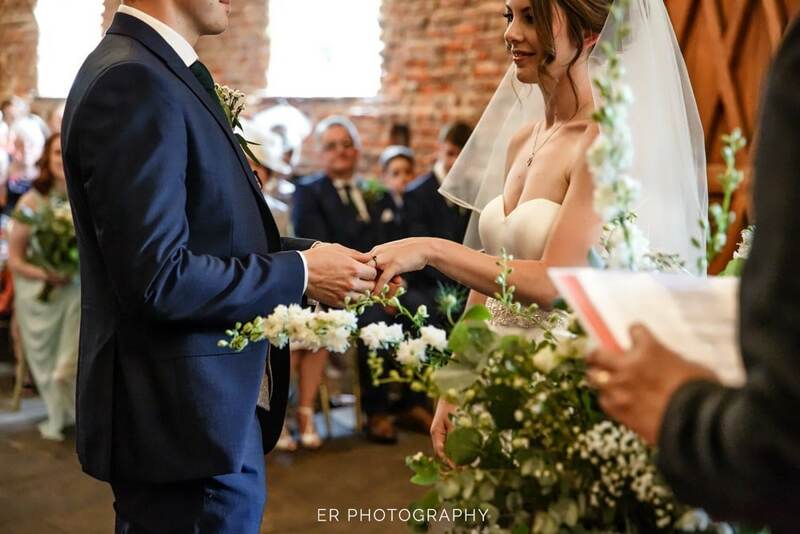 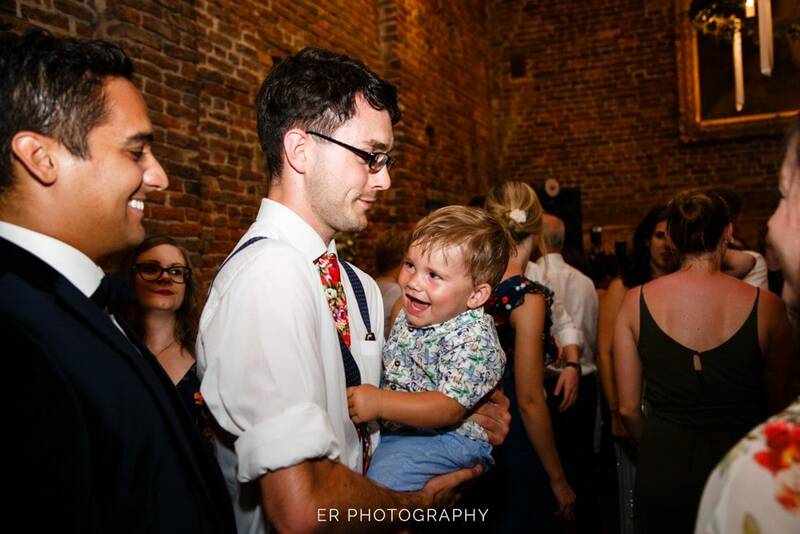 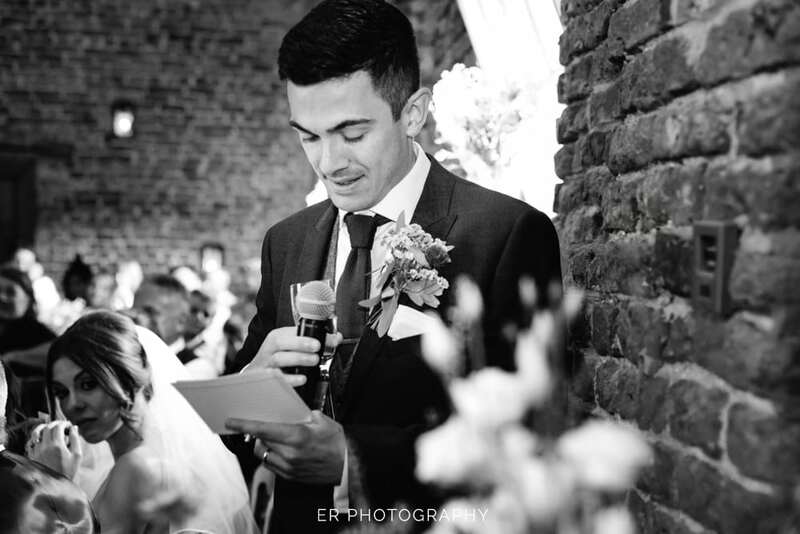 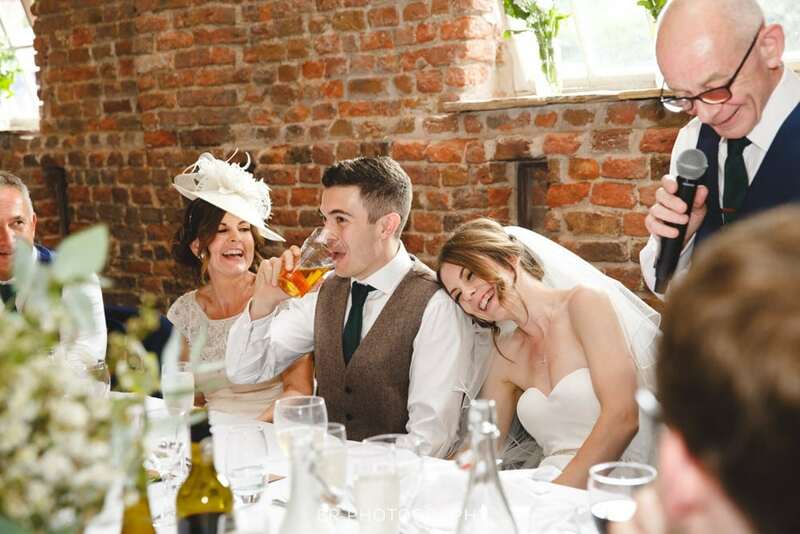 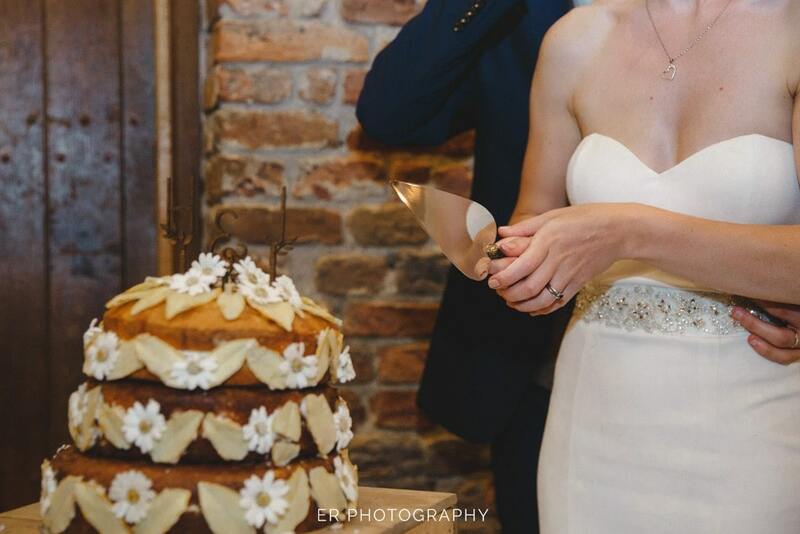 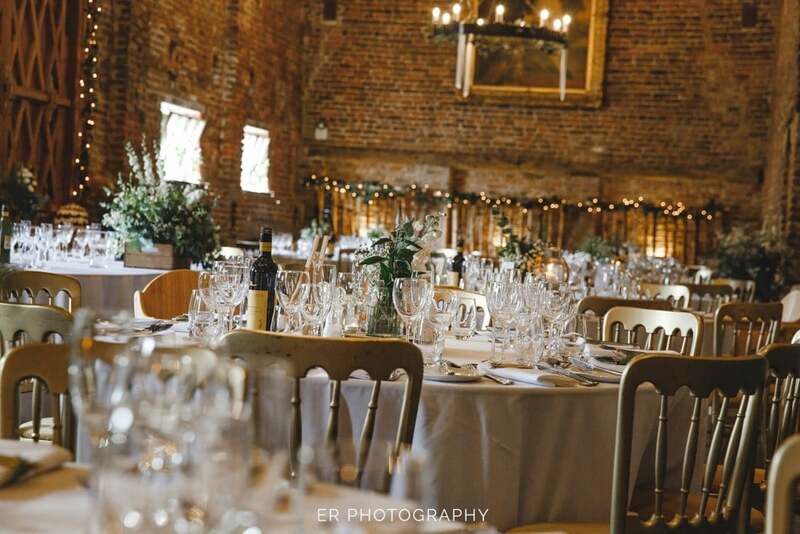 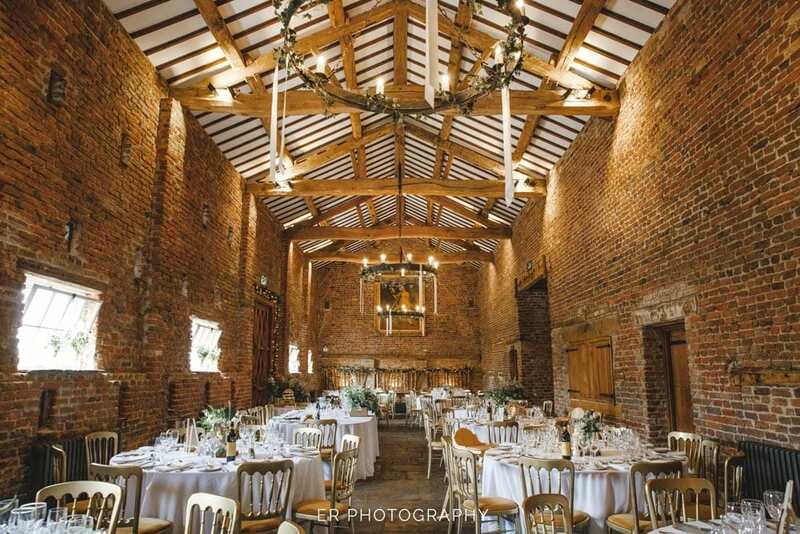 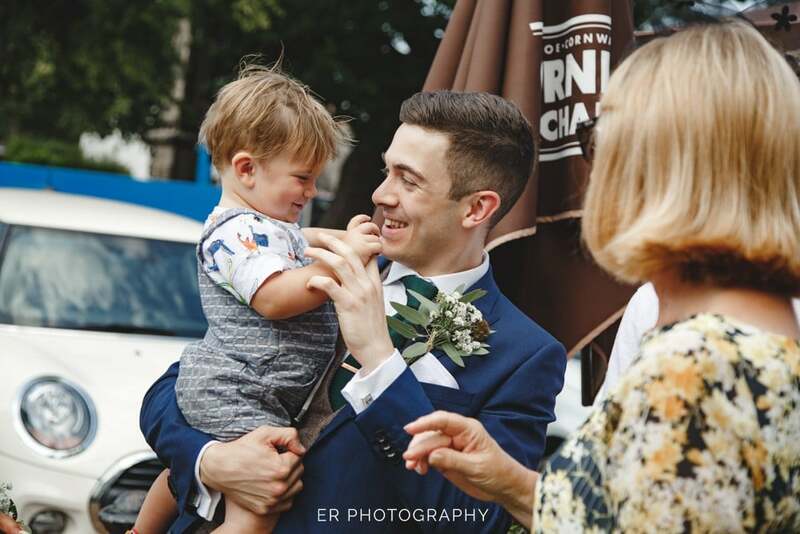 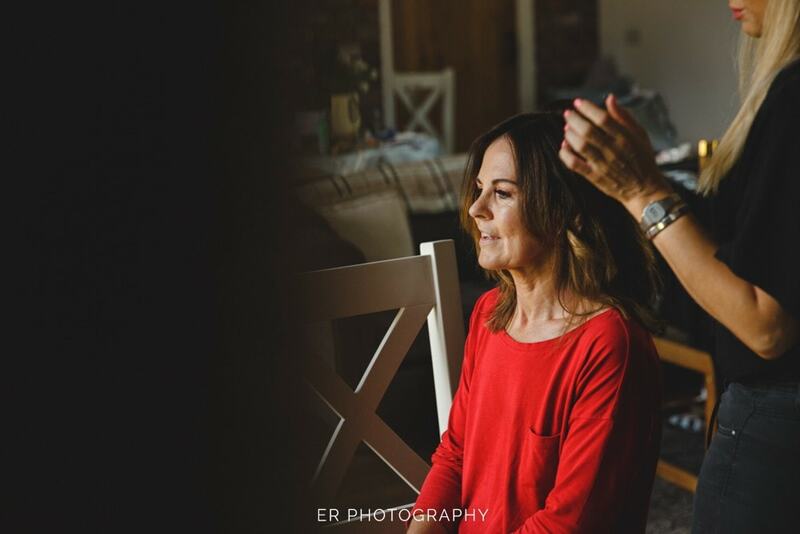 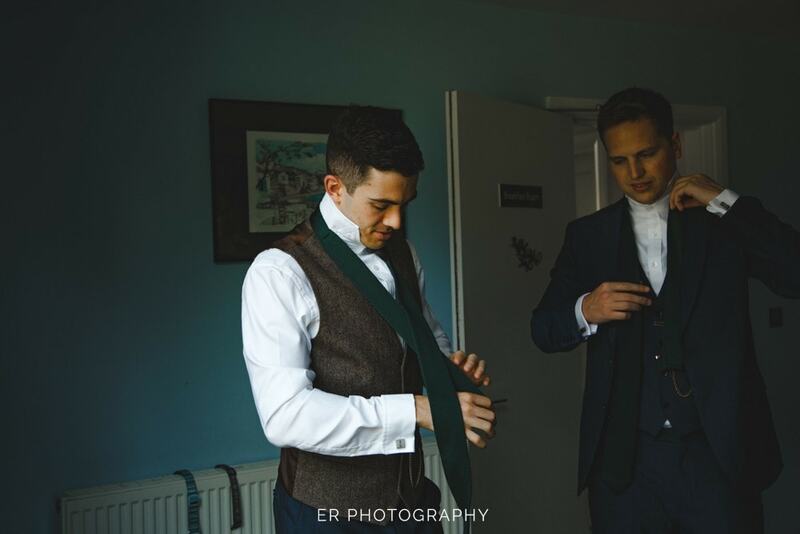 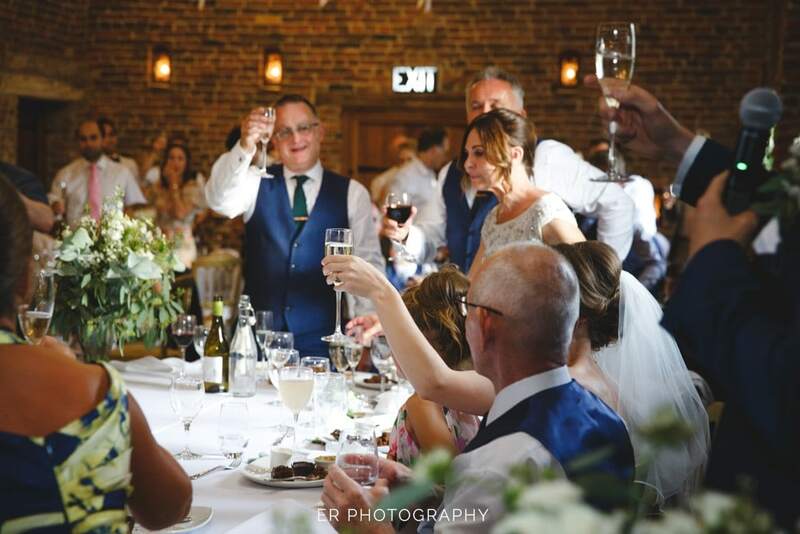 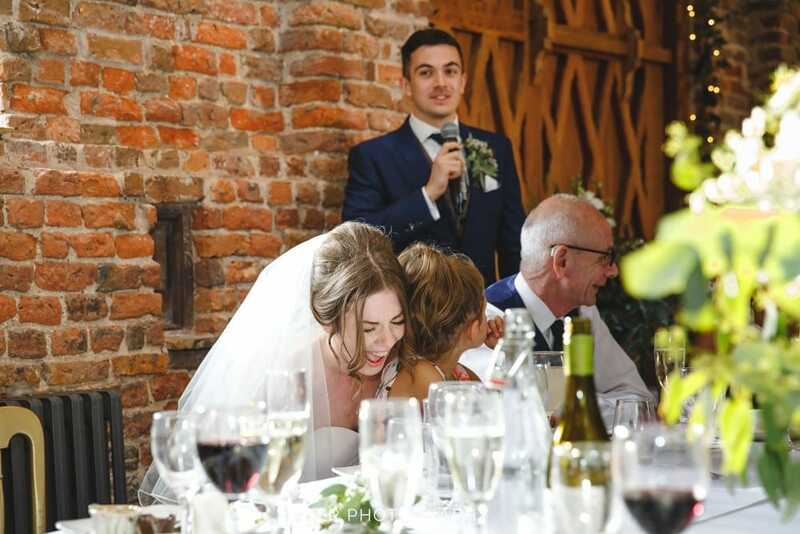 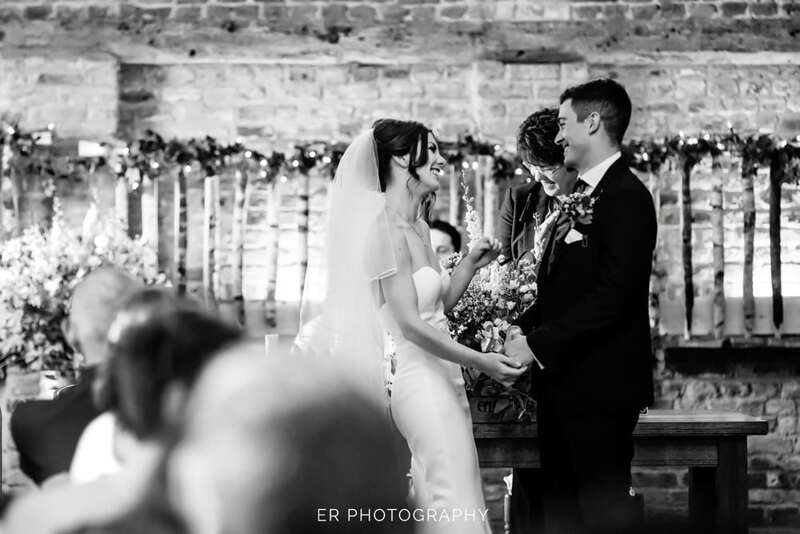 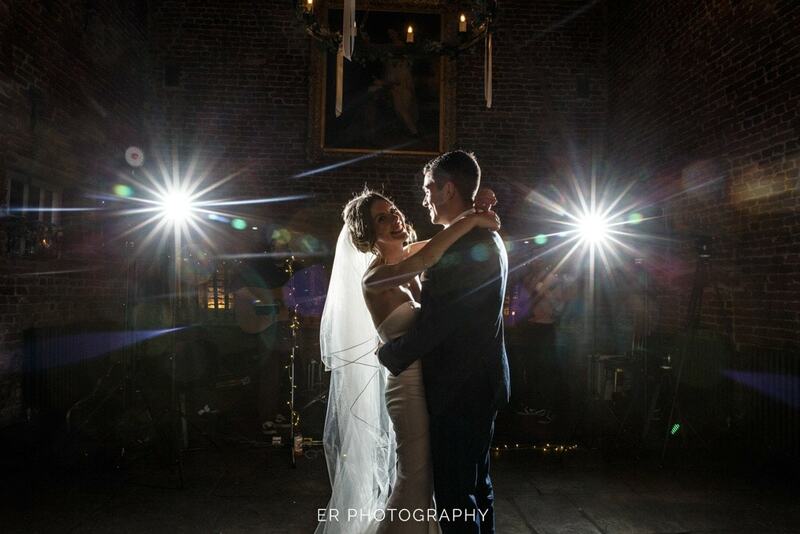 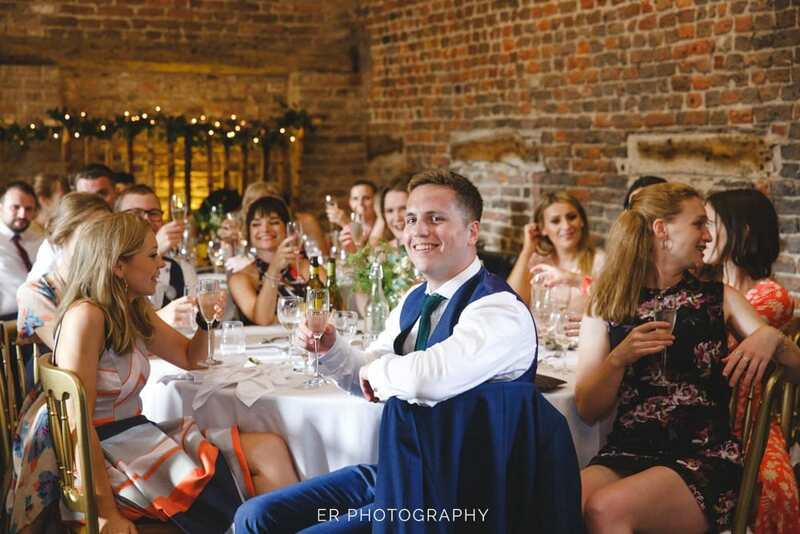 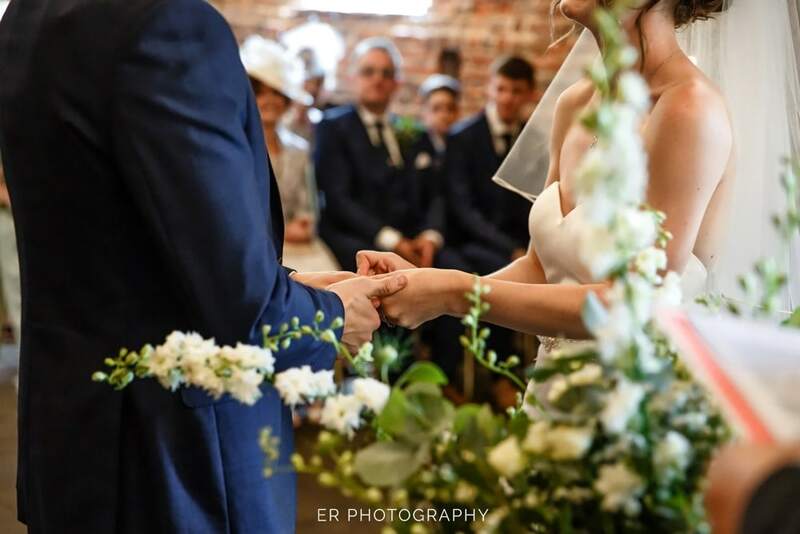 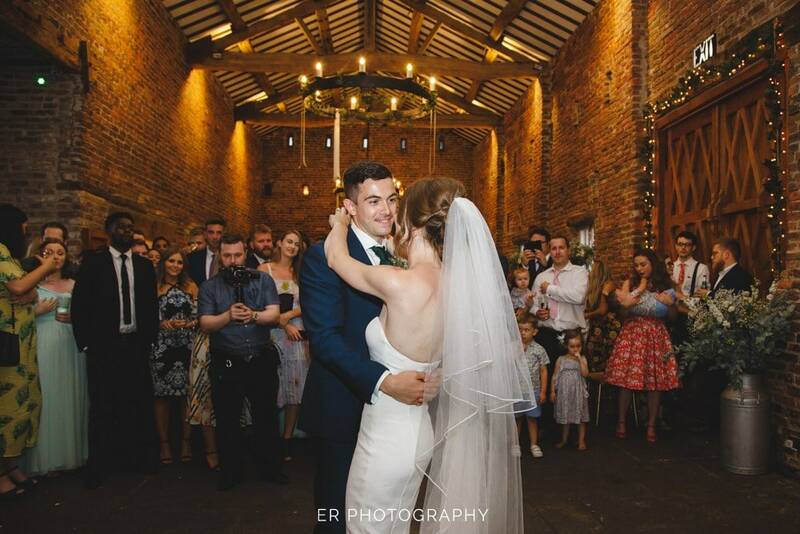 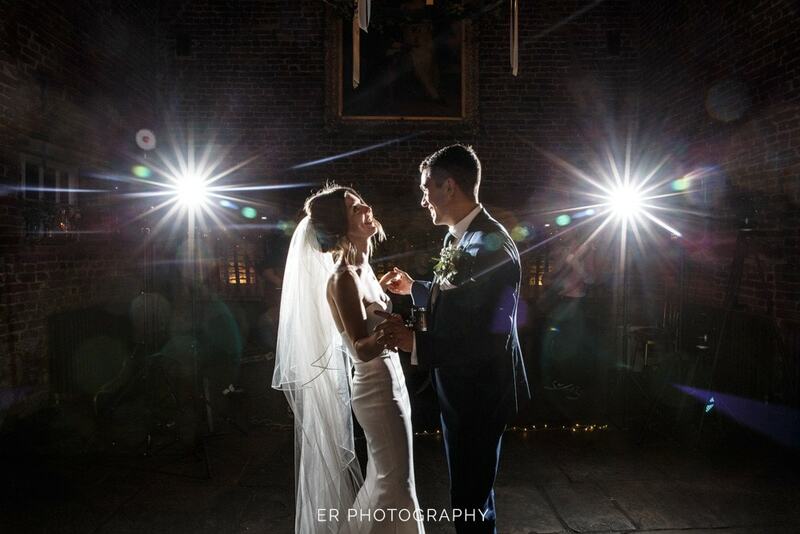 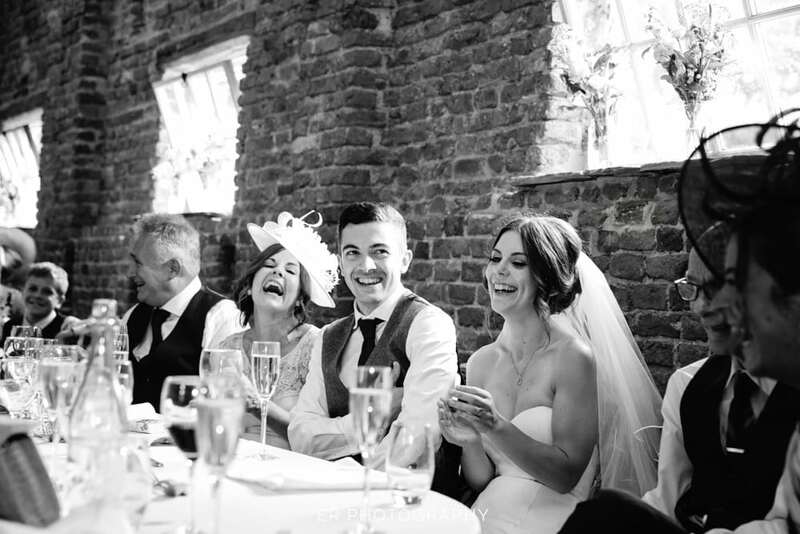 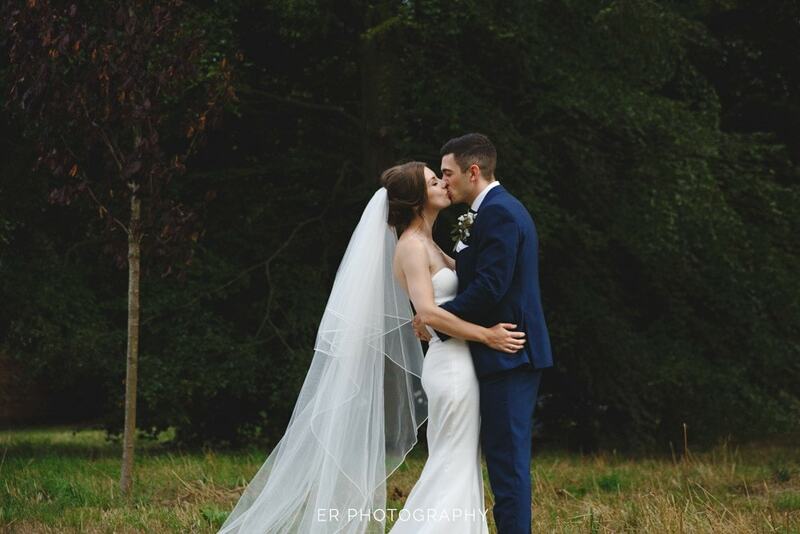 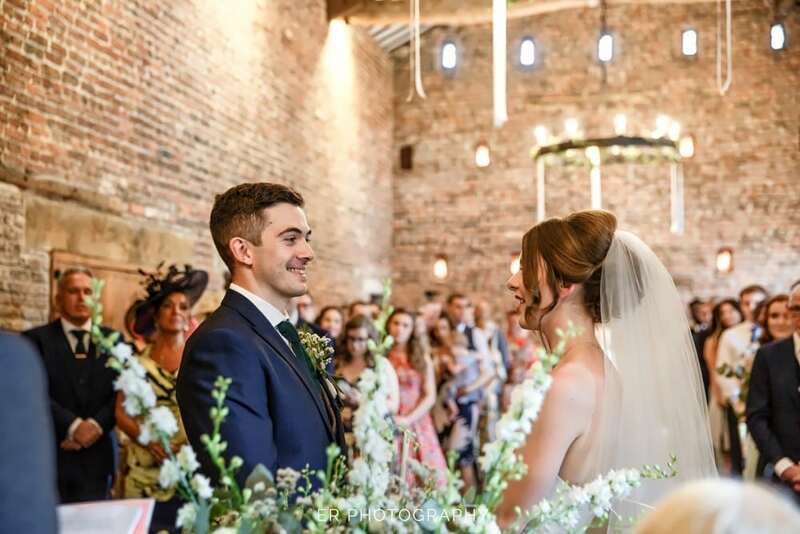 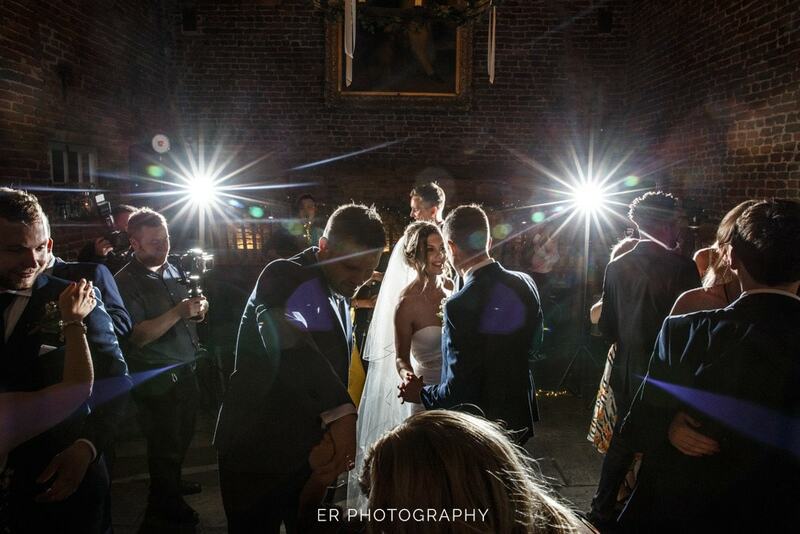 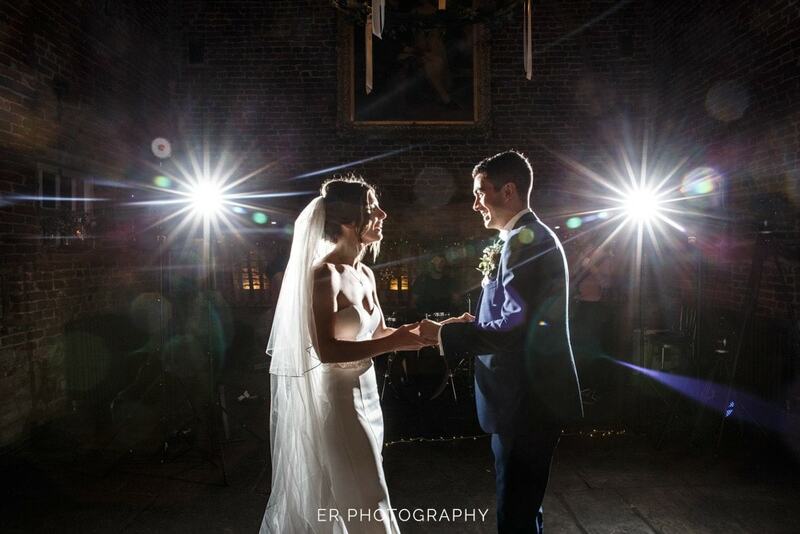 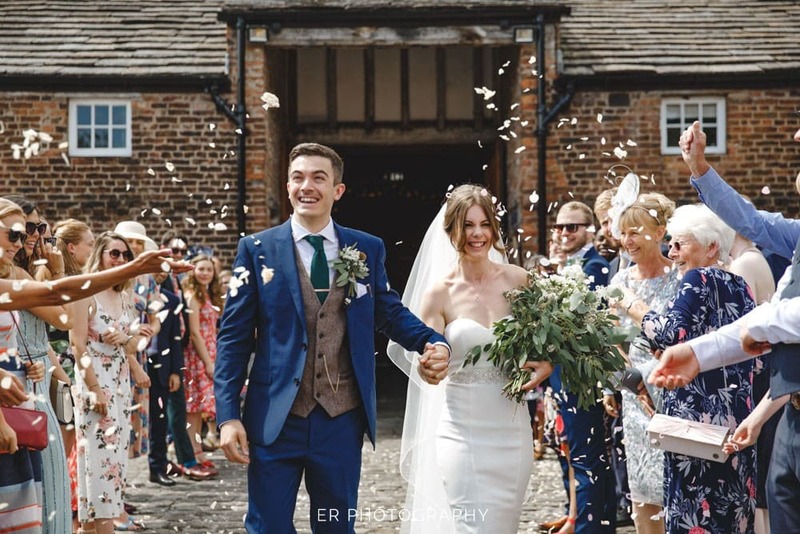 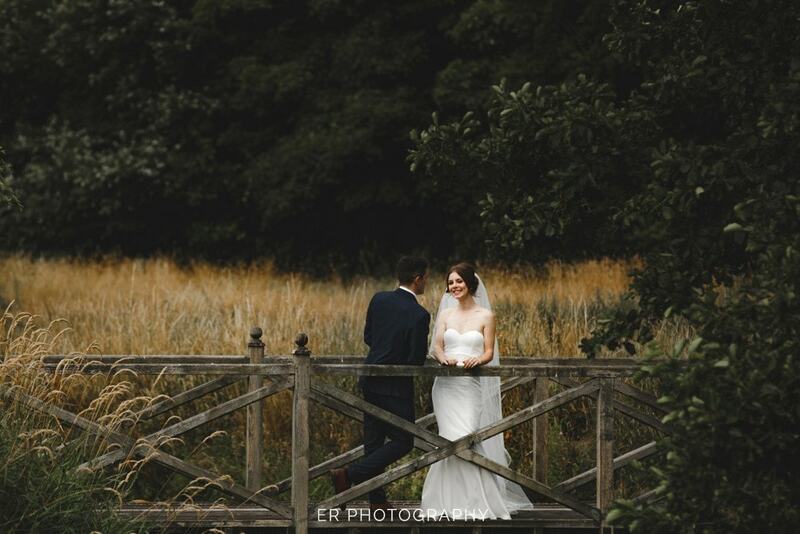 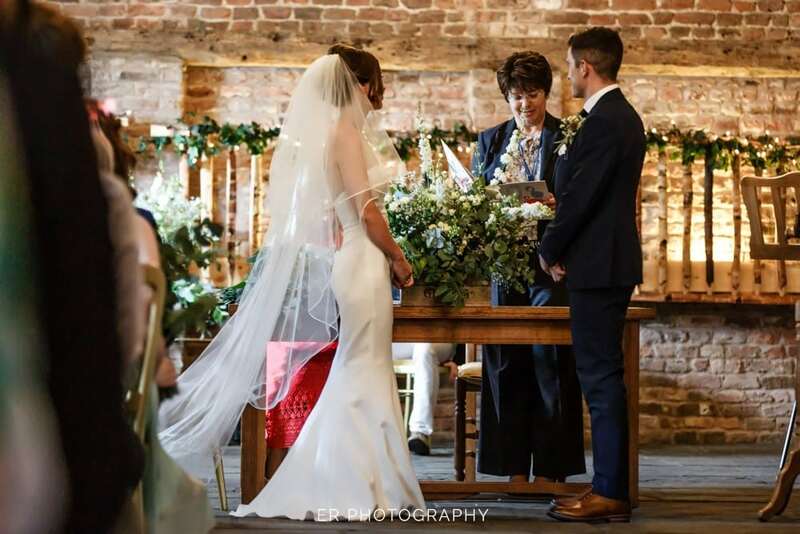 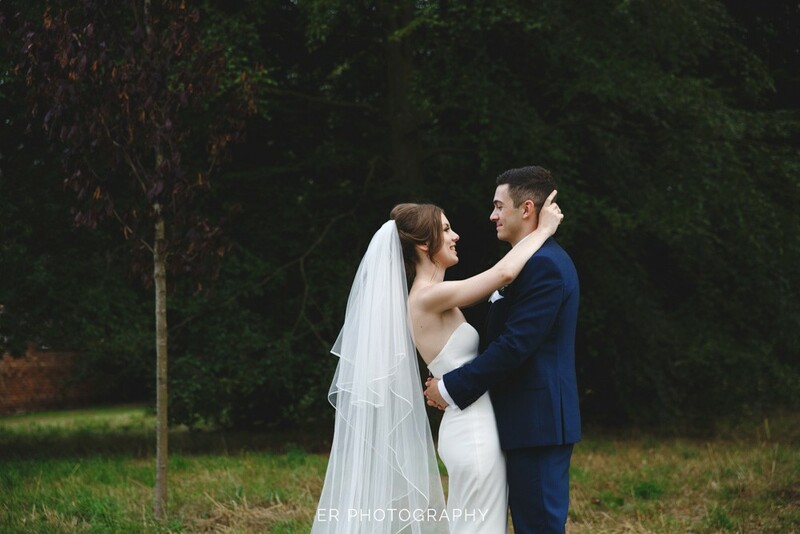 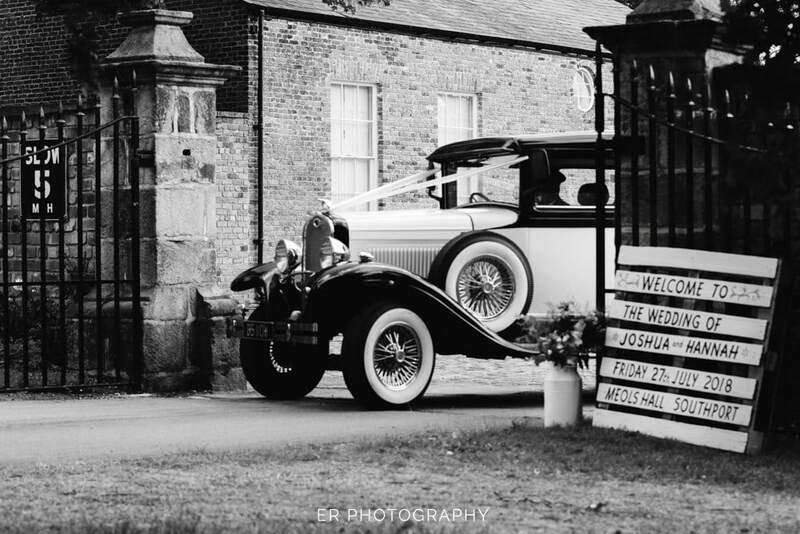 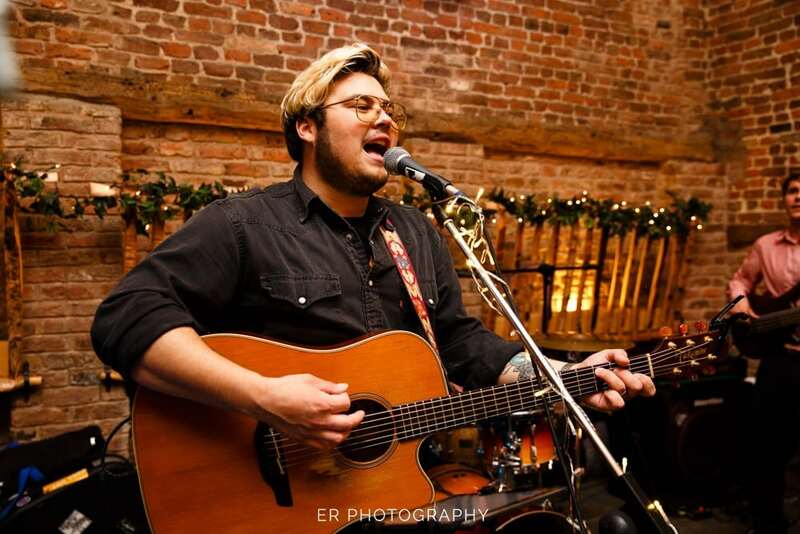 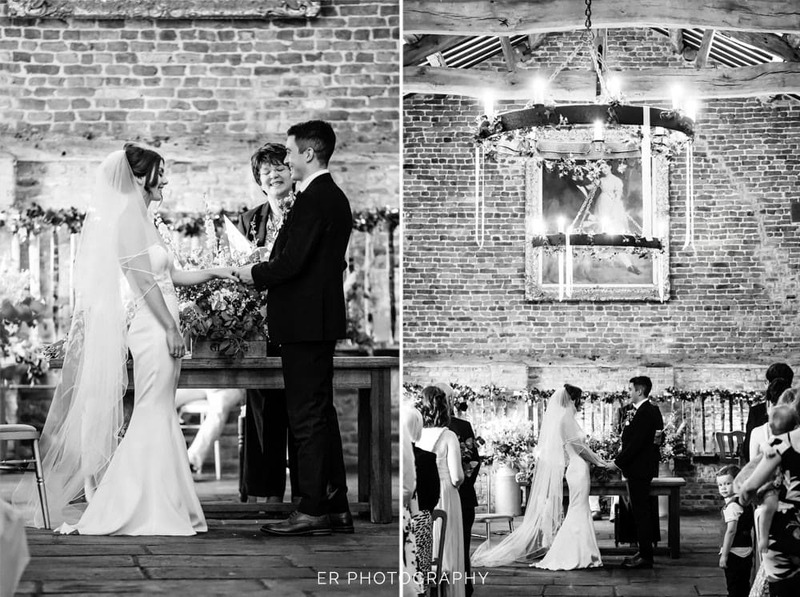 Meols Hall has a grand feel to the ceremony space, with it’s lush beams and bare brick walls its soft and romantic and suited Hannah + Josh down perfectly, they made a great choice when choosing this rustic barn venue. 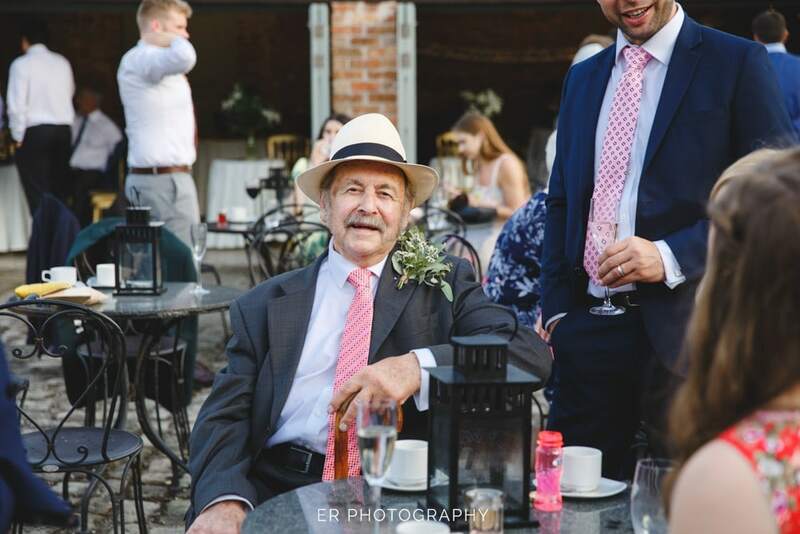 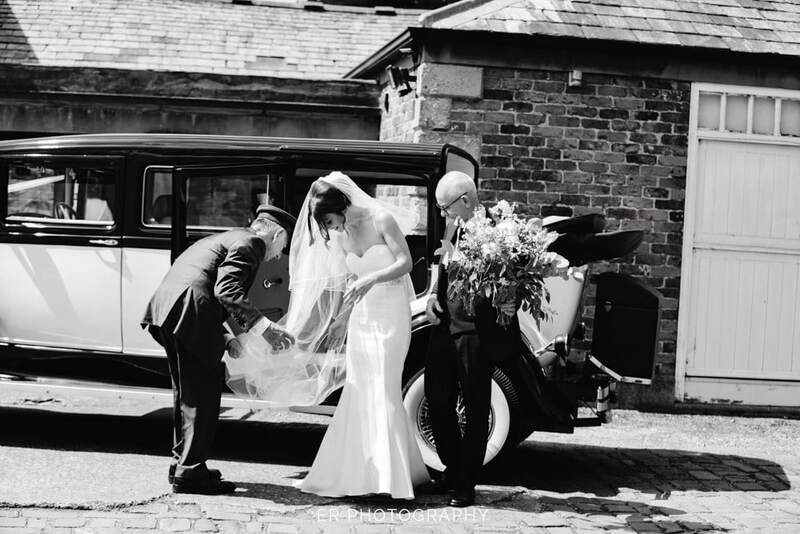 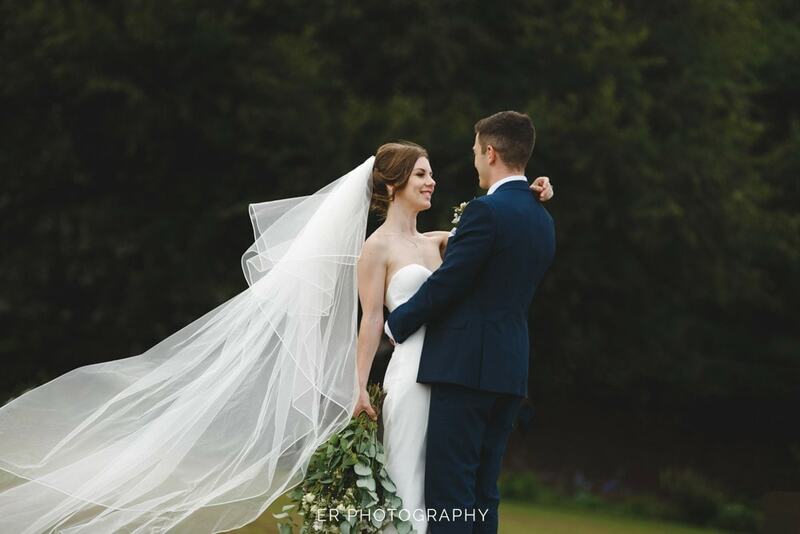 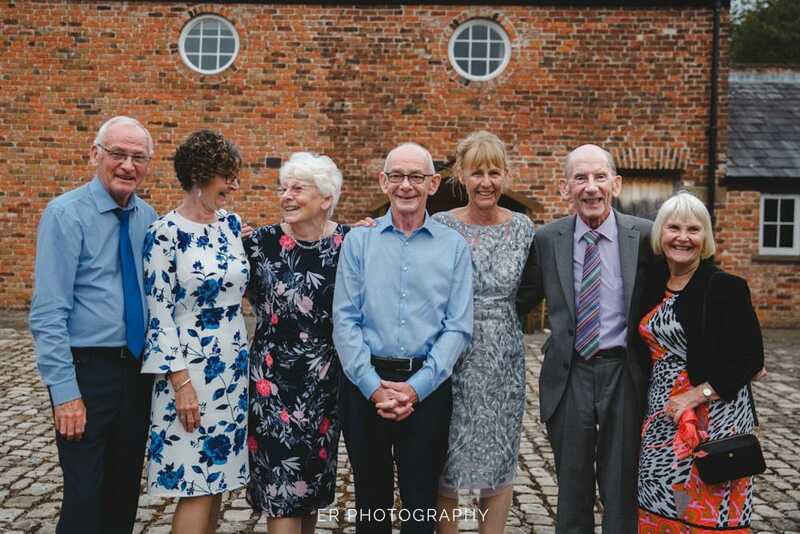 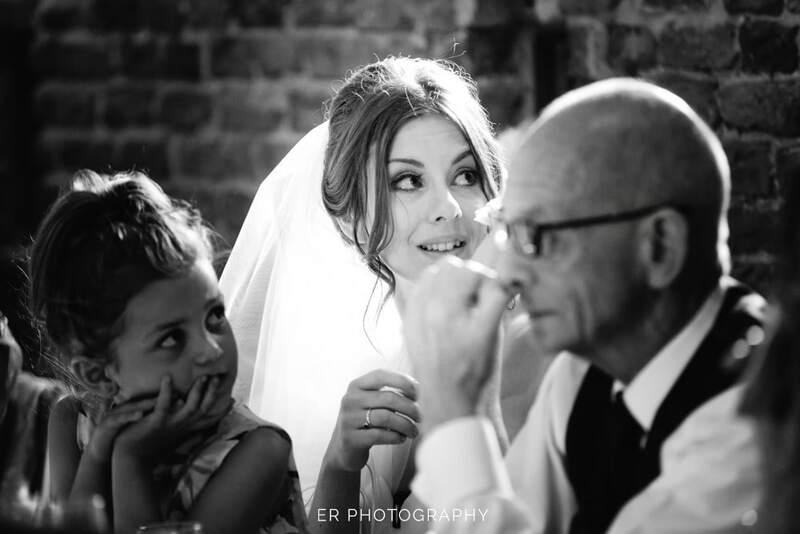 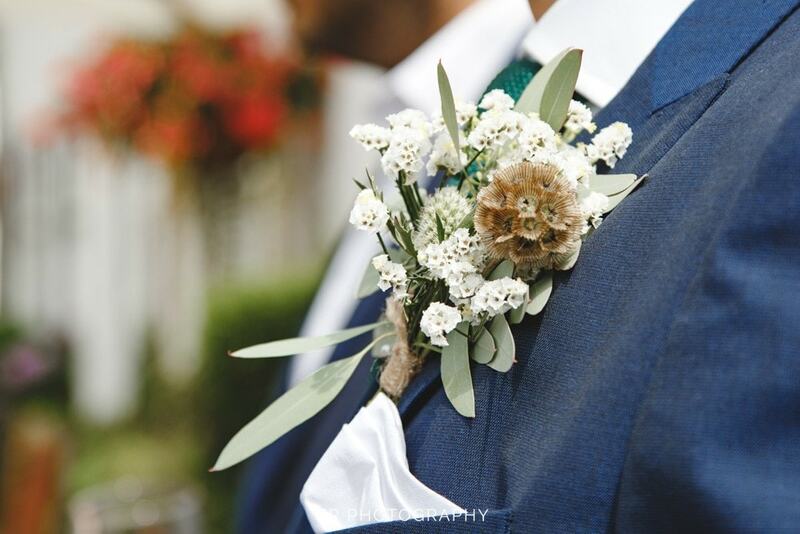 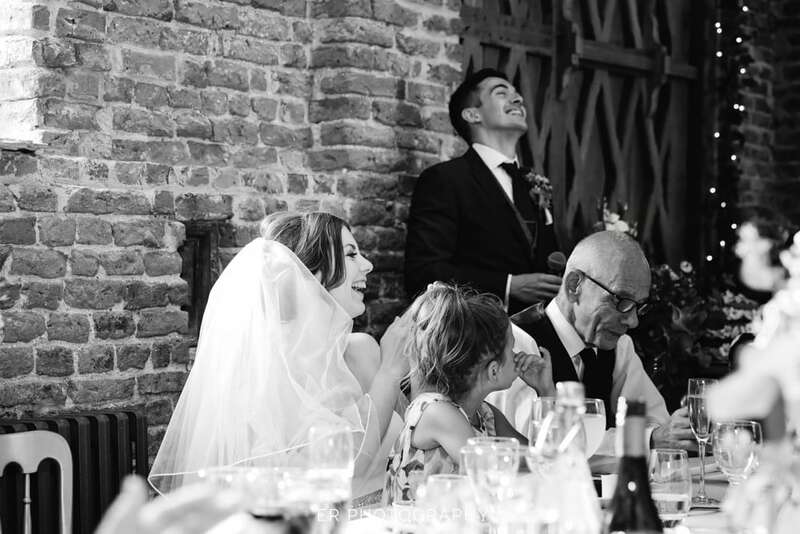 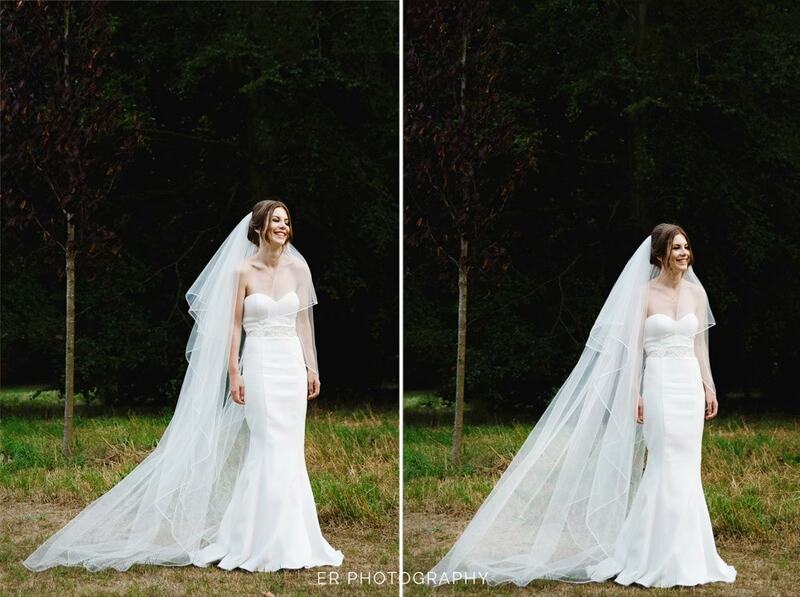 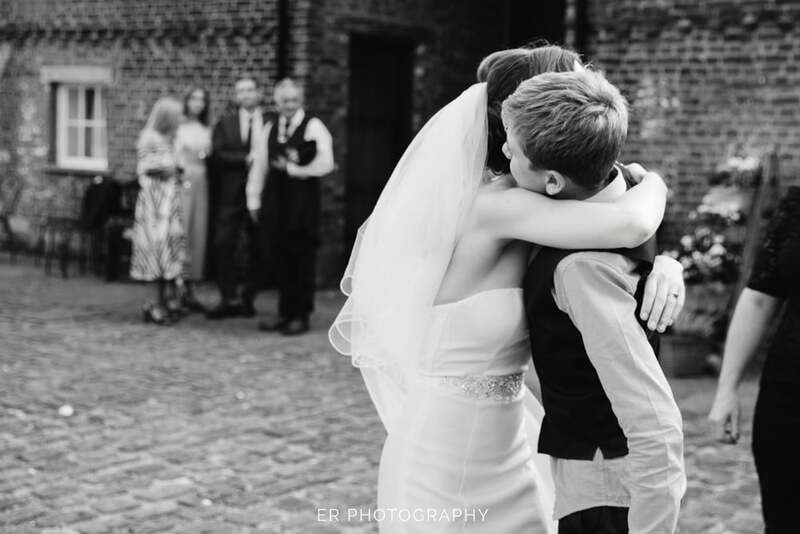 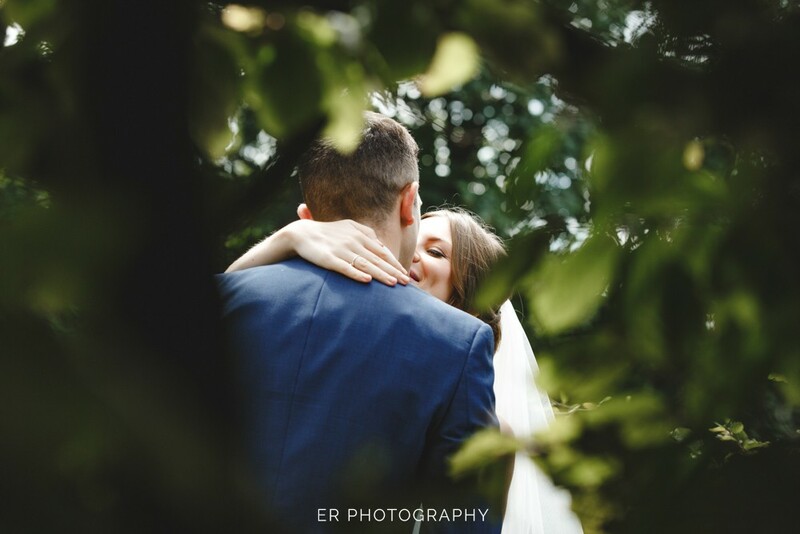 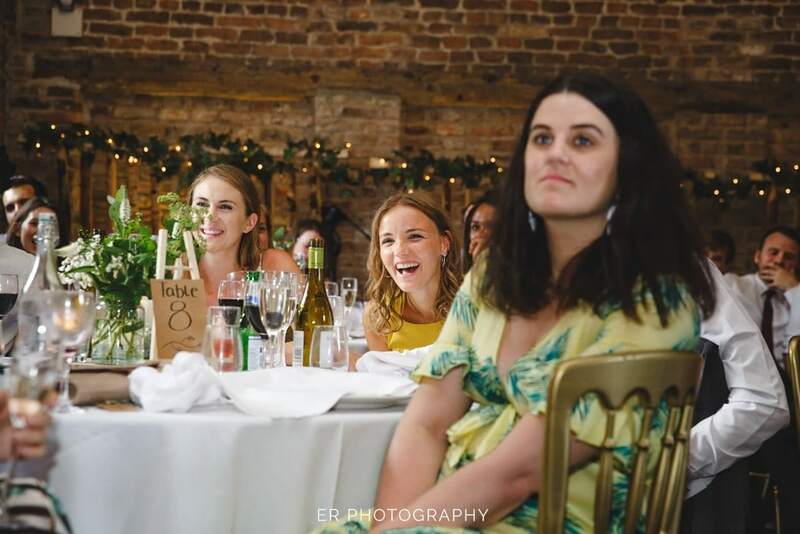 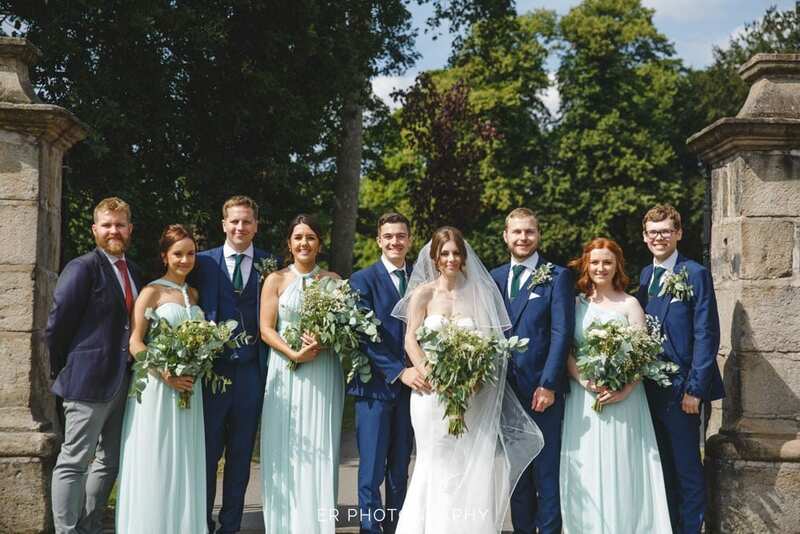 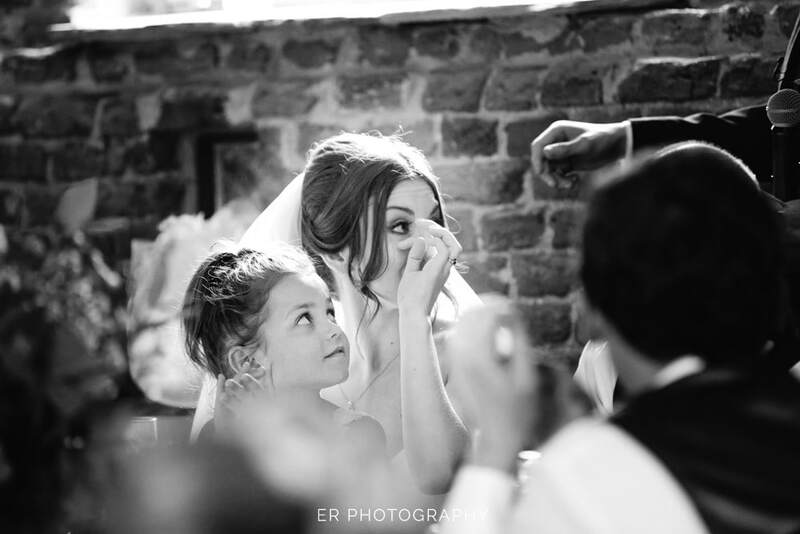 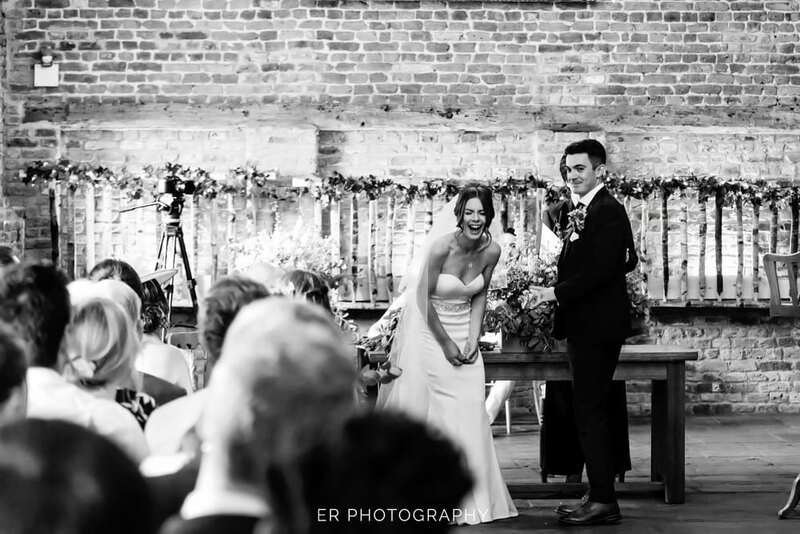 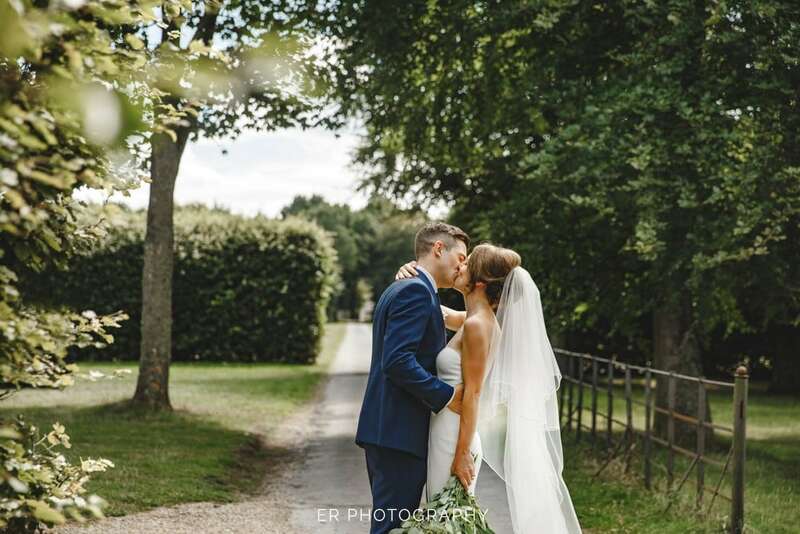 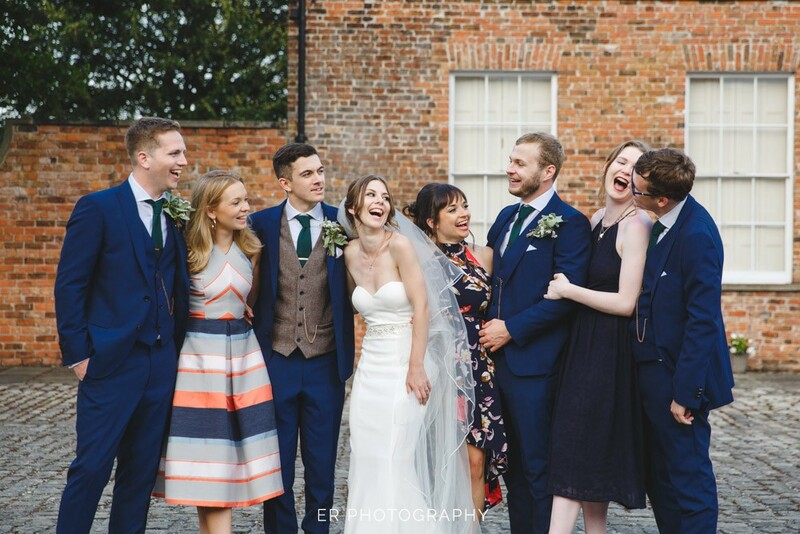 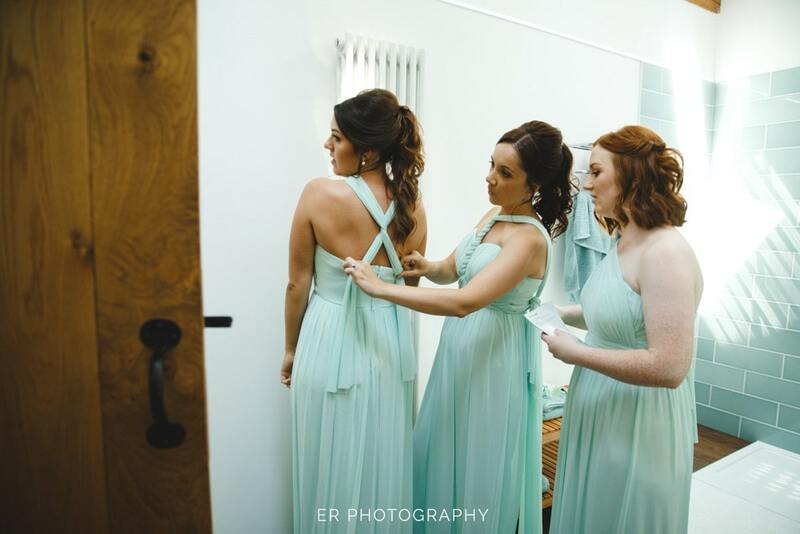 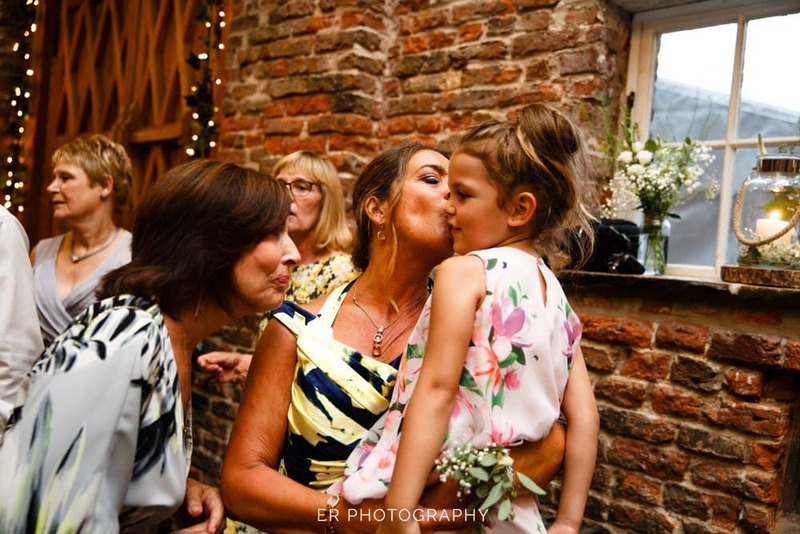 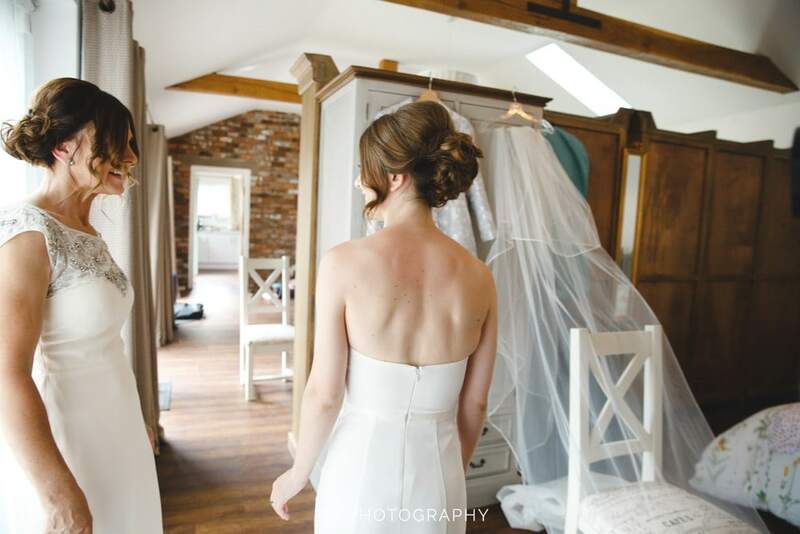 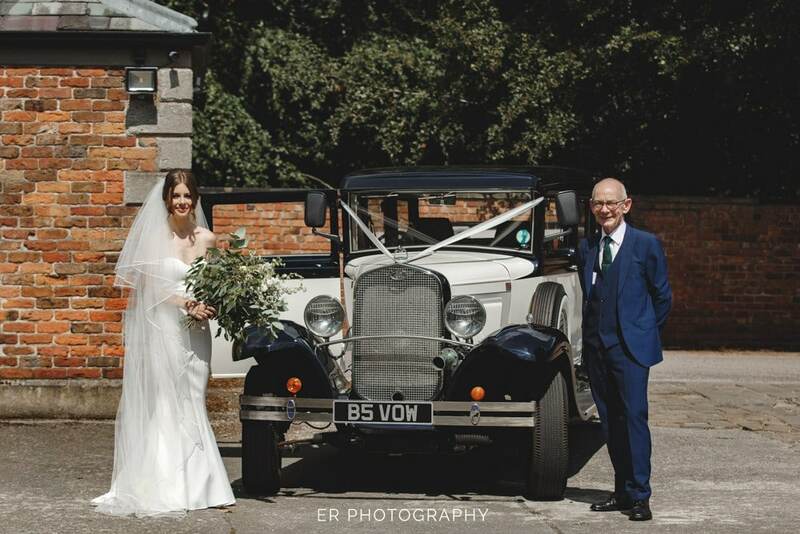 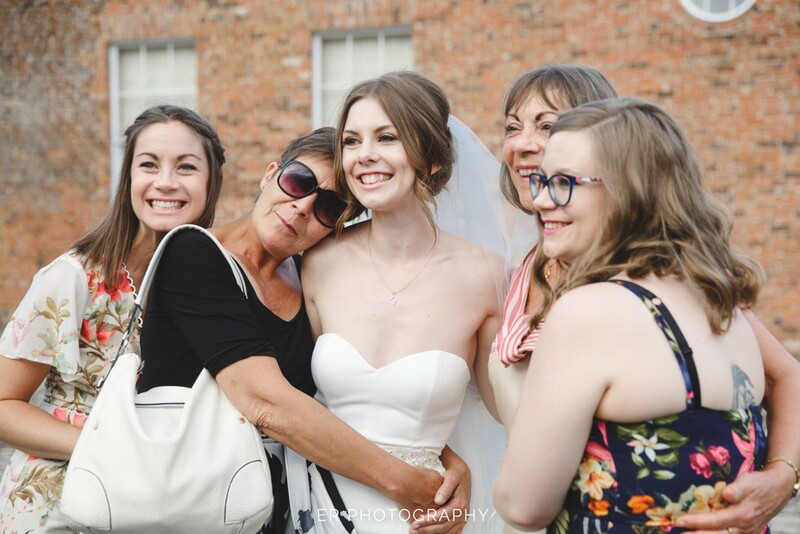 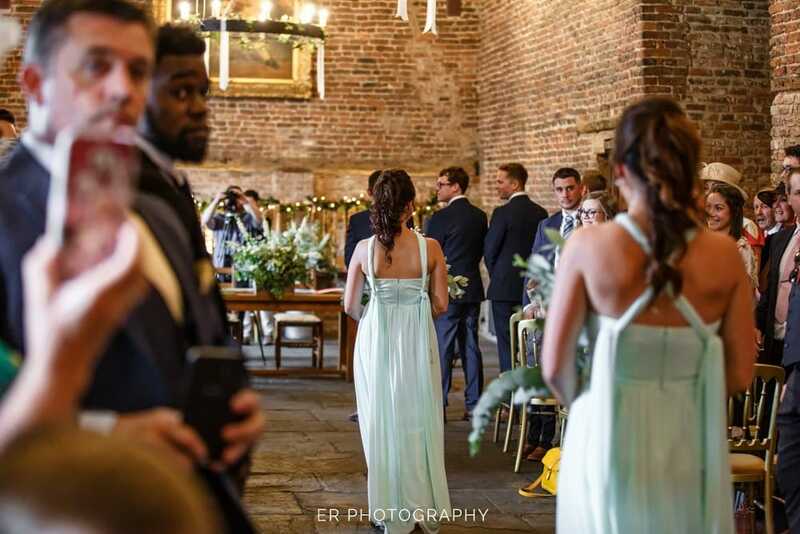 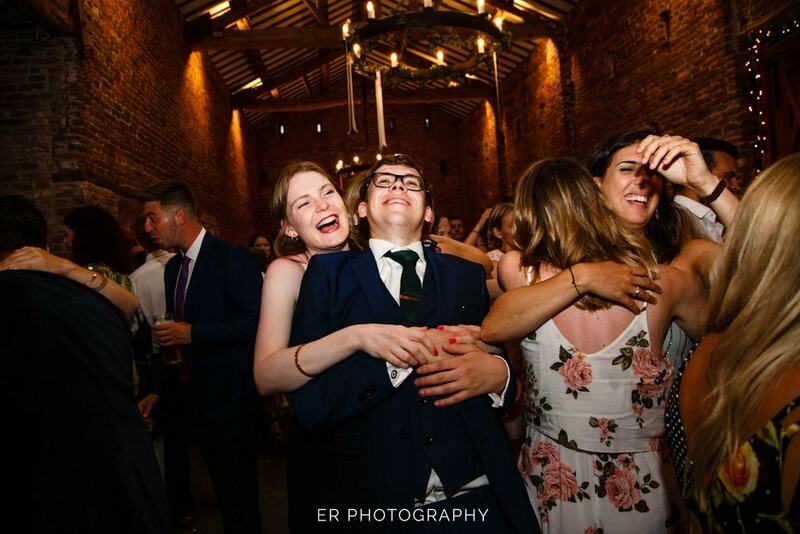 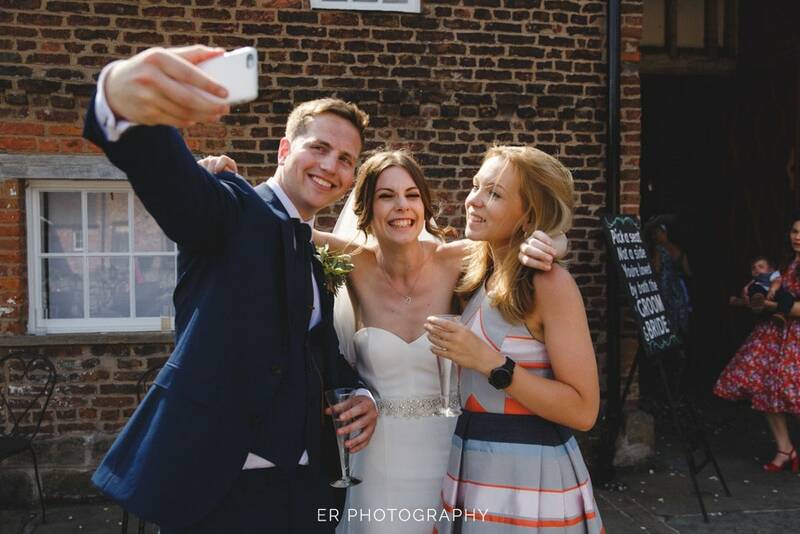 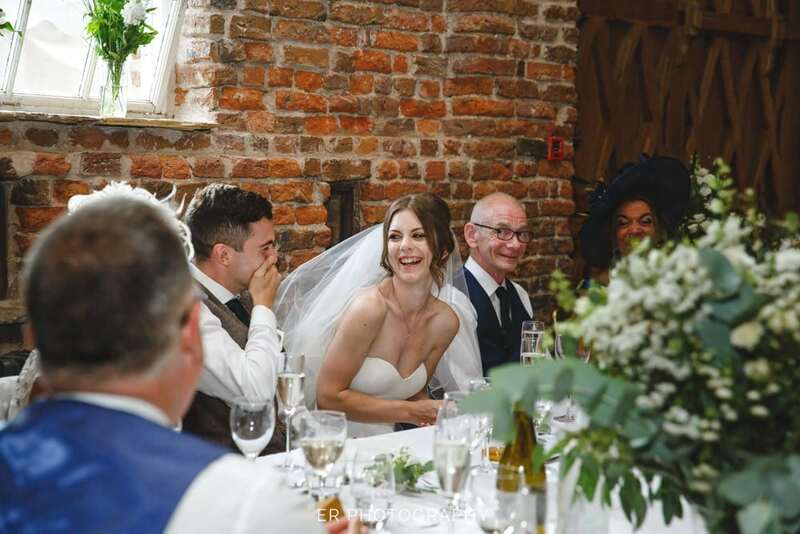 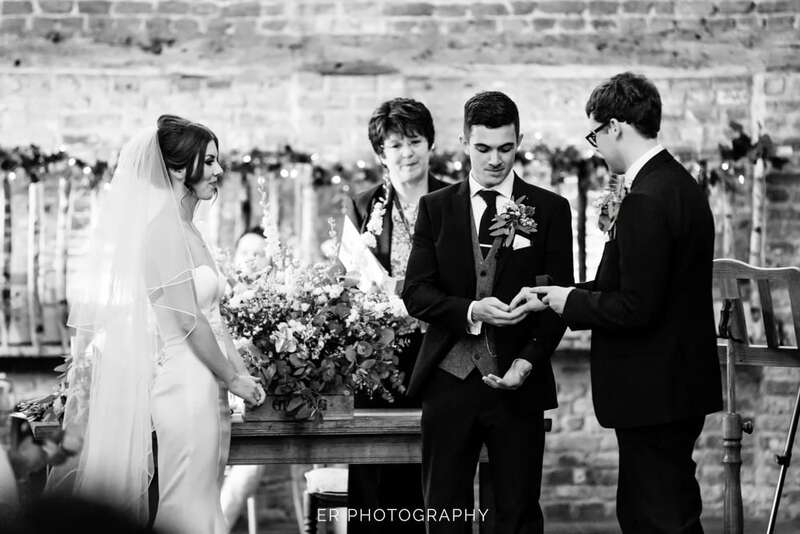 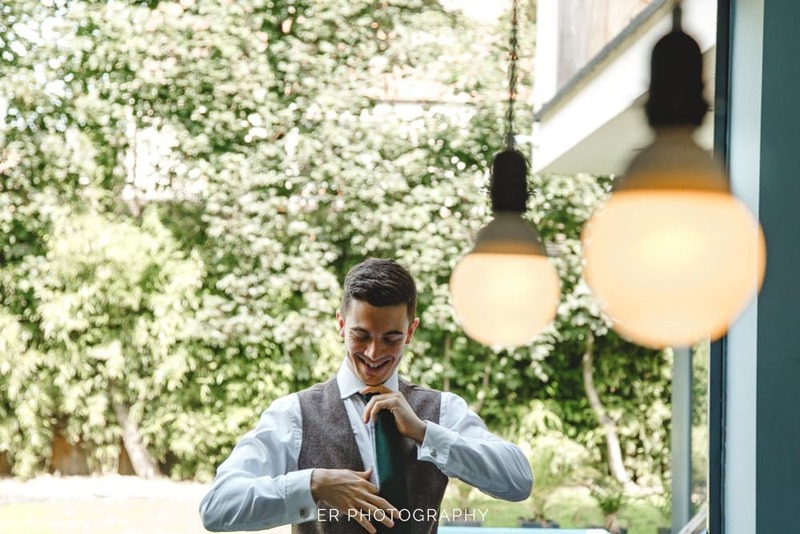 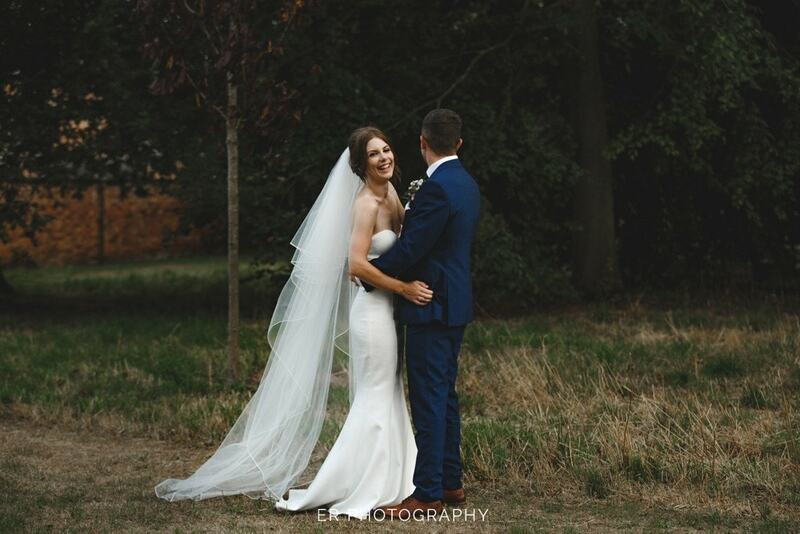 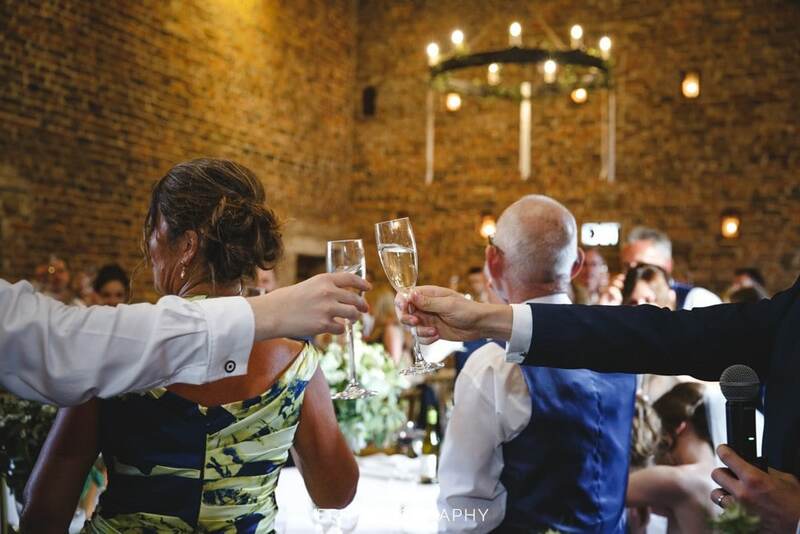 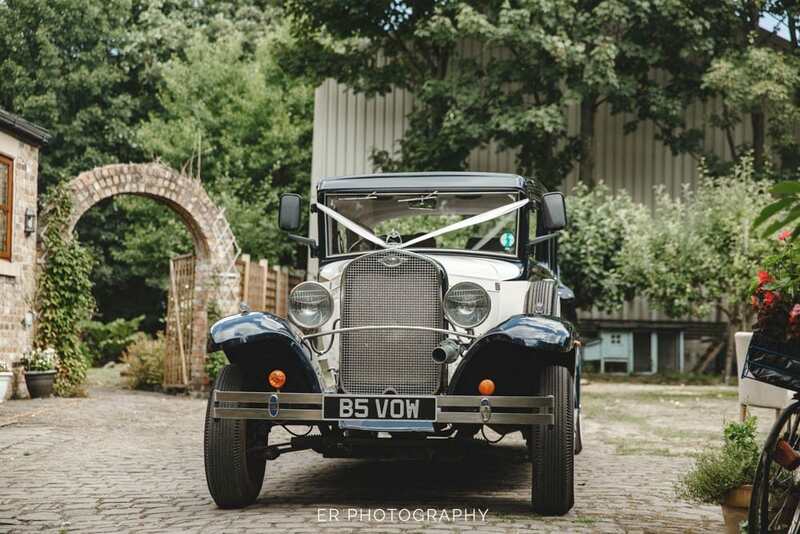 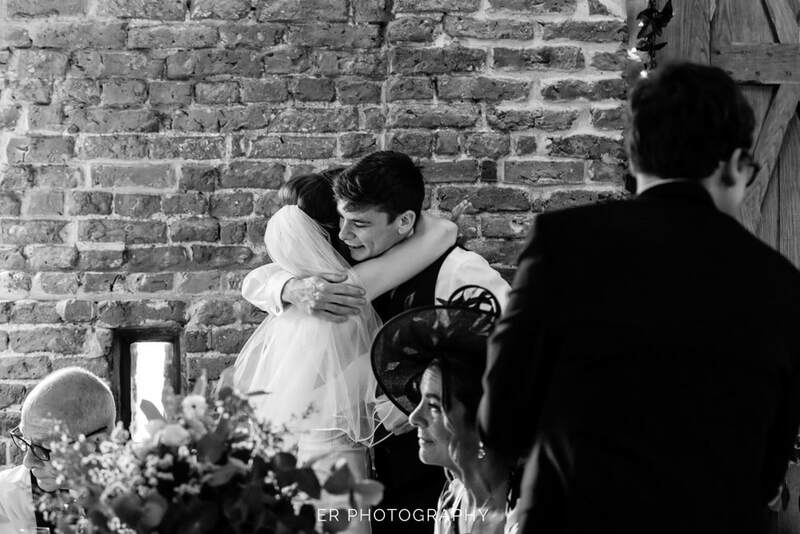 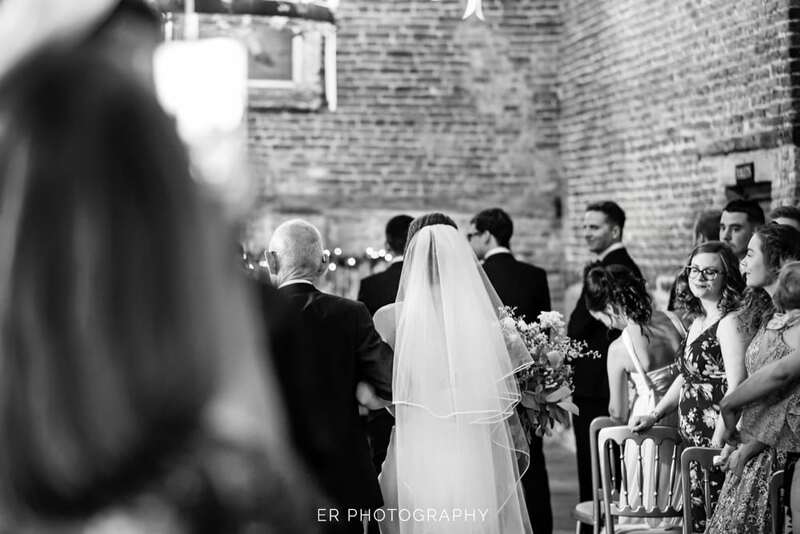 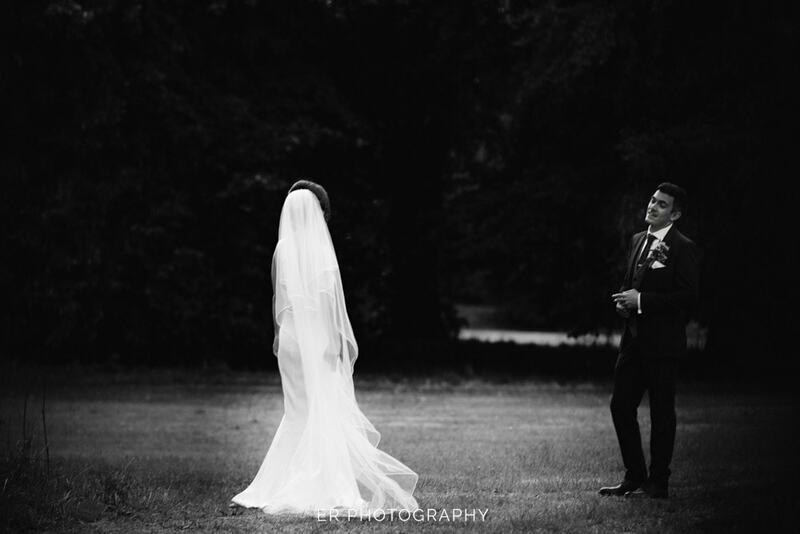 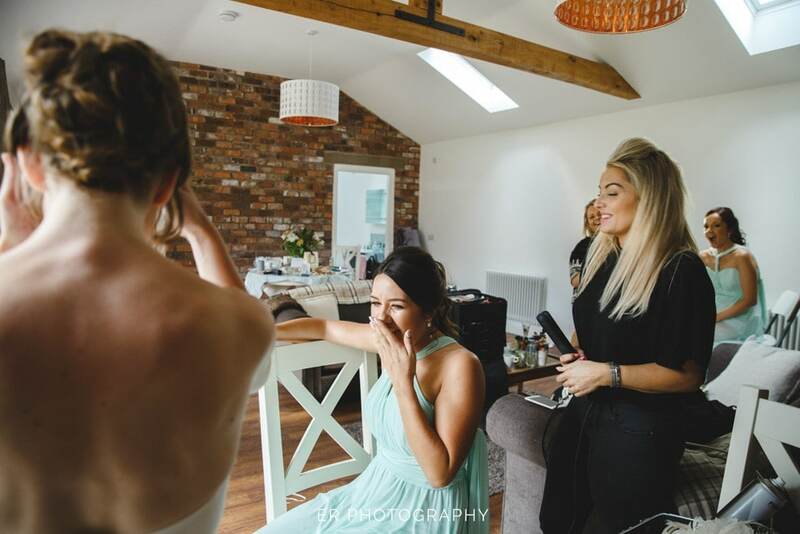 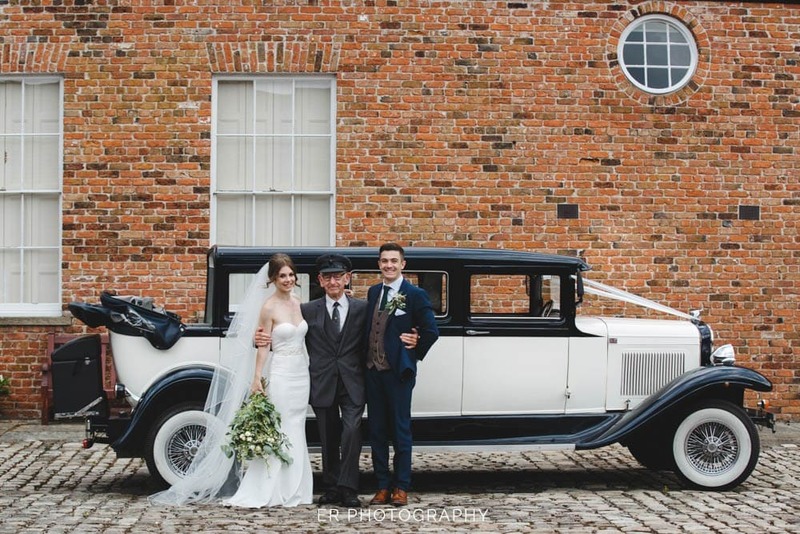 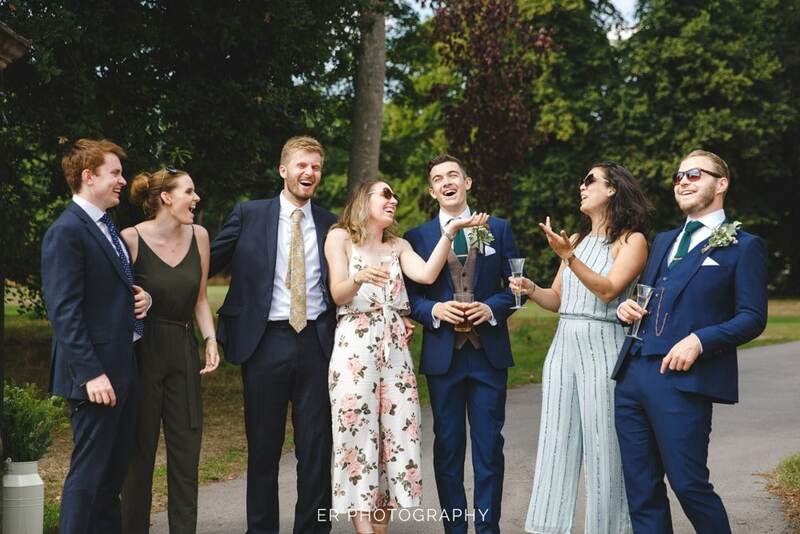 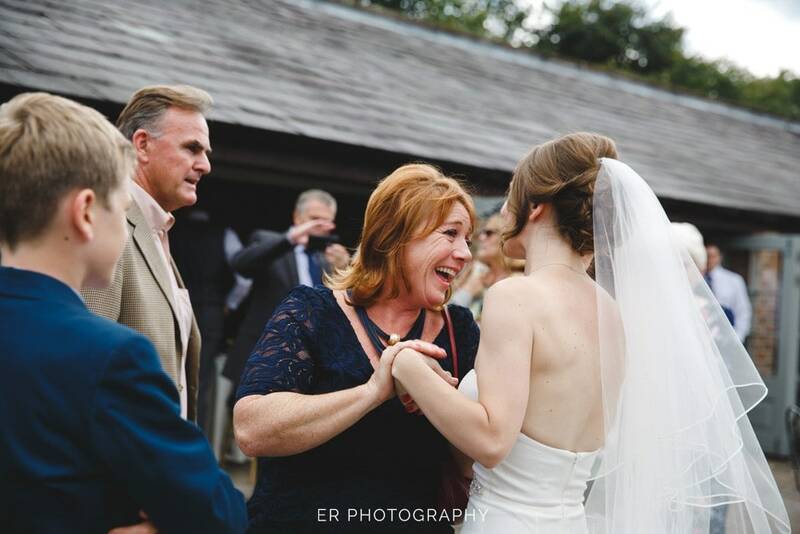 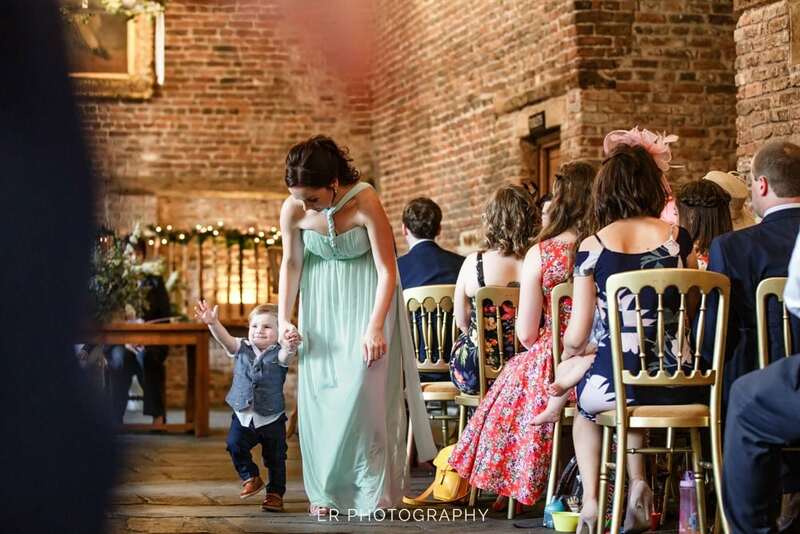 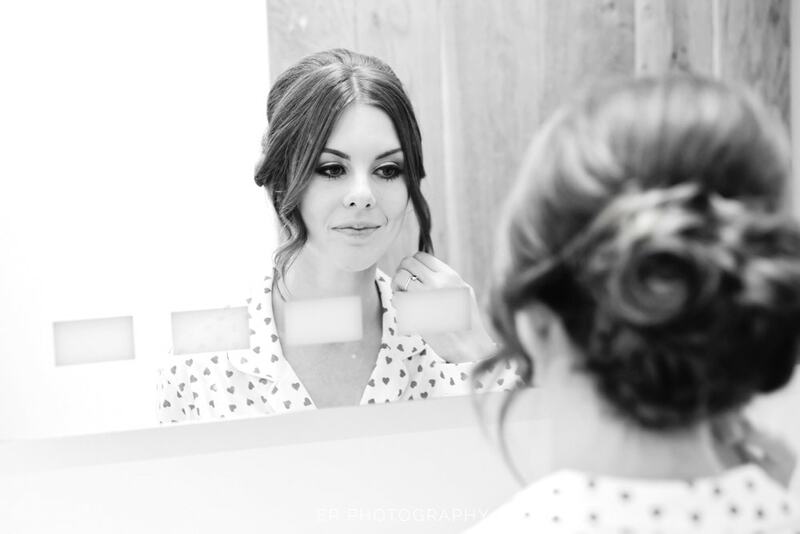 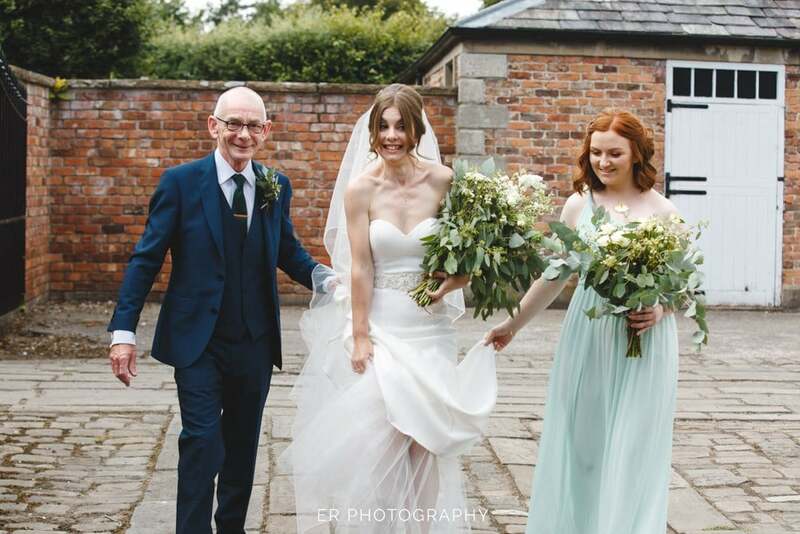 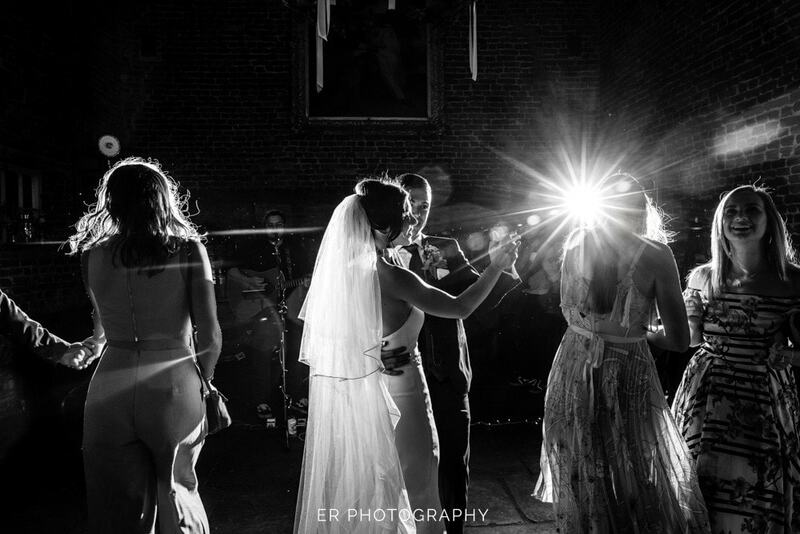 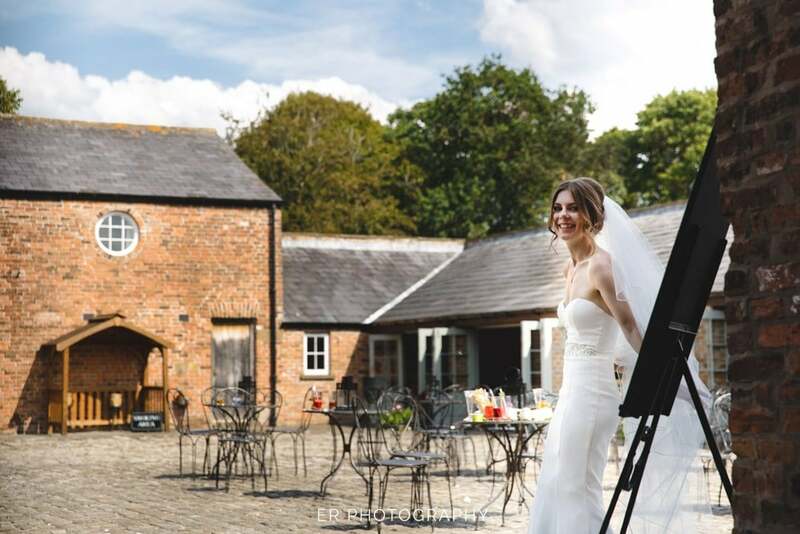 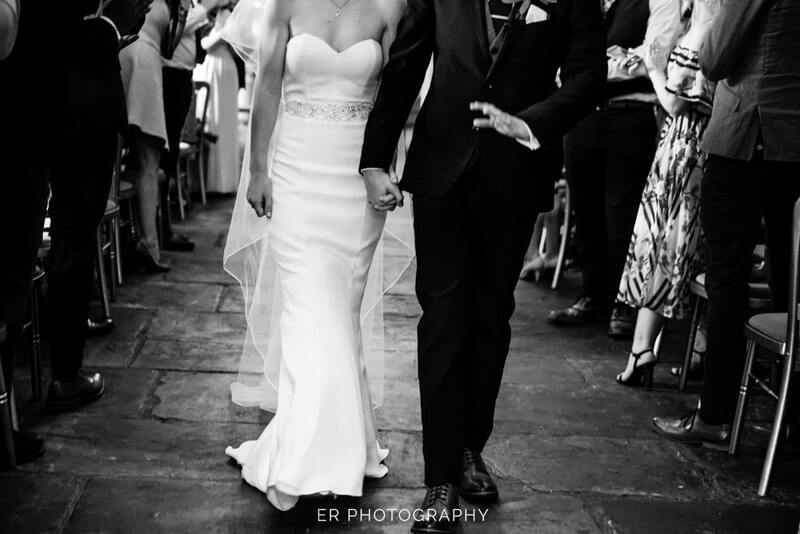 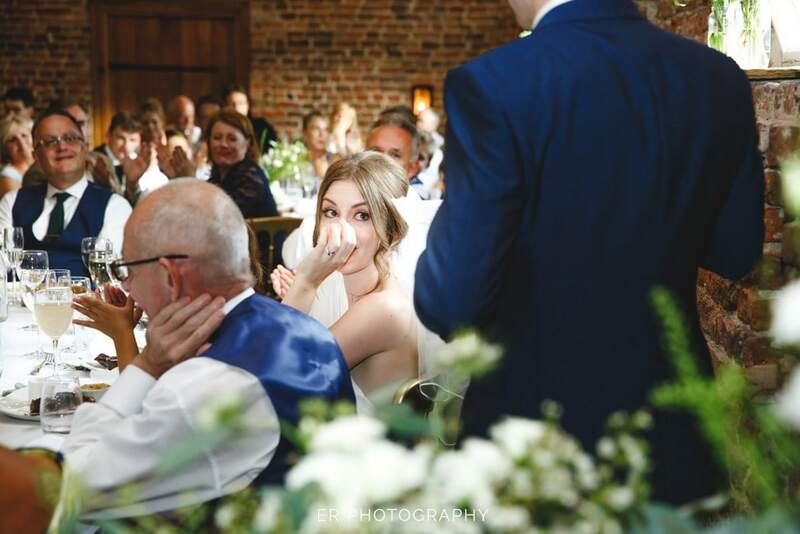 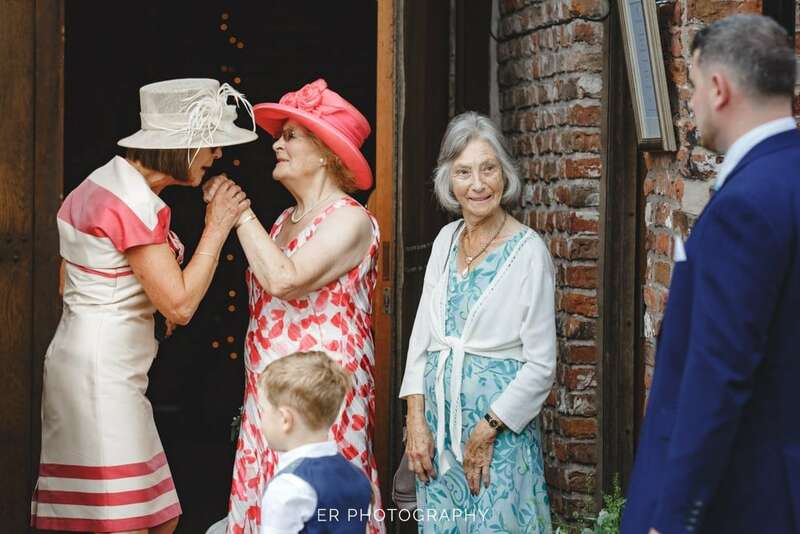 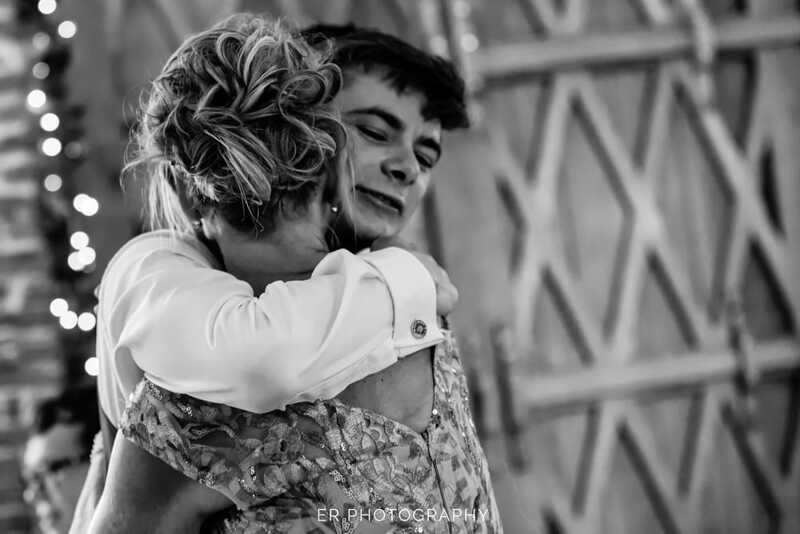 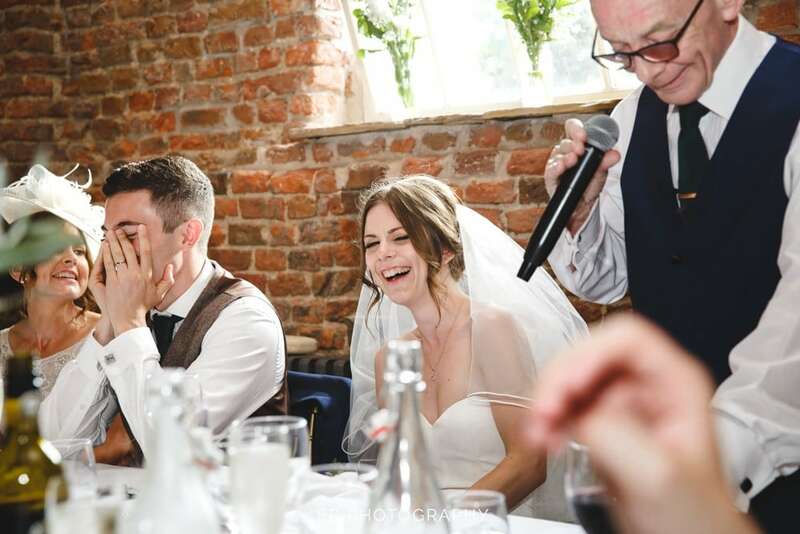 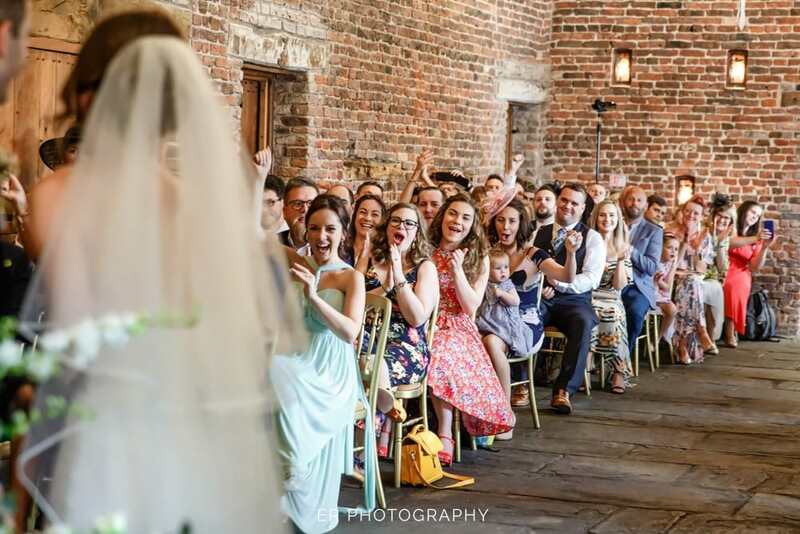 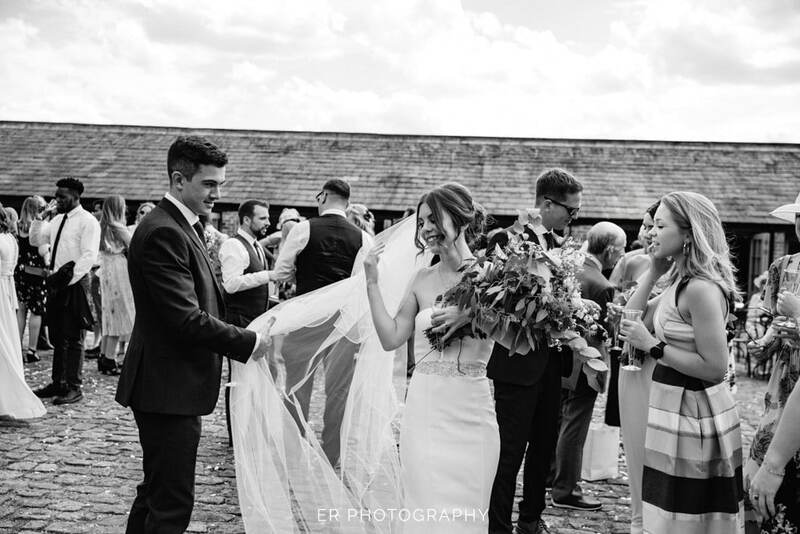 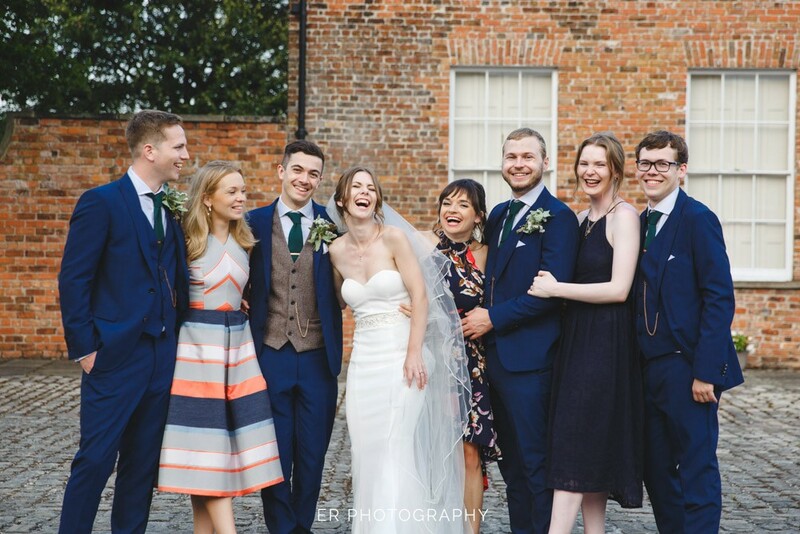 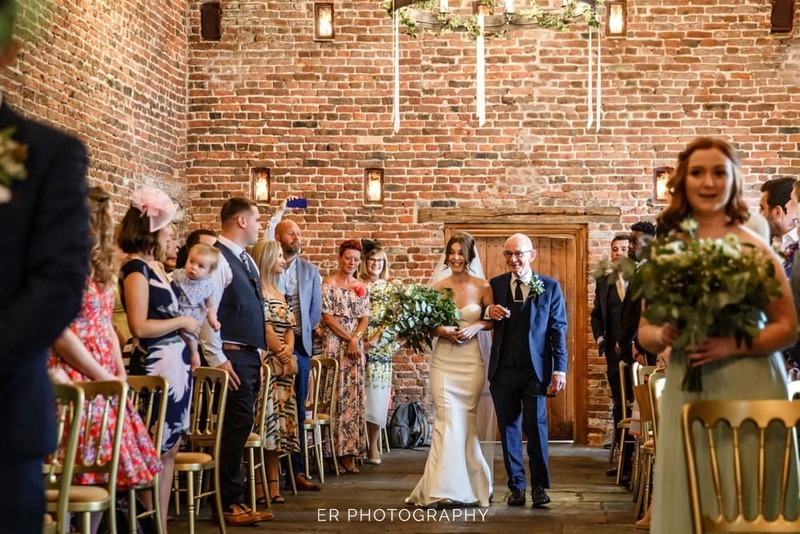 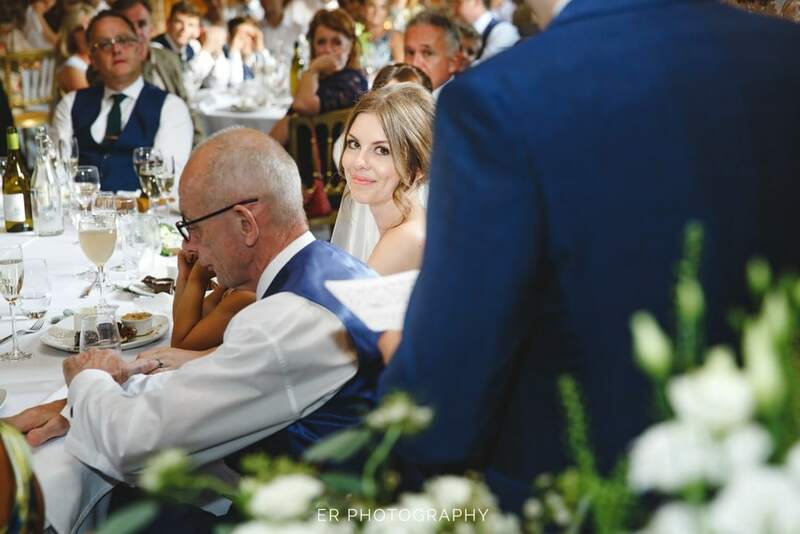 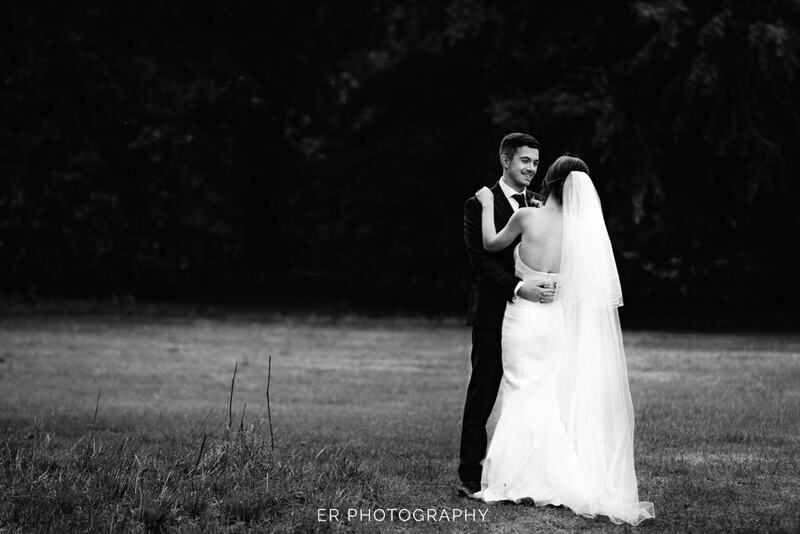 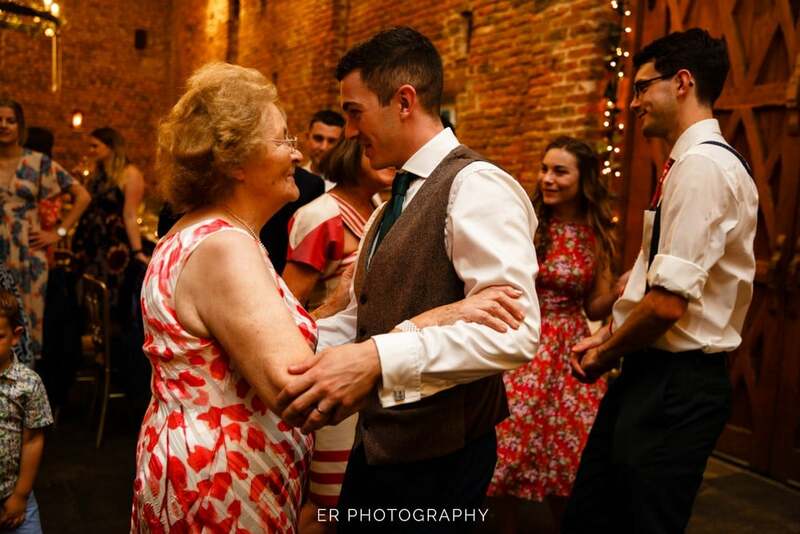 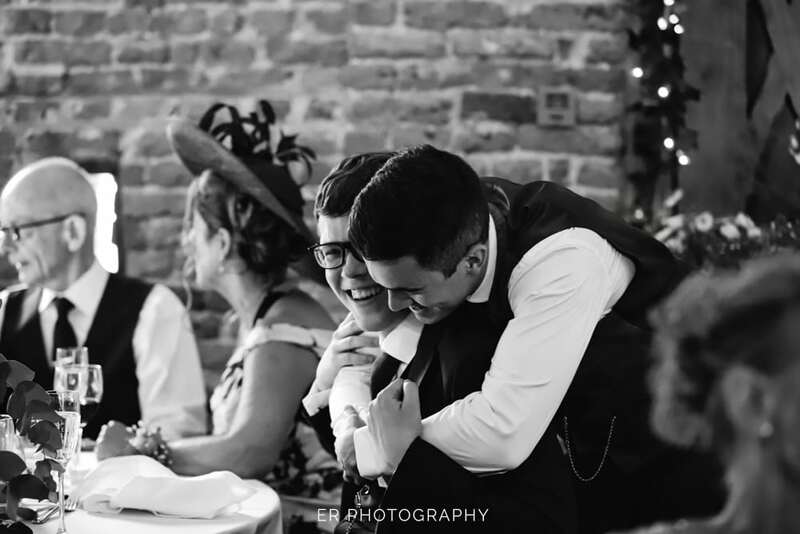 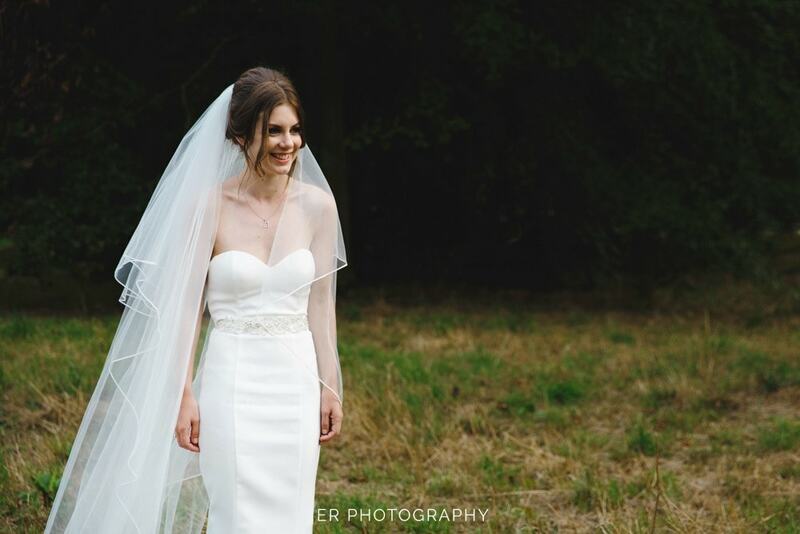 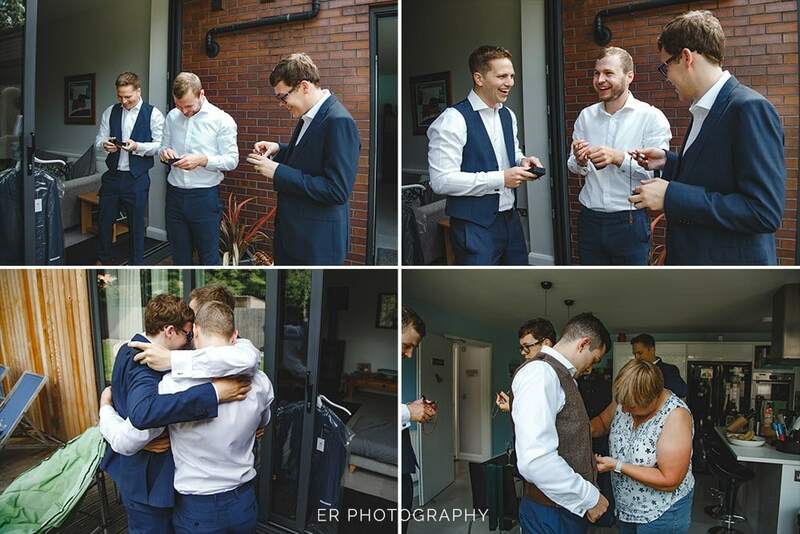 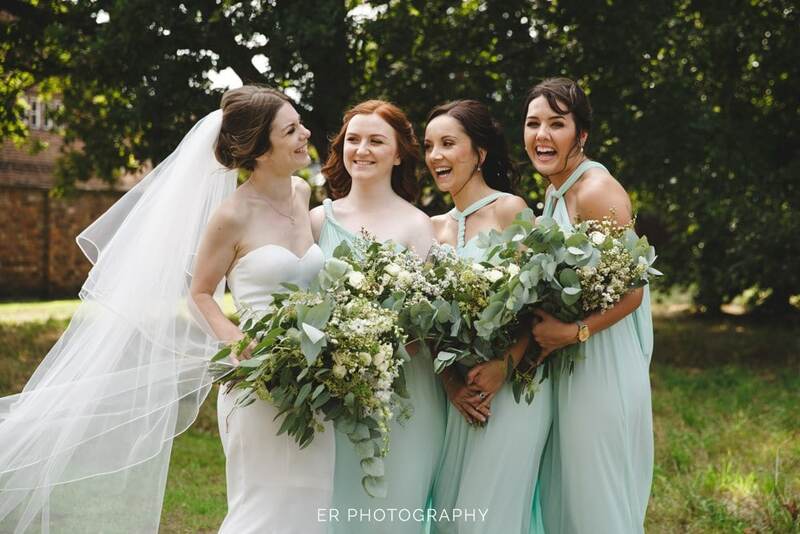 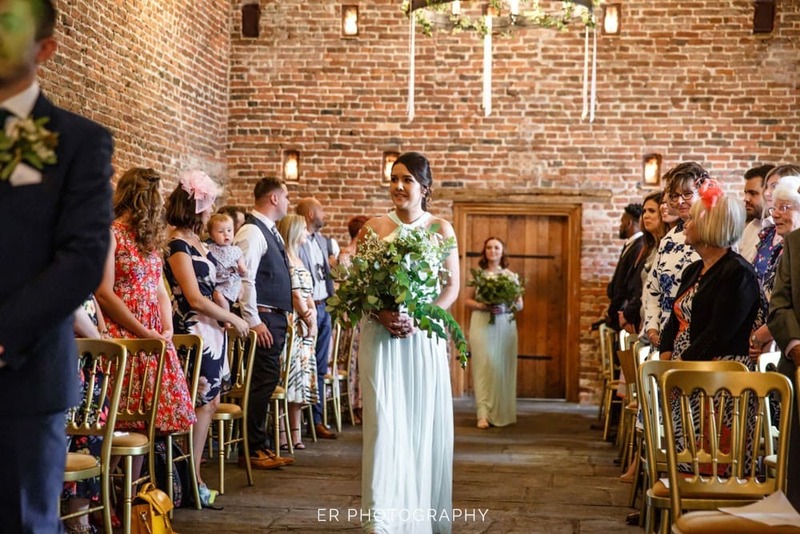 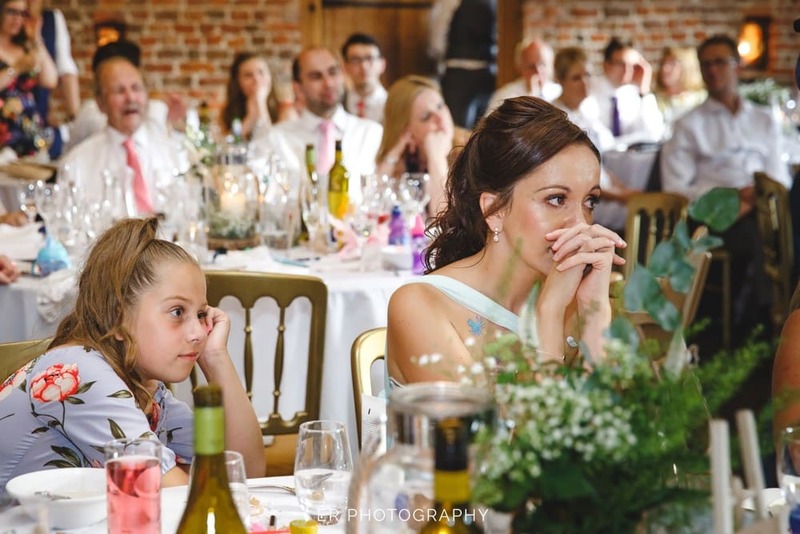 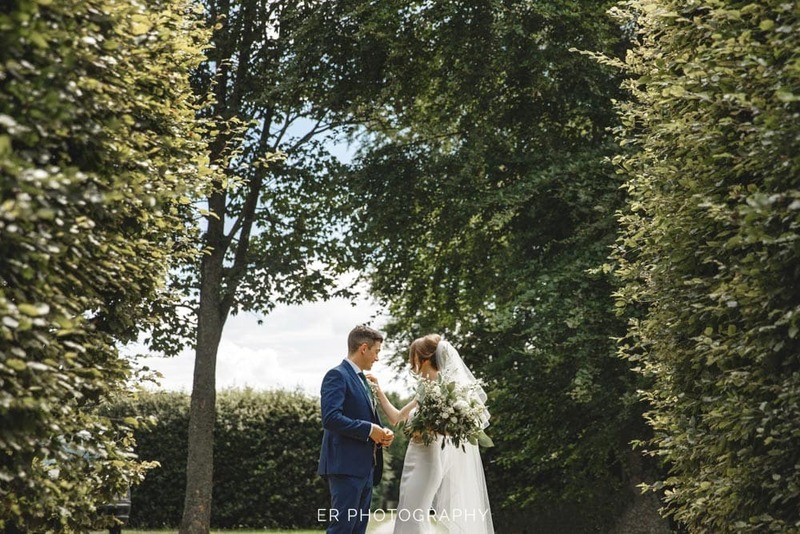 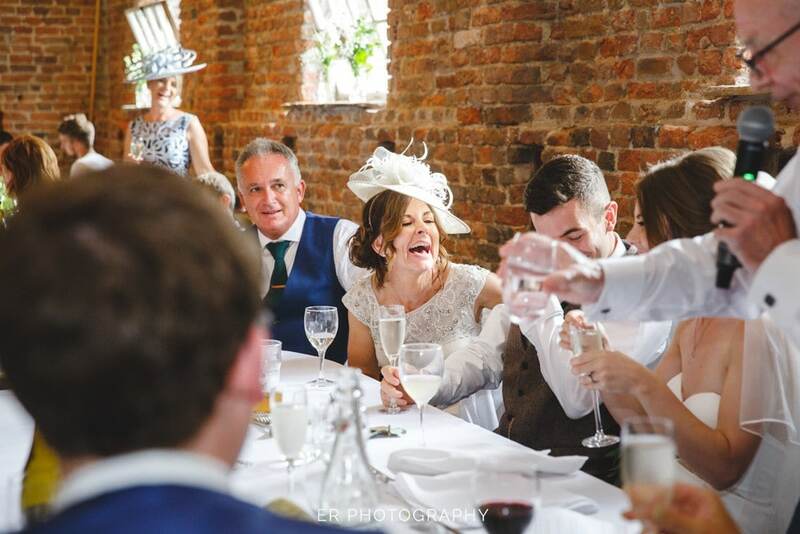 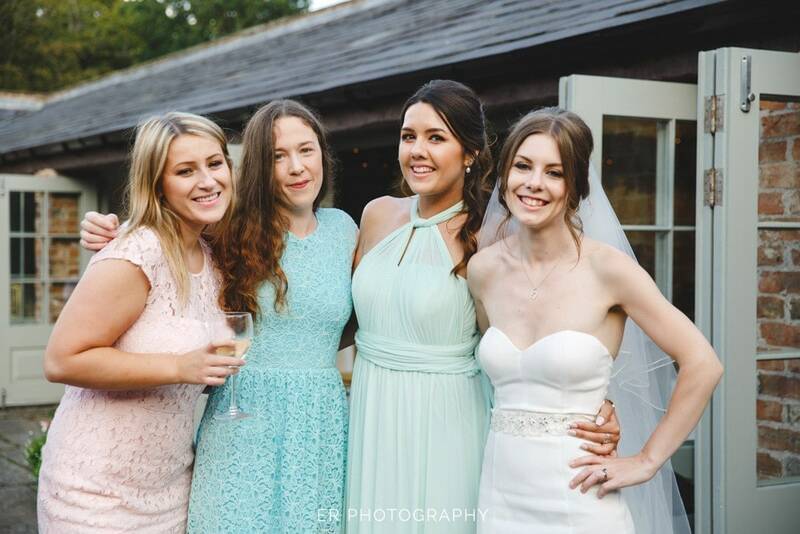 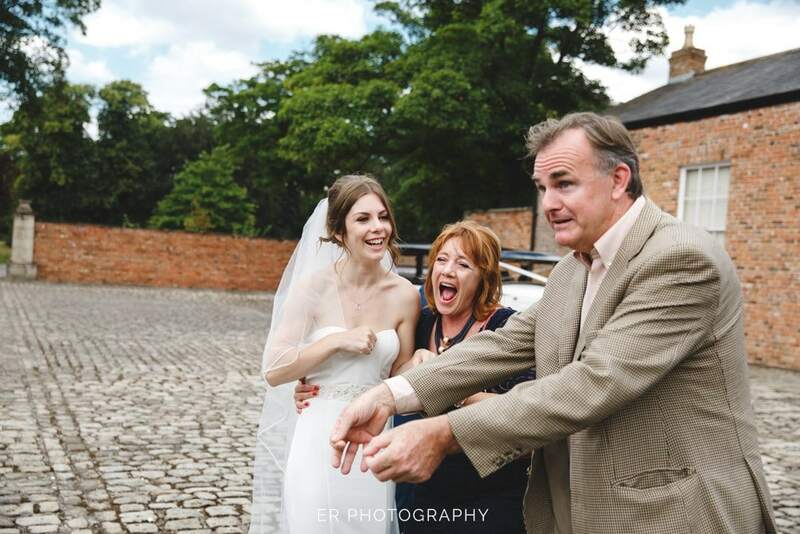 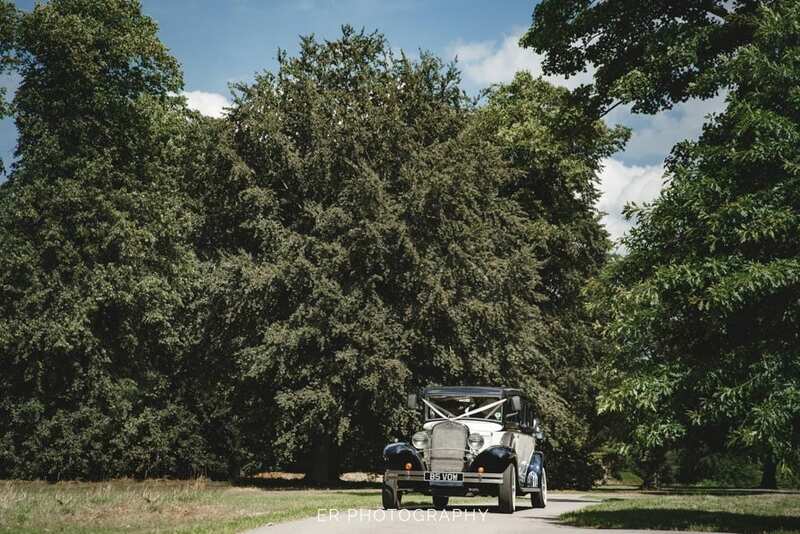 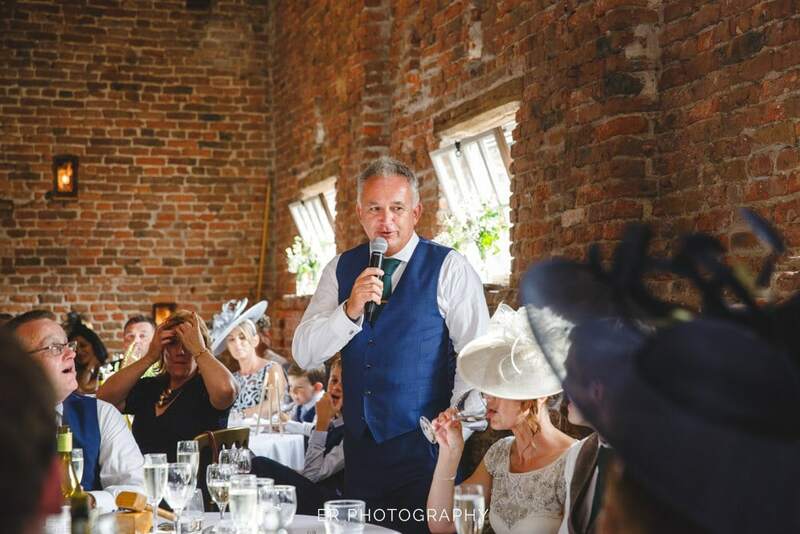 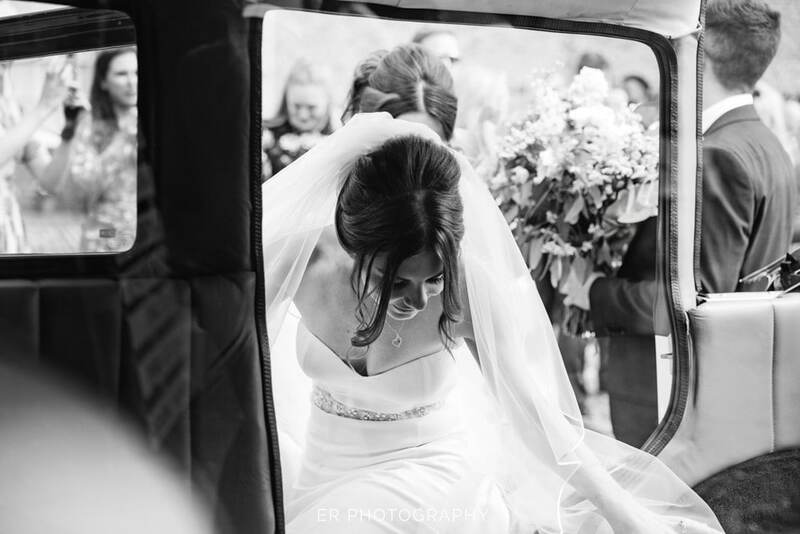 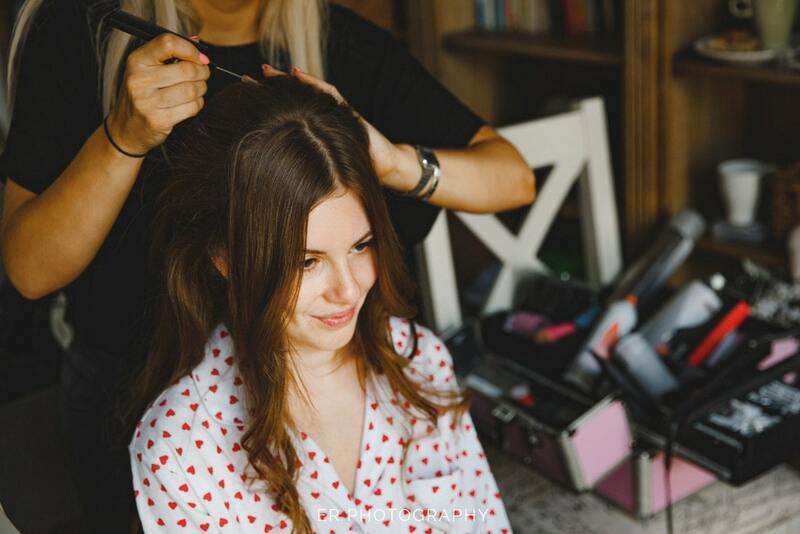 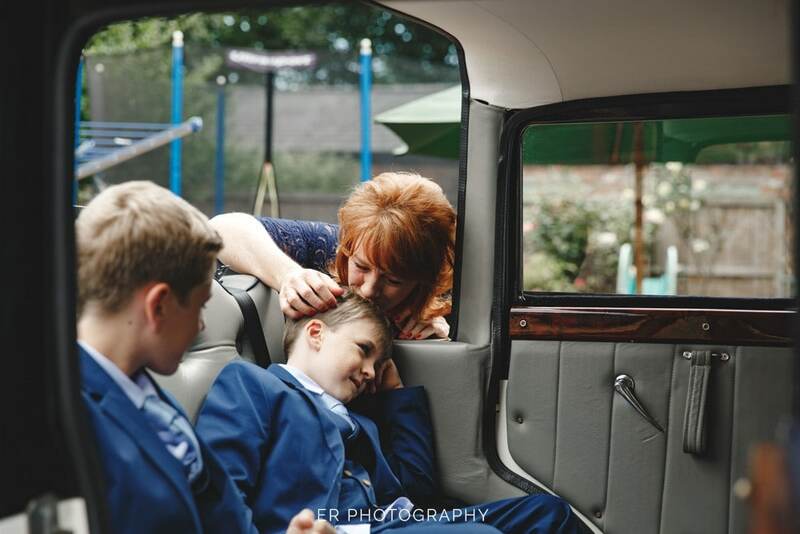 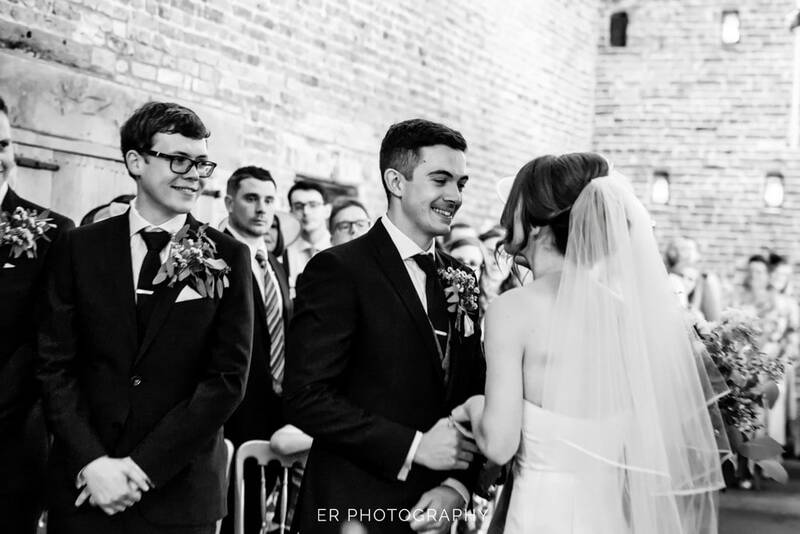 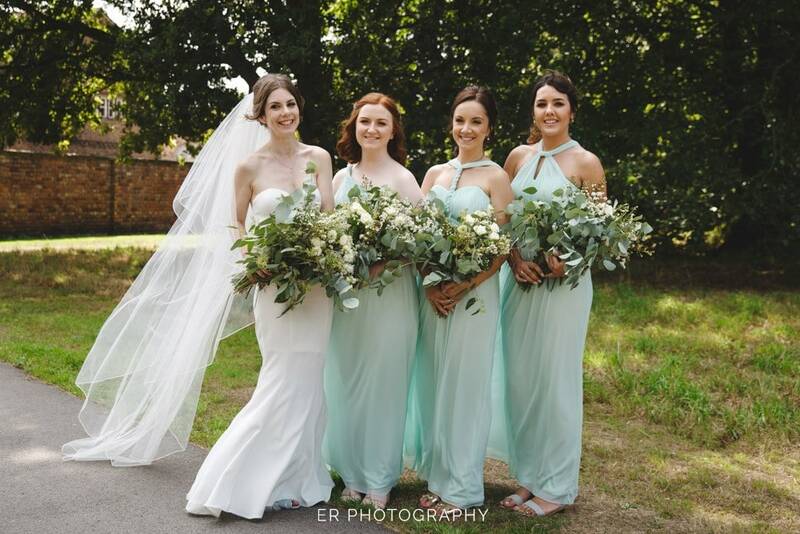 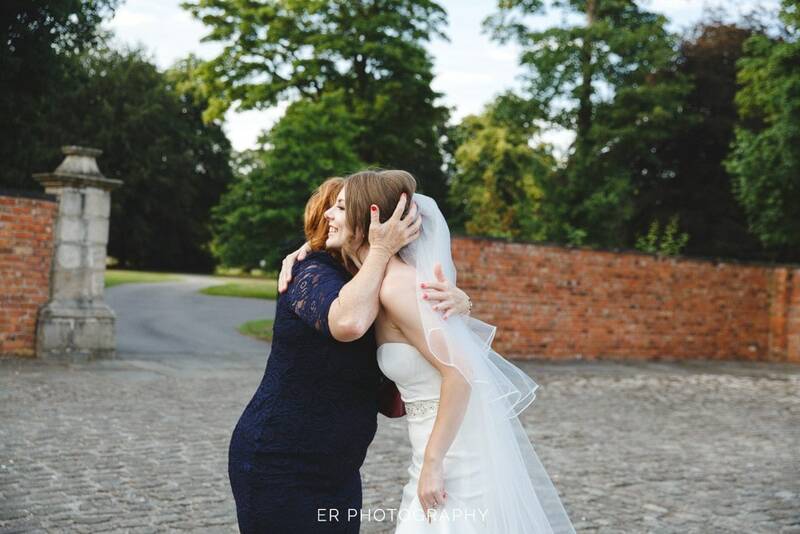 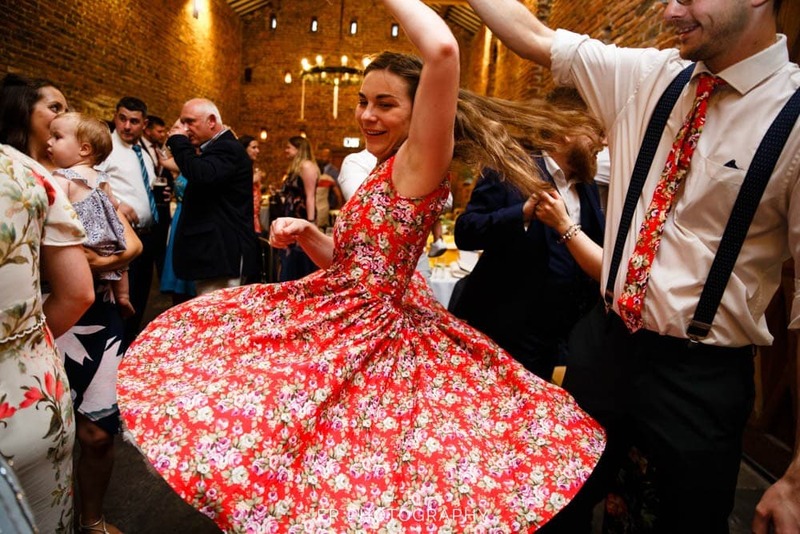 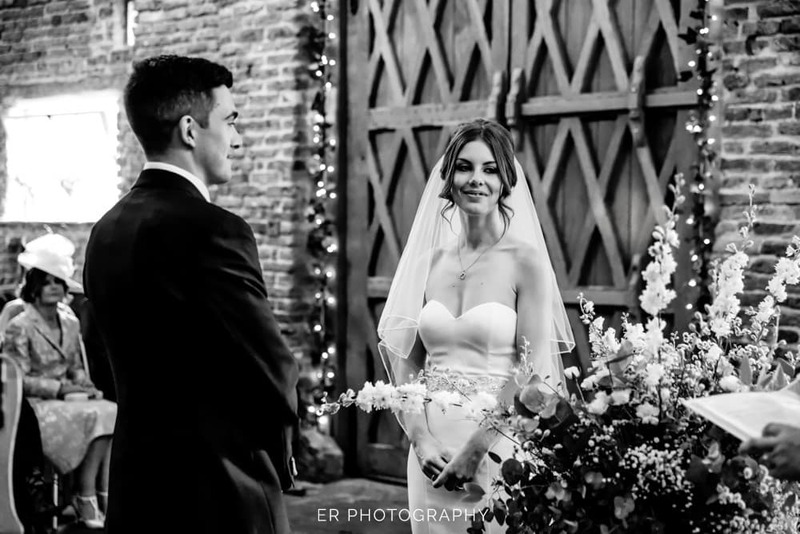 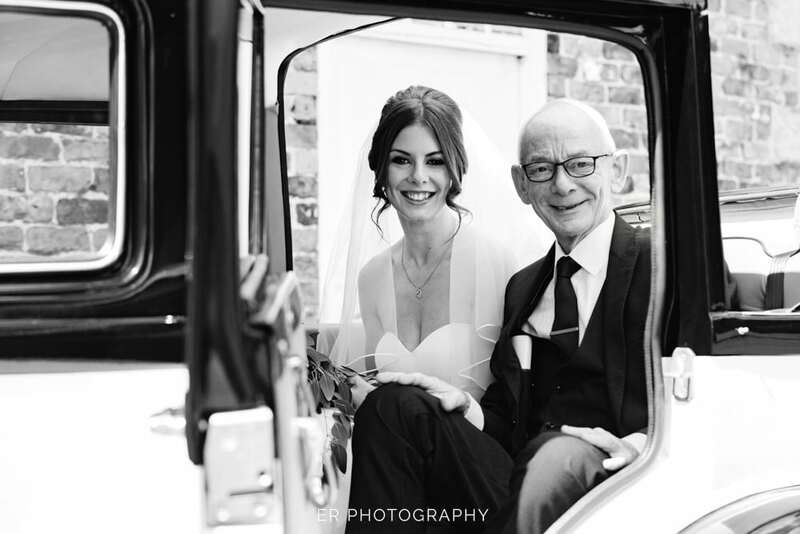 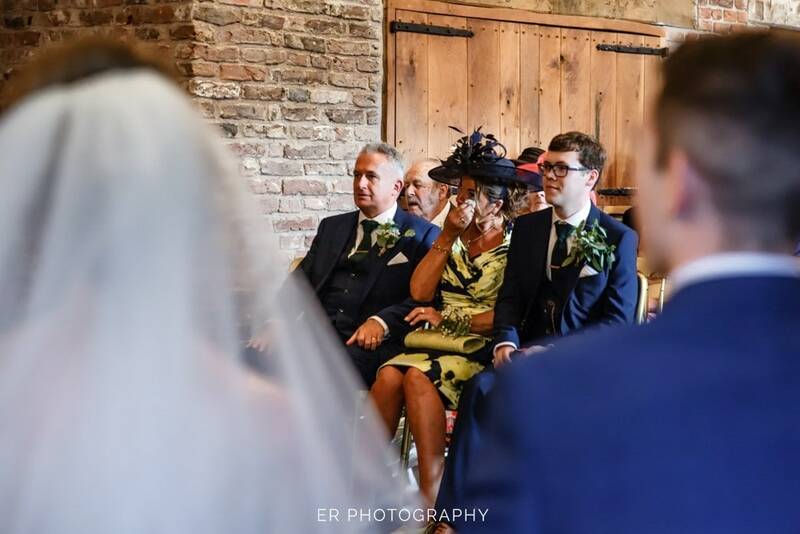 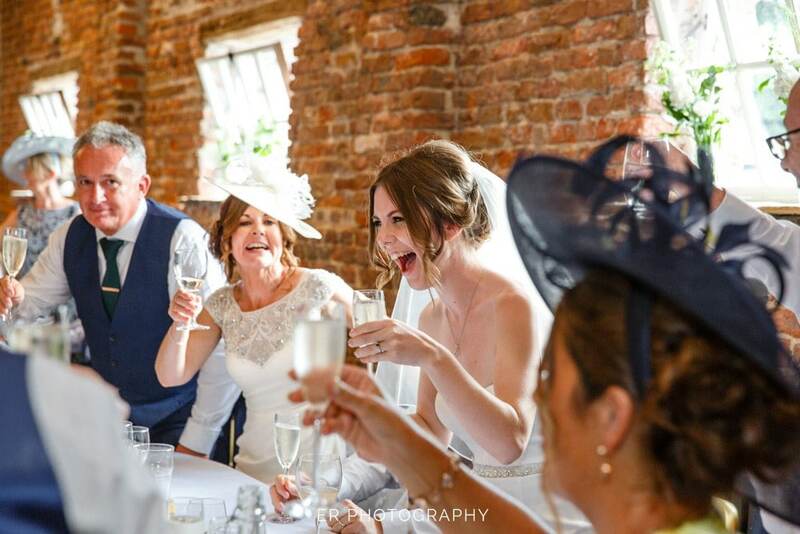 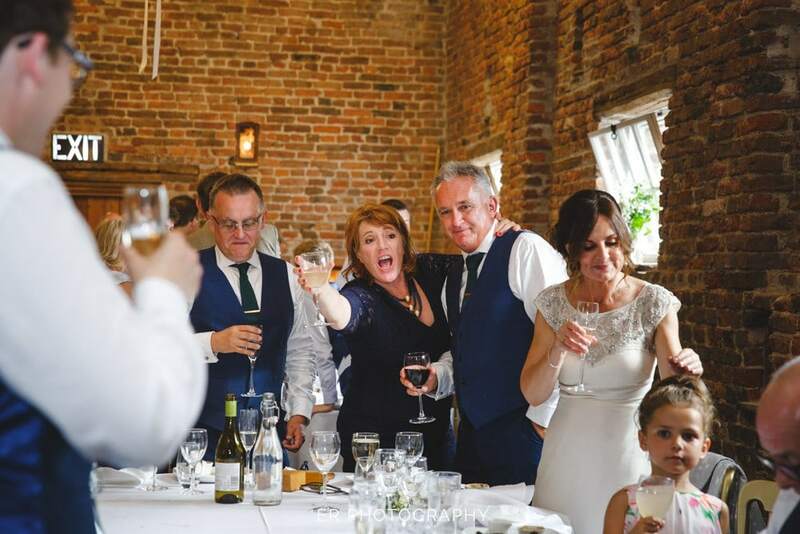 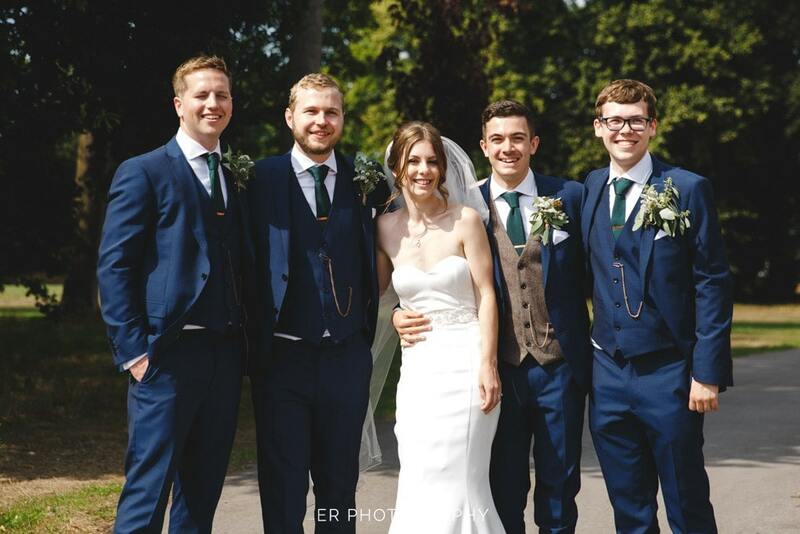 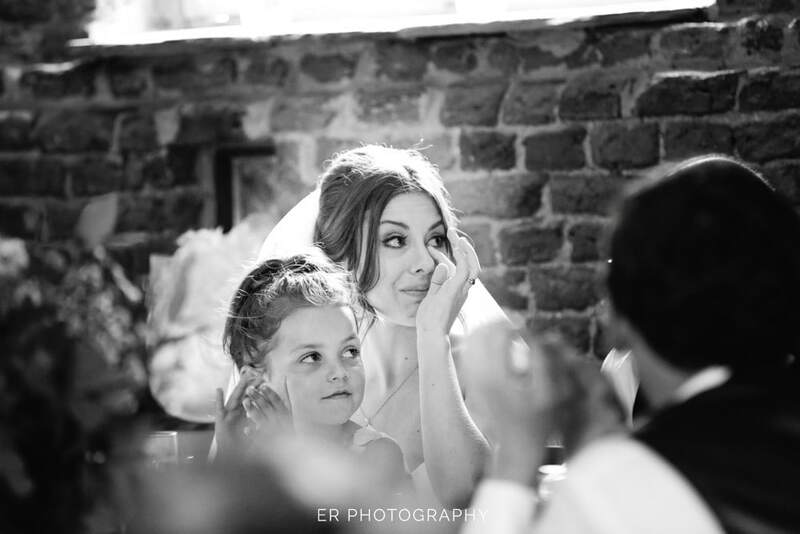 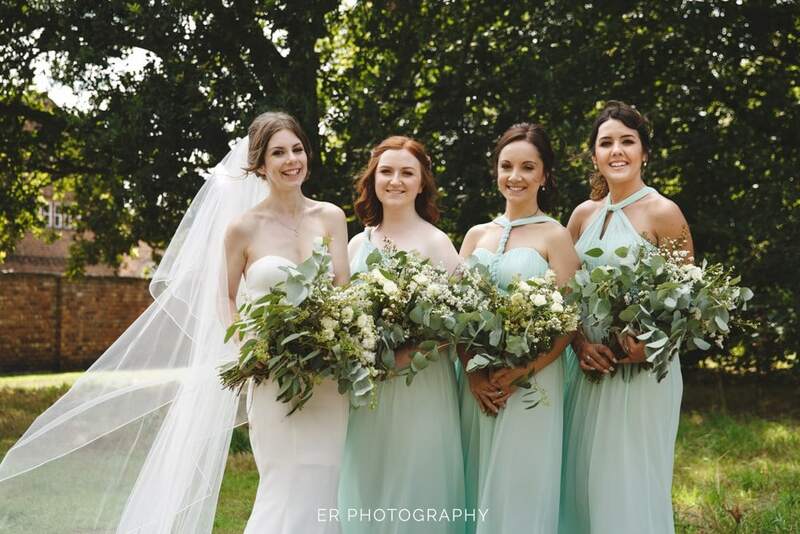 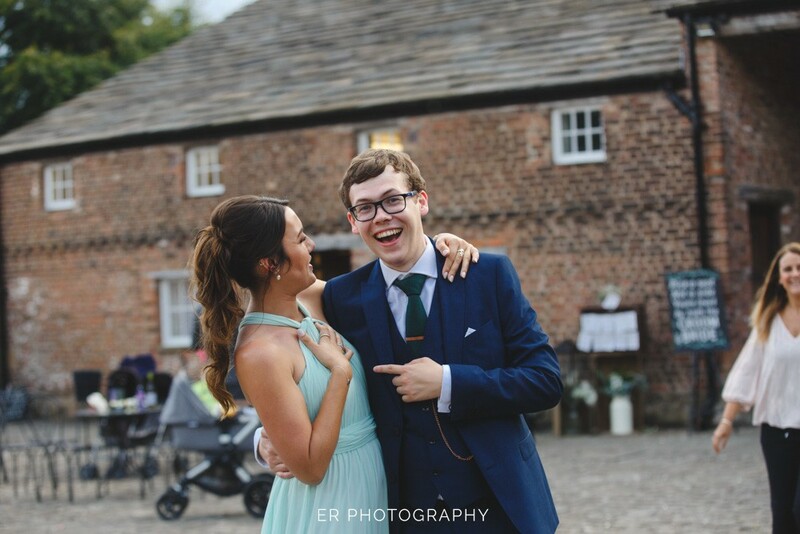 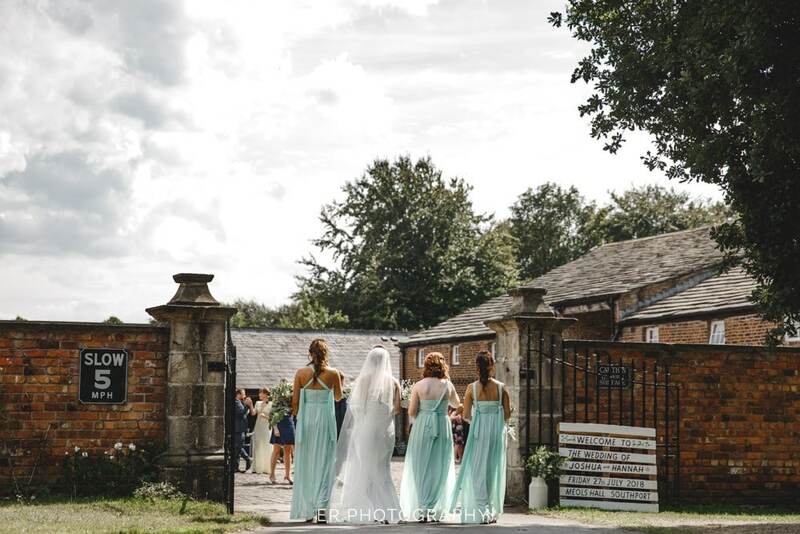 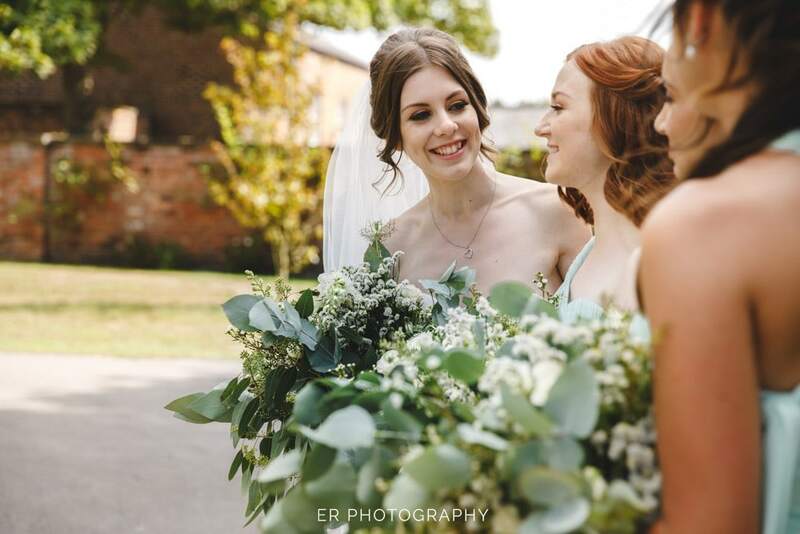 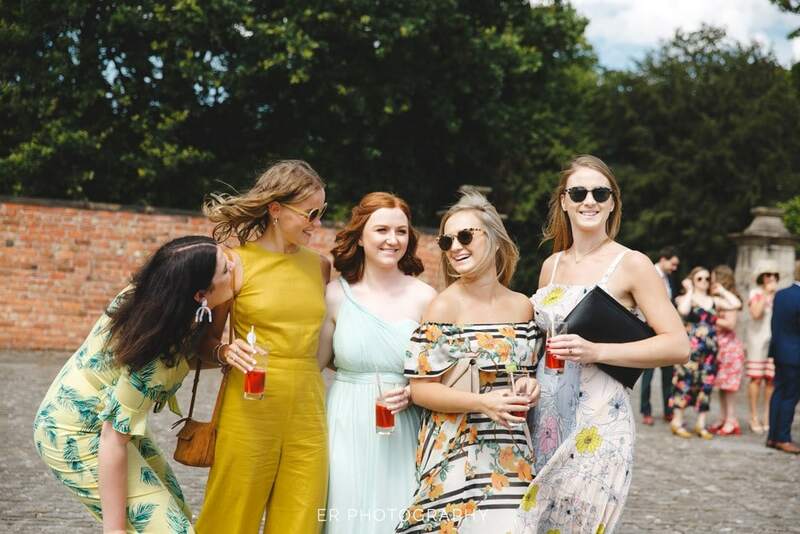 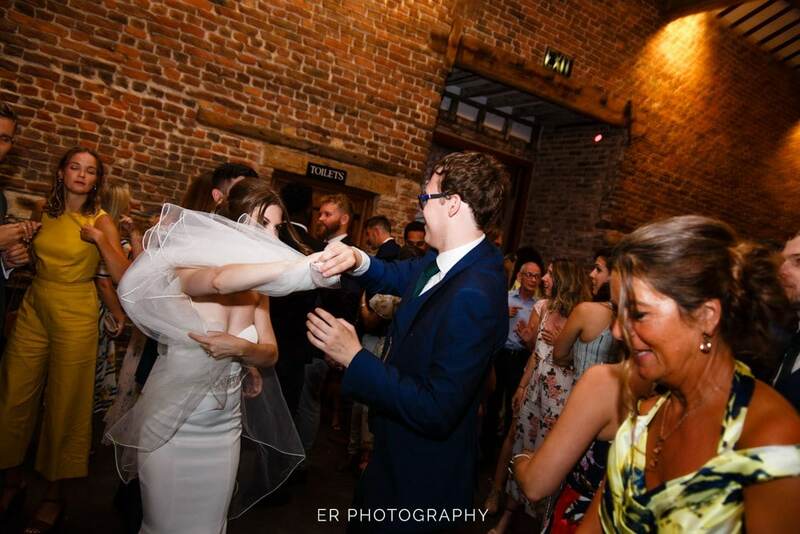 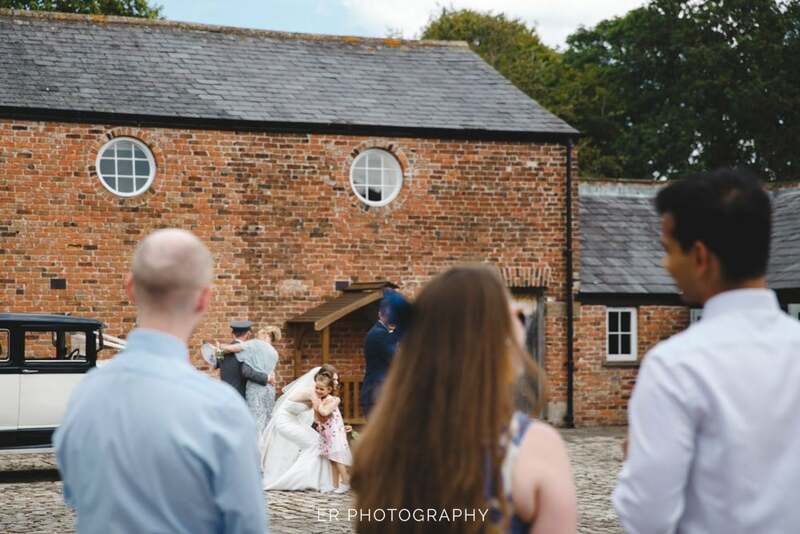 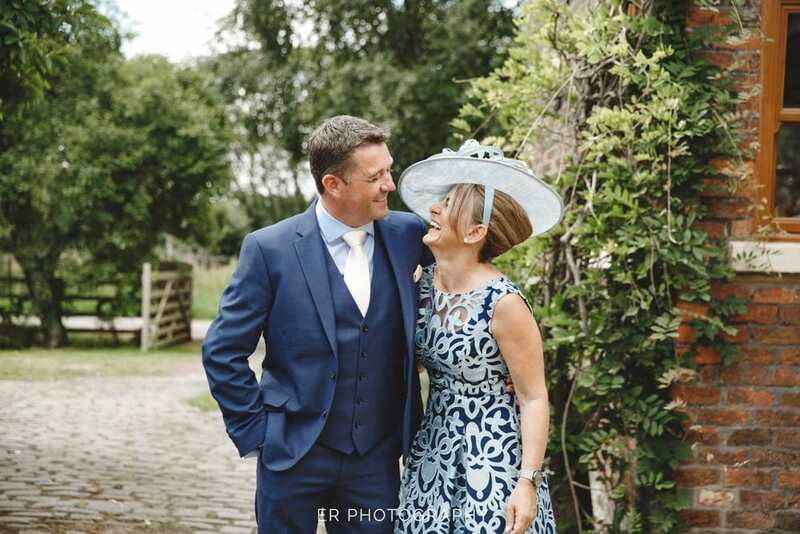 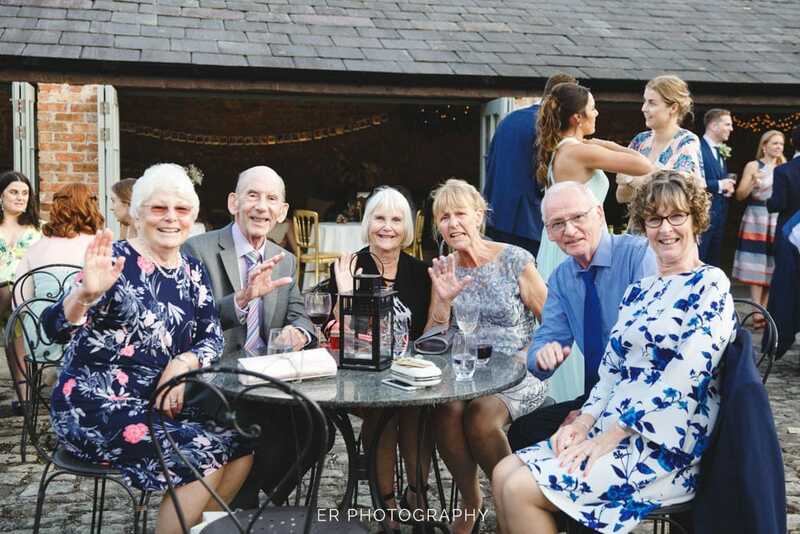 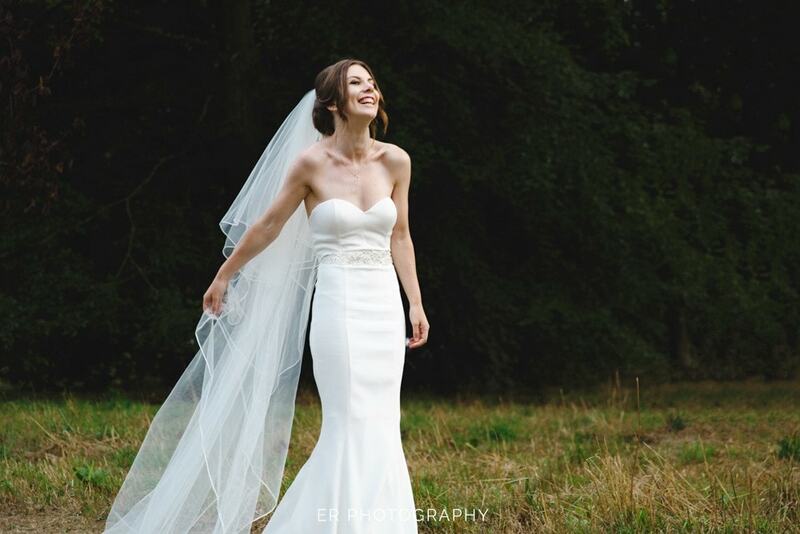 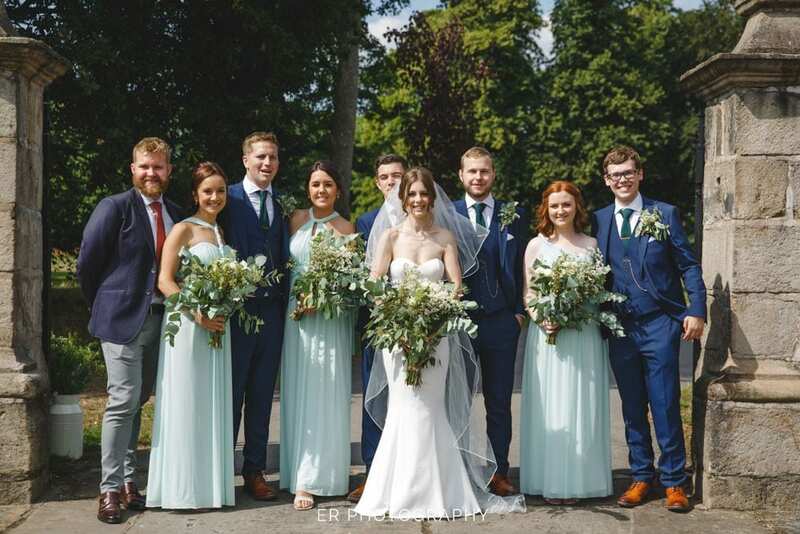 Hannah arrived with her dad into the courtyard at the back of the barn, the wonderful staff at Meols Hall Tithe Barn greeted the bridal party and gave the go ahead for the ceremony to begin. 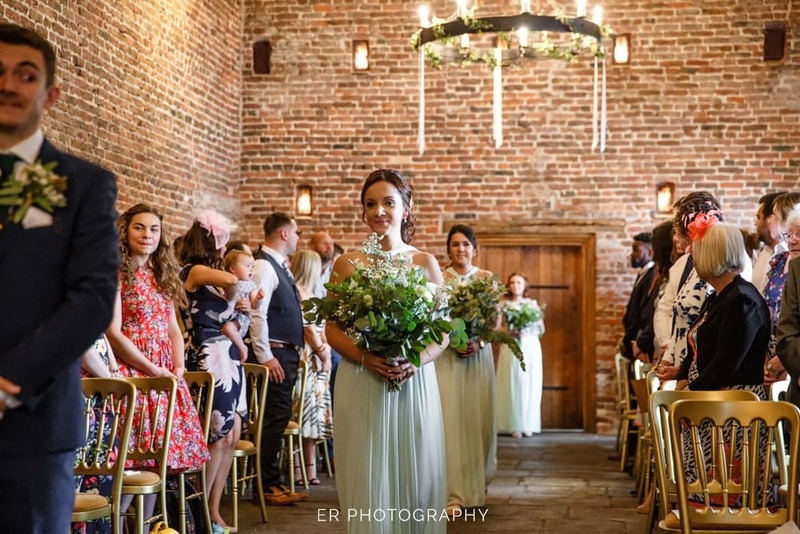 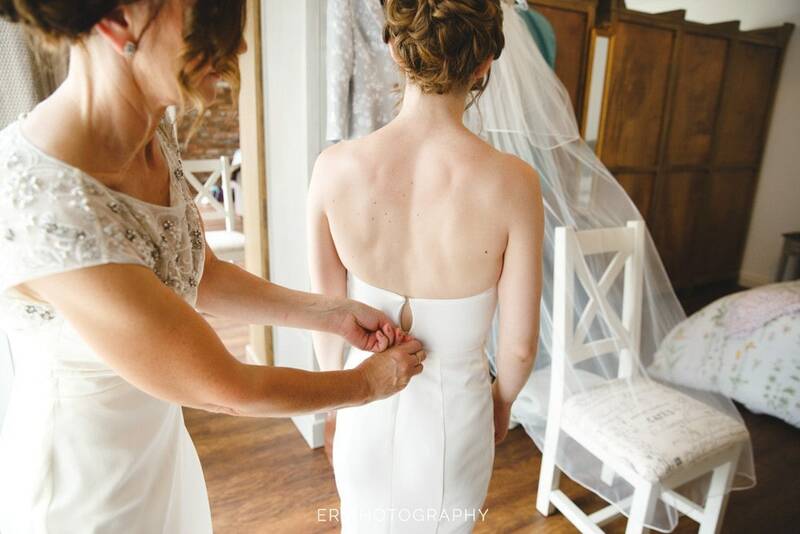 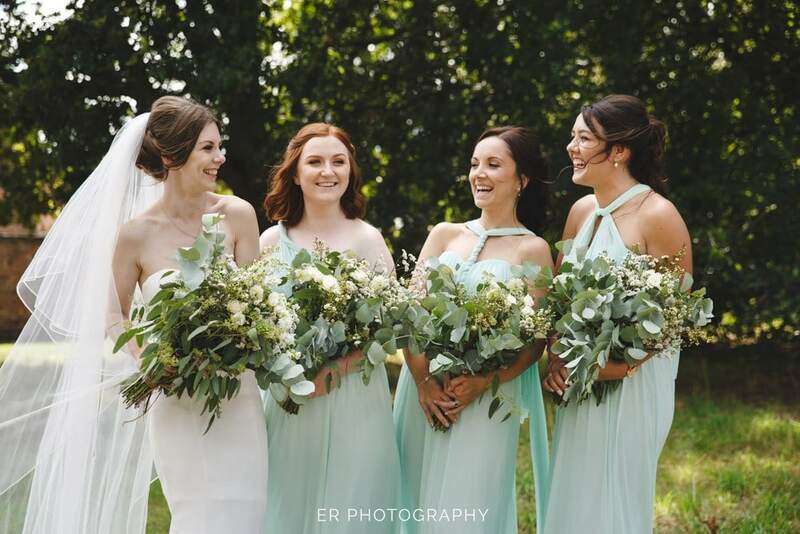 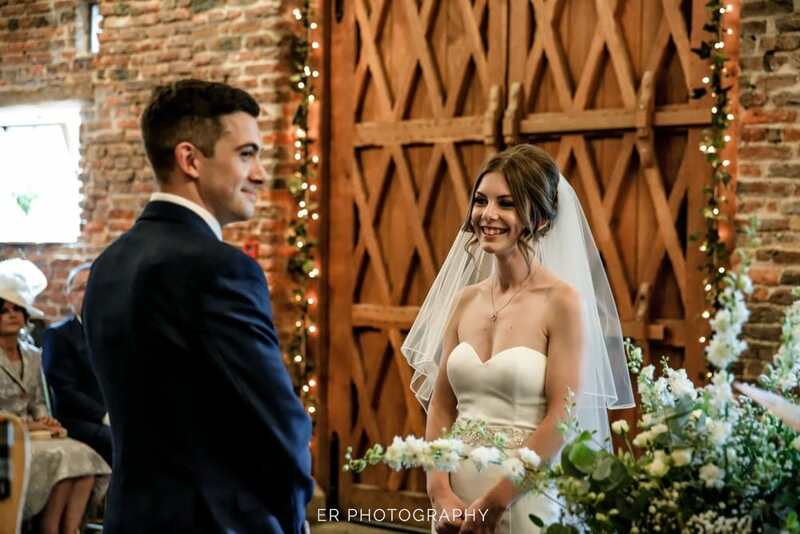 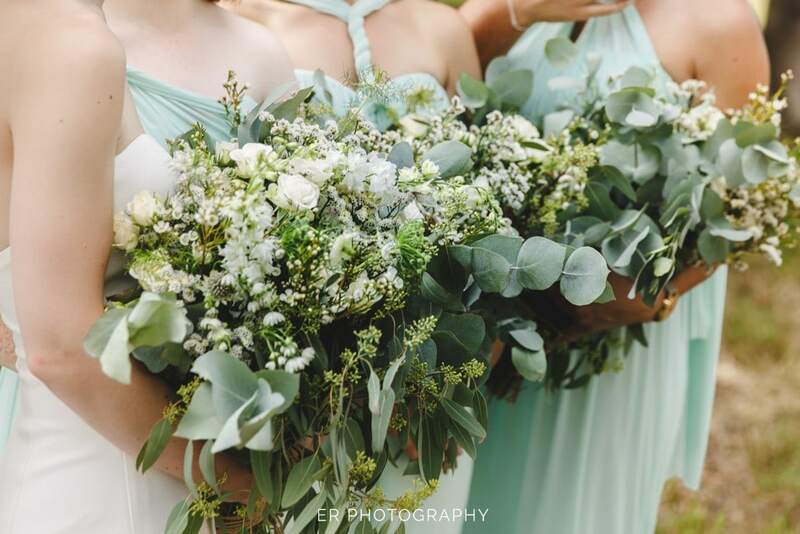 Once those barn doors open it’s all attention on the bridal party and Hannah looked a picture walking down the aisle in this romantic rustic barn venue. 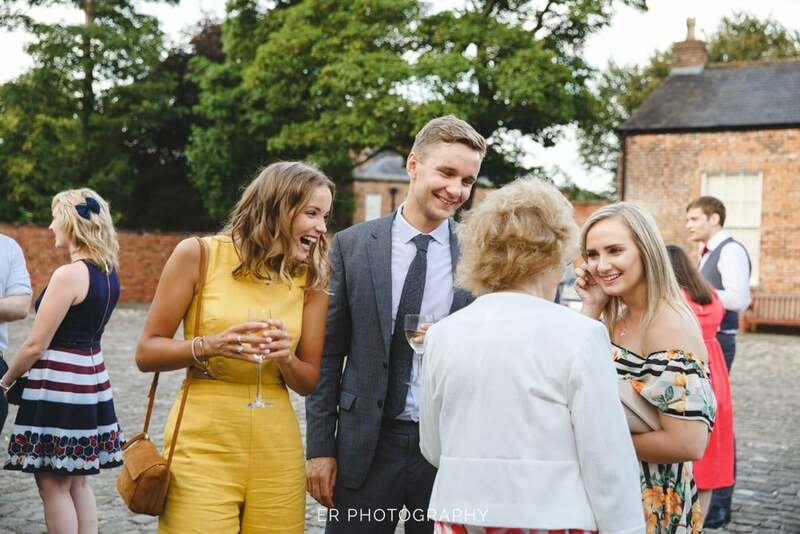 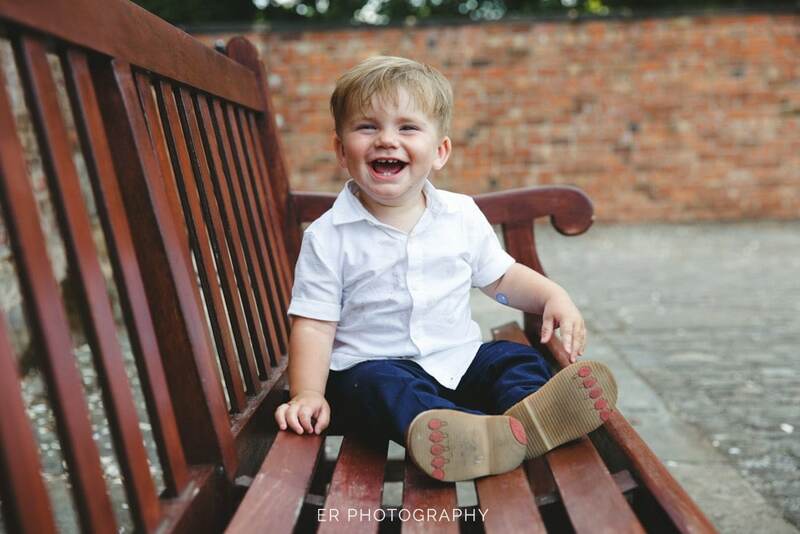 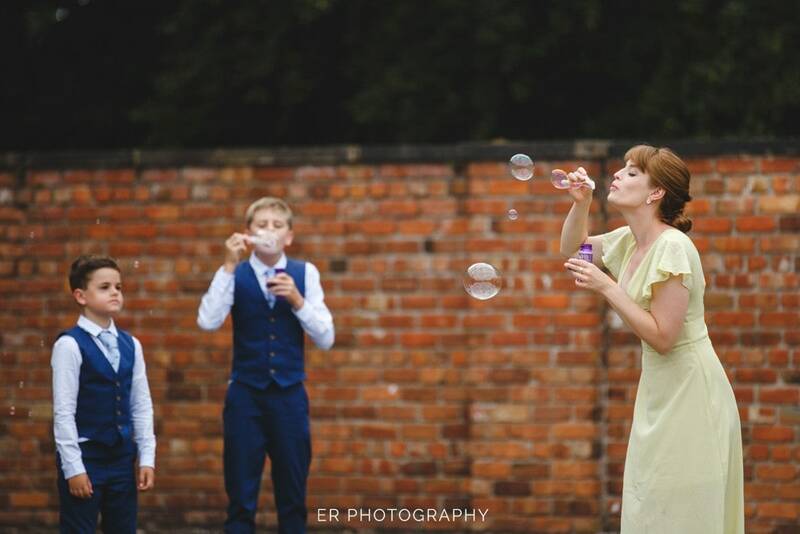 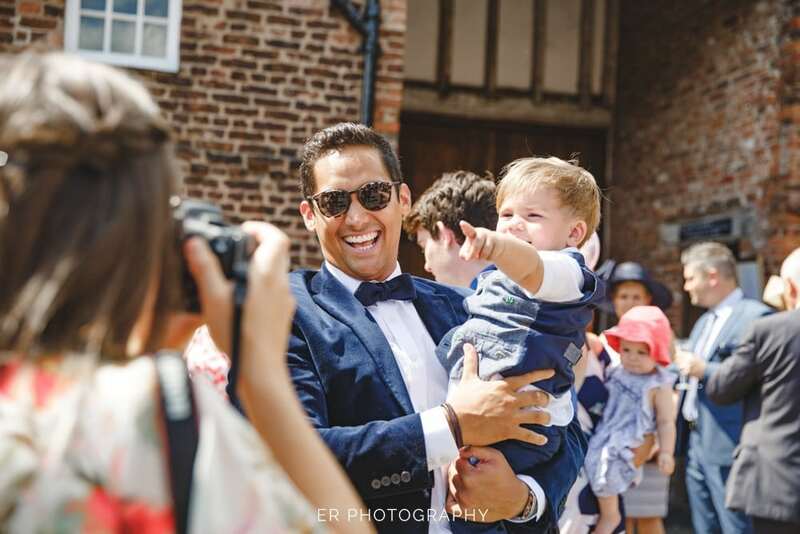 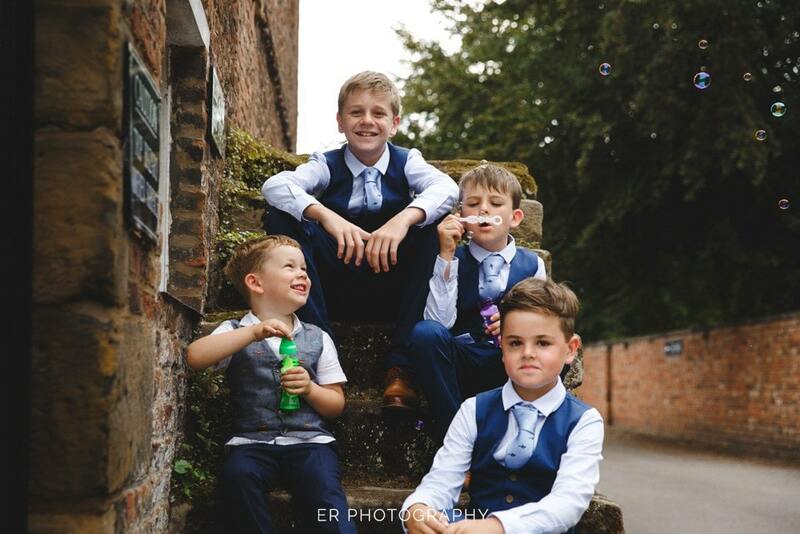 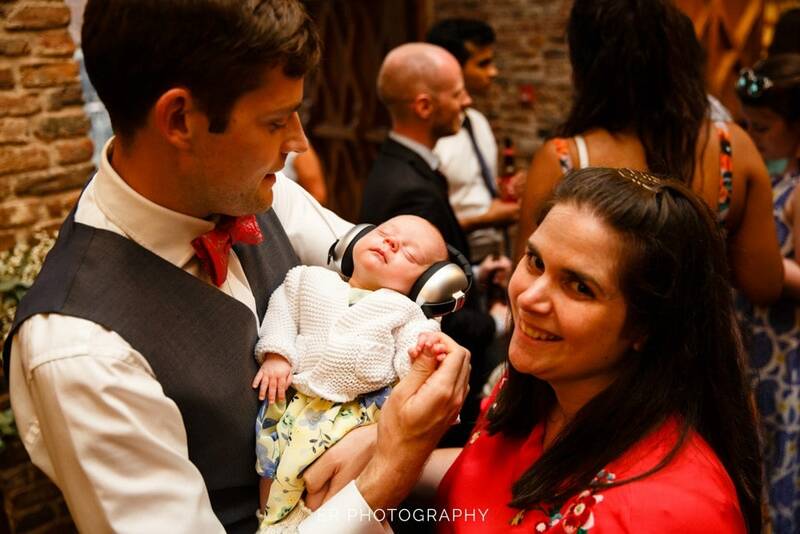 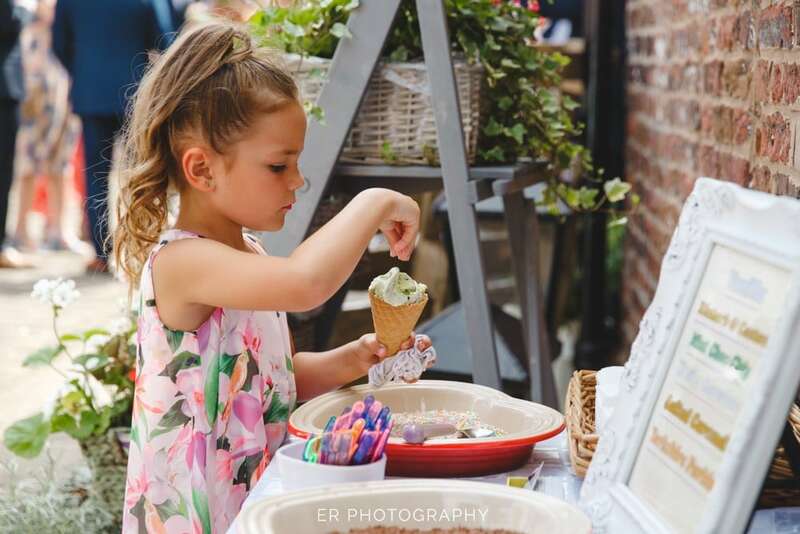 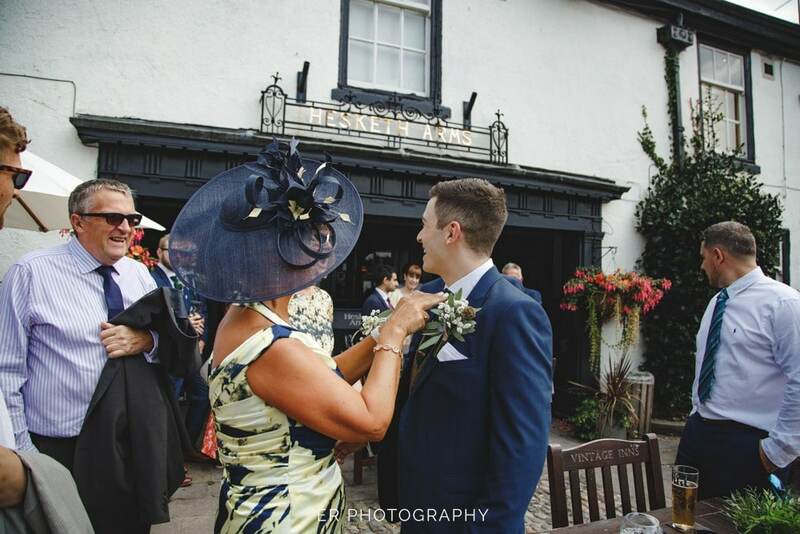 After the ceremony, it was out into the courtyard area at Meols Hall for the bubbles and ice cream reception. 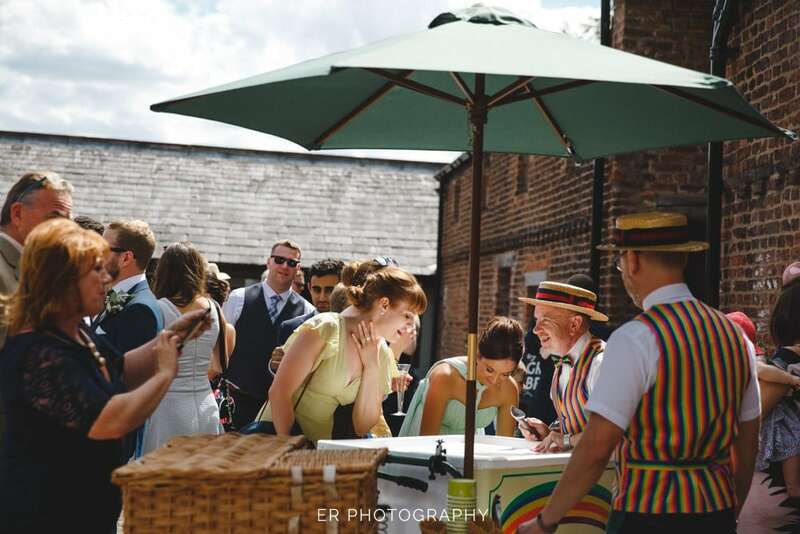 As it was a hot summers day everyone was keen to get their hands on an ice cream and glass of bubbly. 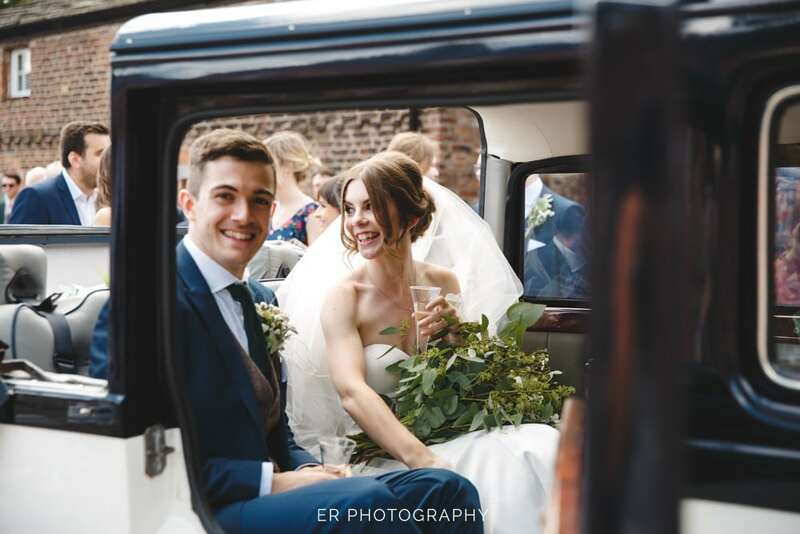 Hannah + Josh took the opportunity to spend some alone time together so after the confetti photos it was into their car for a short 15minute ride around the area to spend some alone time. 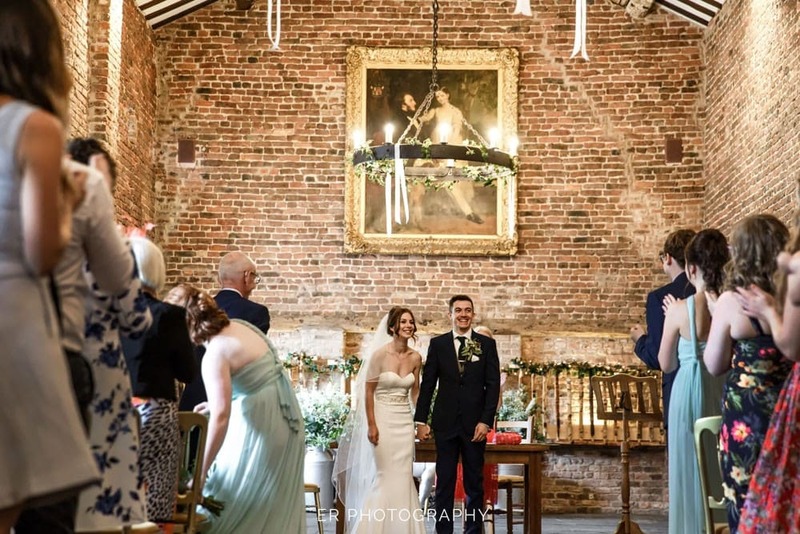 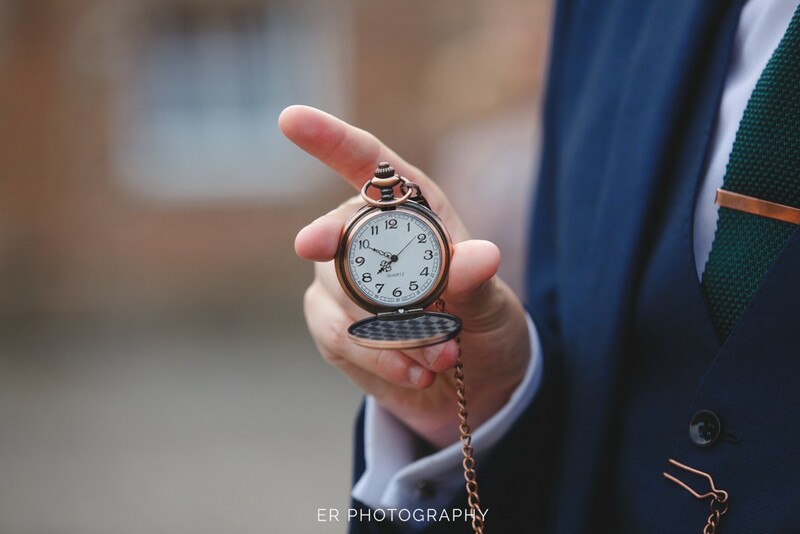 The old hall at Meols Hall in Southport was in the scene of the hit TV series Peaky Blinders so Josh couldn’t resist this photo being on his must have shot list of the day. 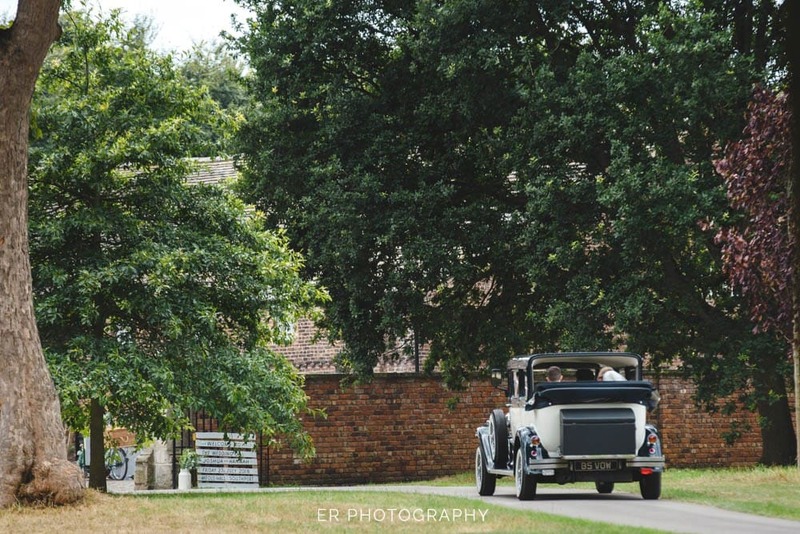 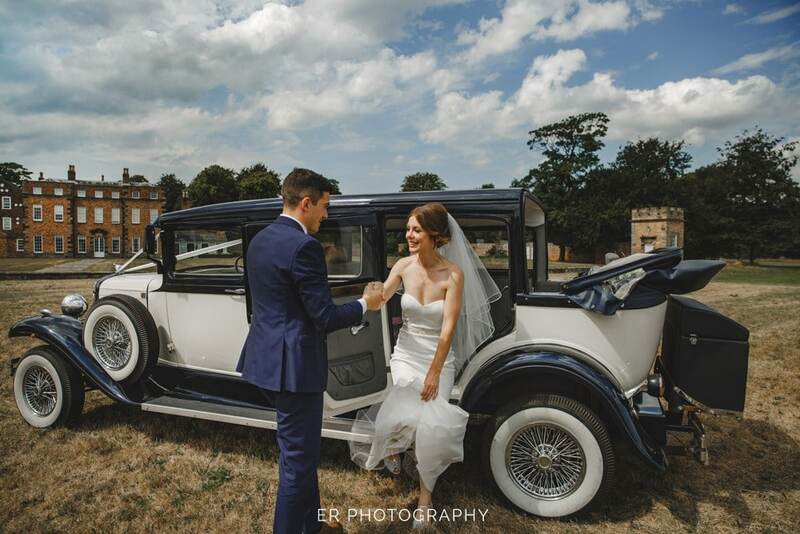 After their short ride in their wedding car the driver took them across the field to the back of the hall so we could stage a photo with the great hall in the background. 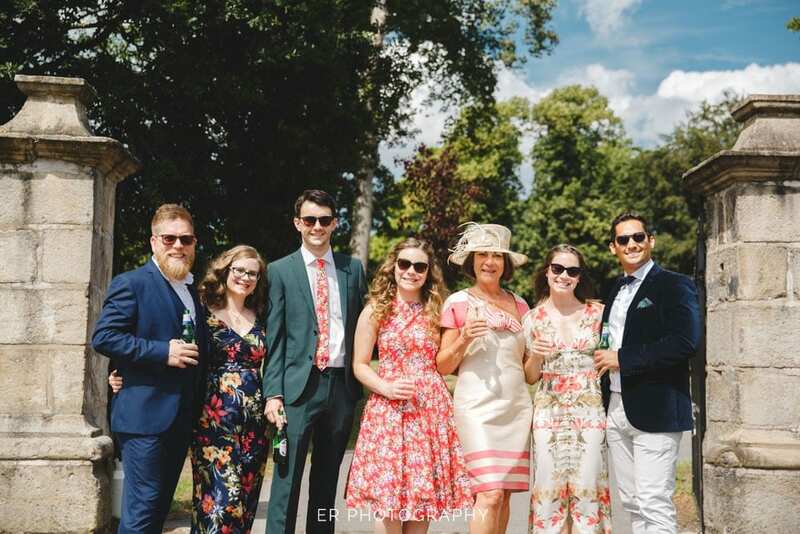 The wonderful blue sky helped make this photo one to treasure, i’m sure this is one of those photos for the living room wall. 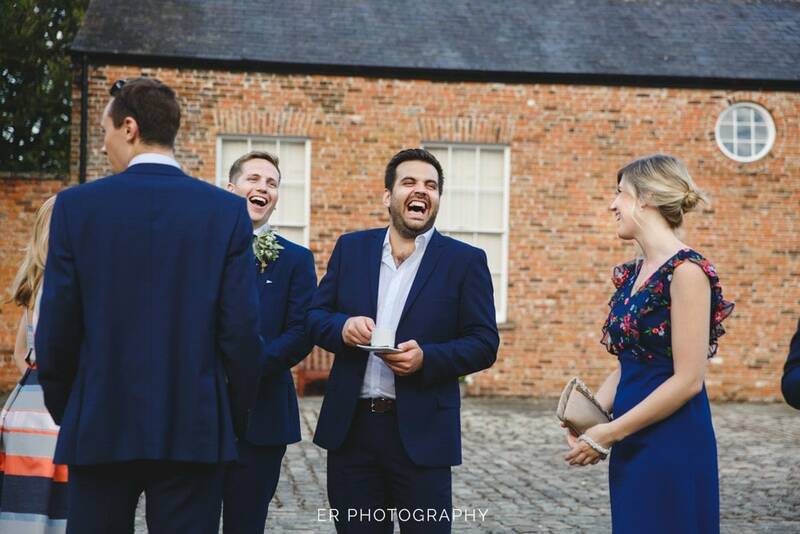 After the speeches which were funny and emotional as speeches normally are it was back out into the courtyard whilst the venue prepared the room for the evening reception. 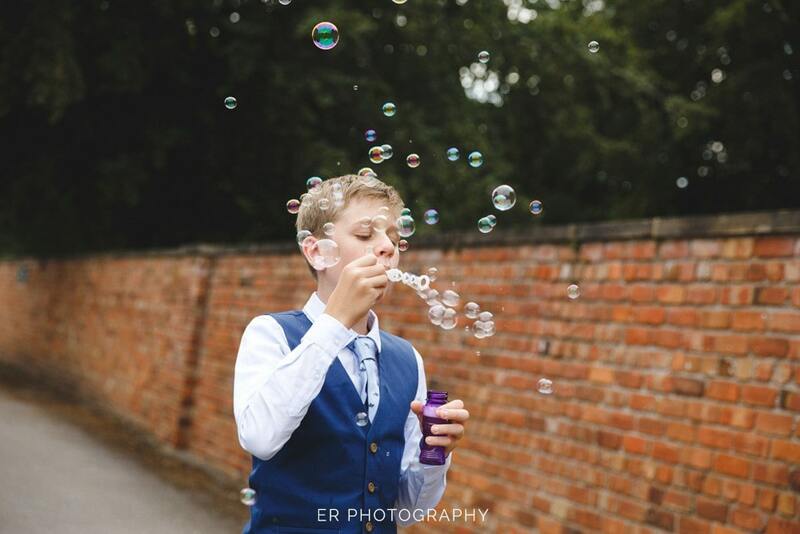 Everyone was having a blast, the hot warm weather, bubble blowing, a good feed and the ice cream put in good spirits. 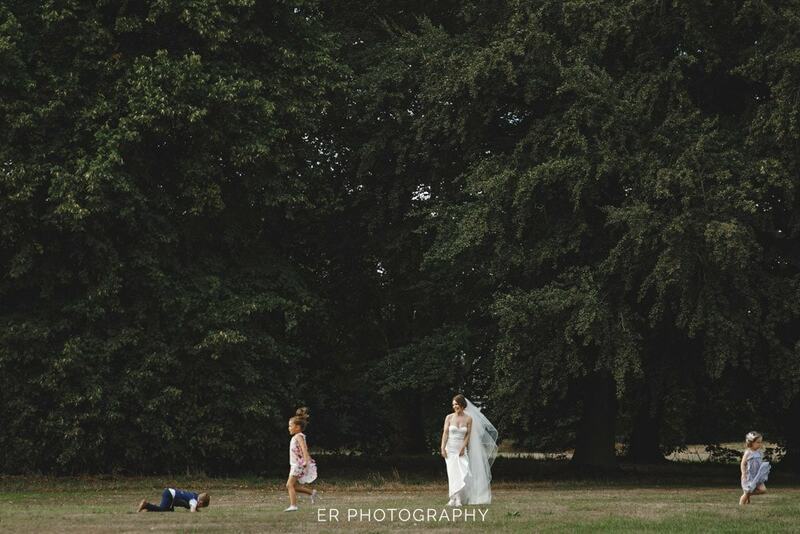 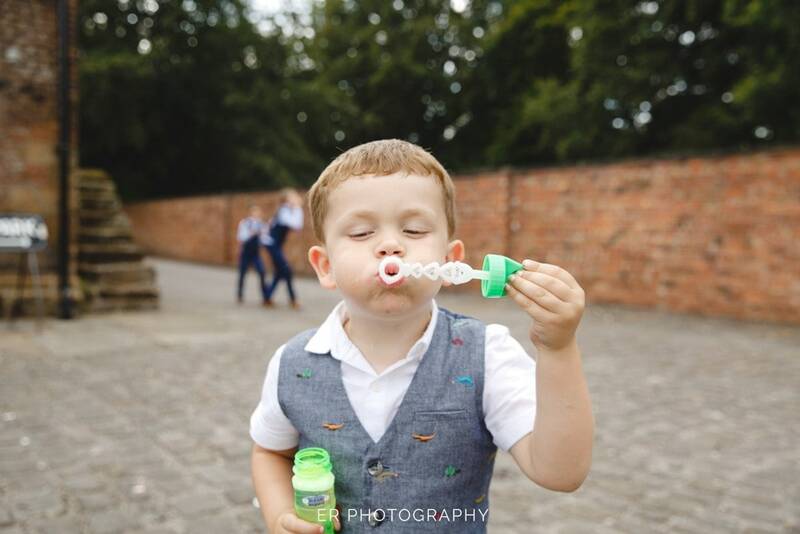 The kids decided that bubble blowing was amazing and the vast grounds of Meols Hall were theirs to explore, dragging poor Hannah half way across the estate looking for bunny rabbits. 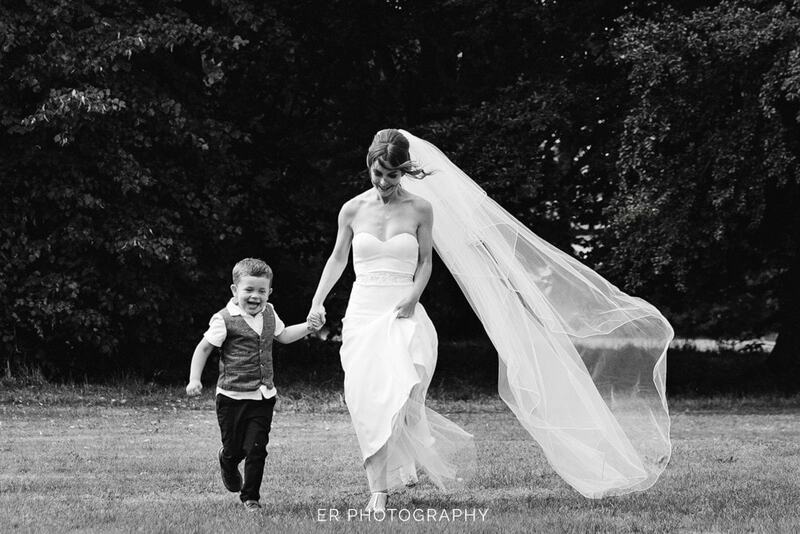 One of our favourite photos is Hannah with the kids across the field, the pure joy on the kids faces as they ran around was priceless.